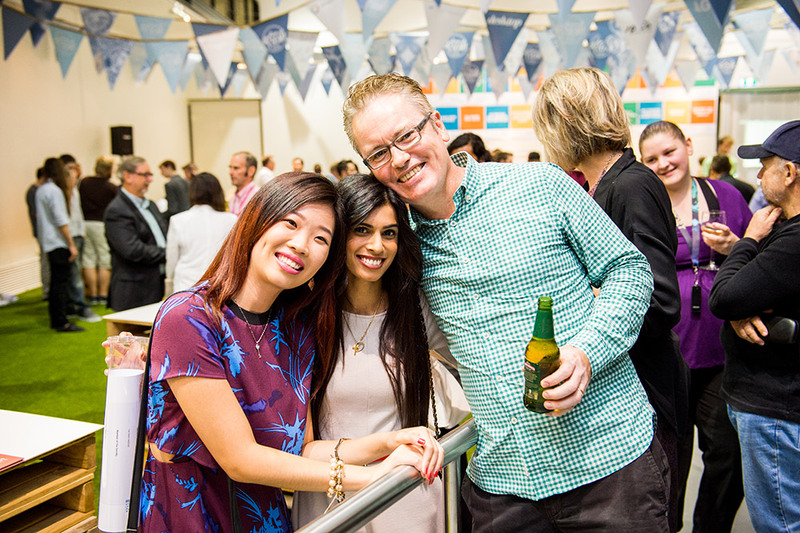 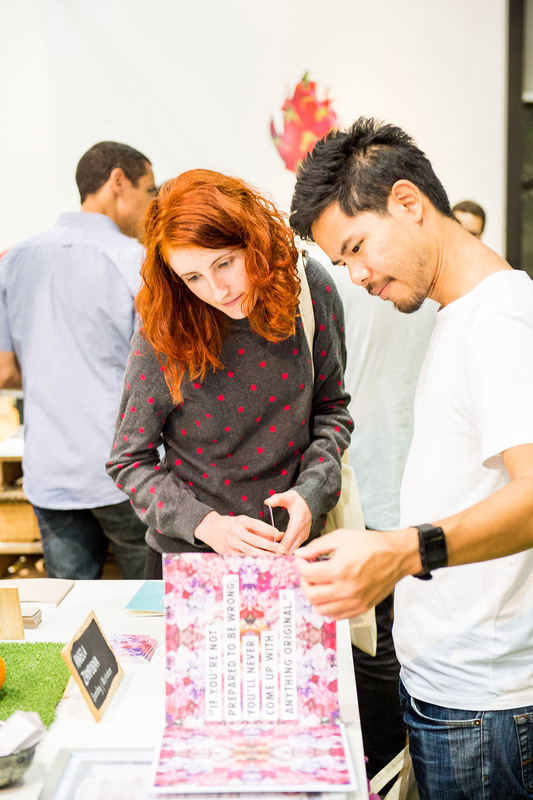 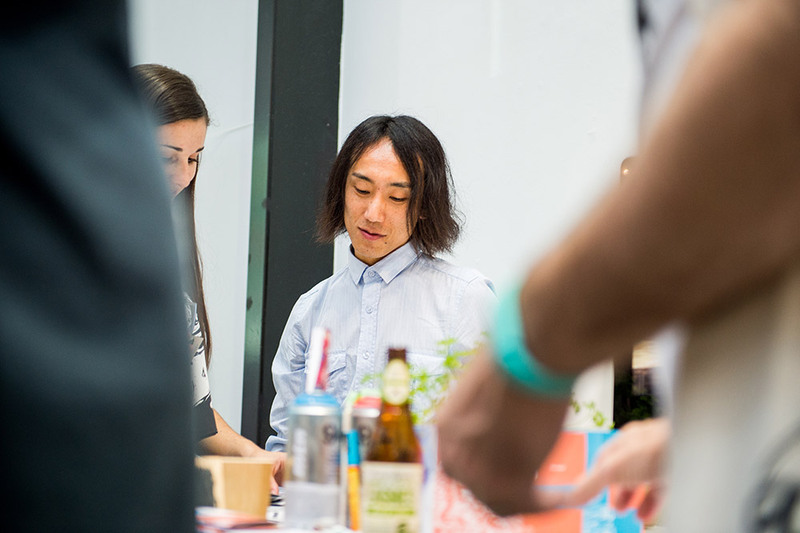 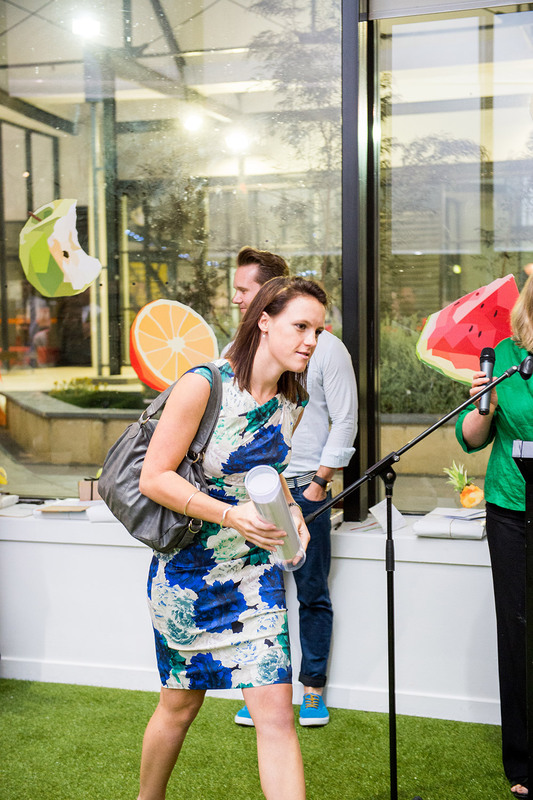 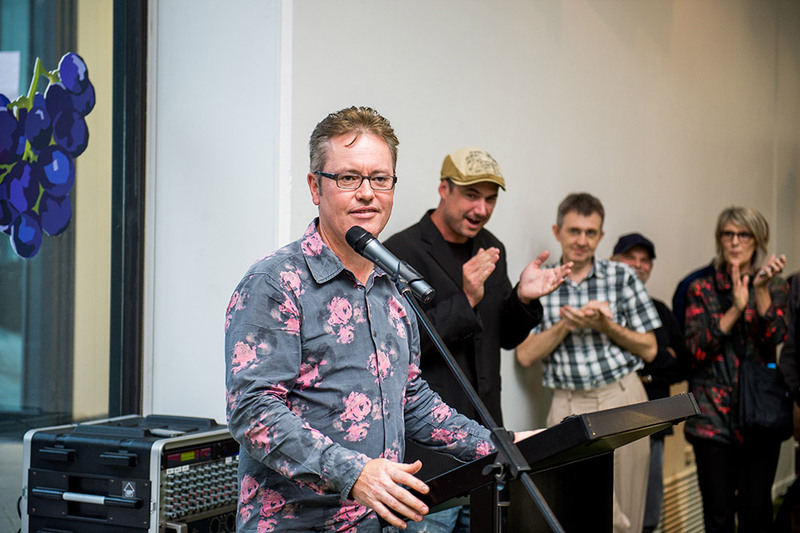 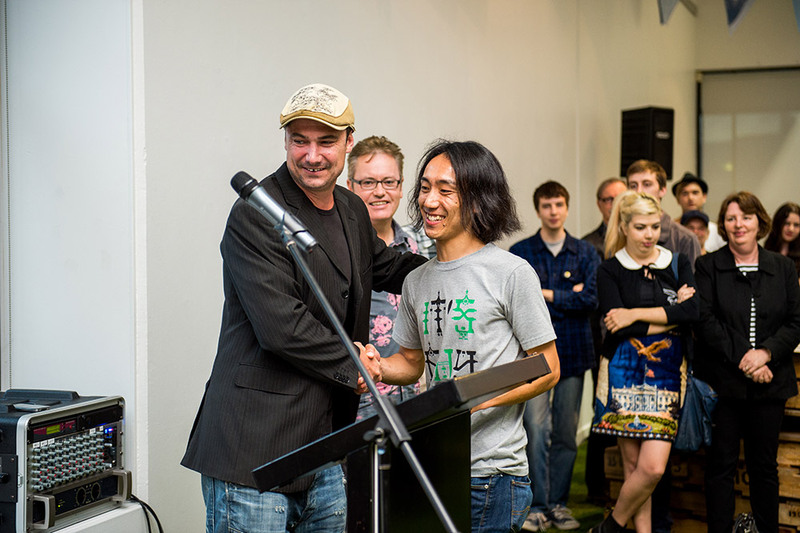 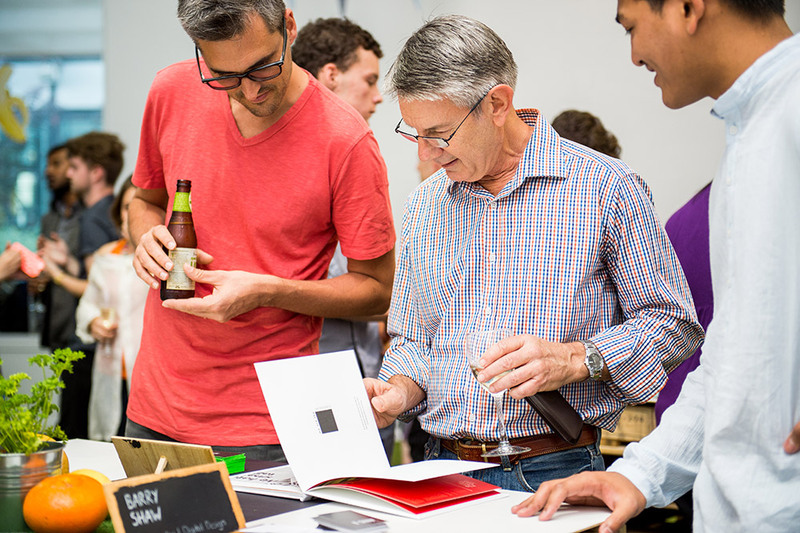 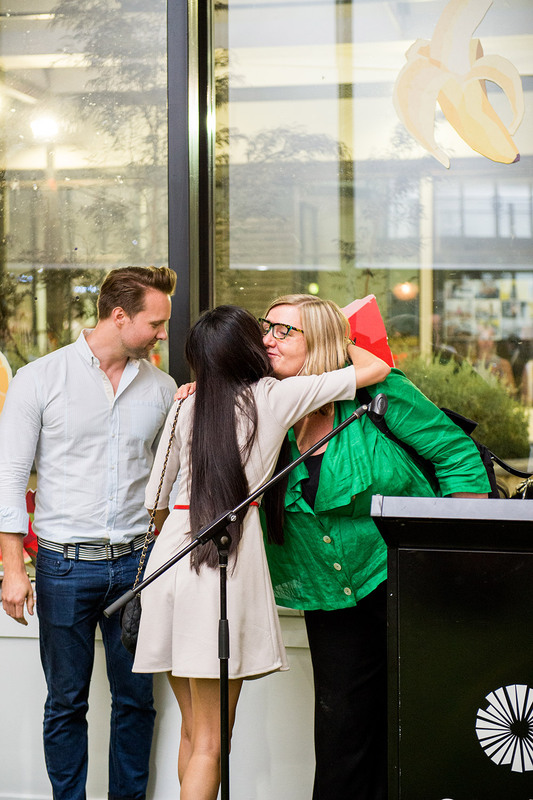 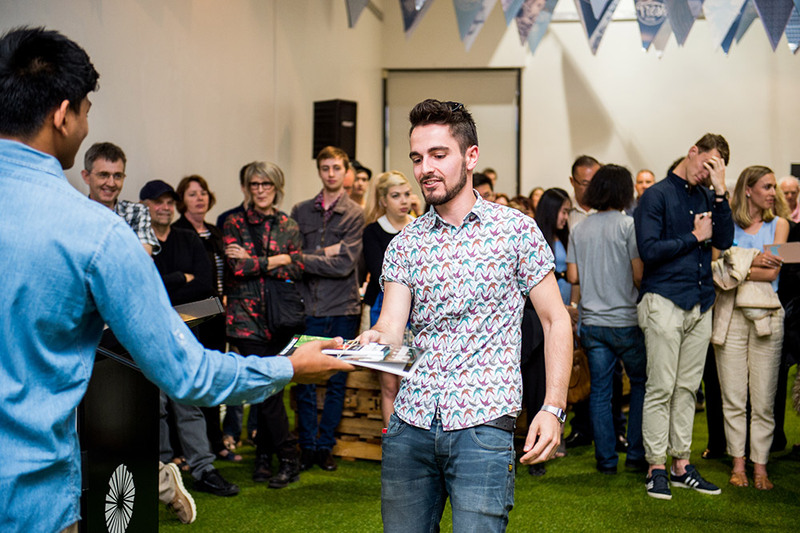 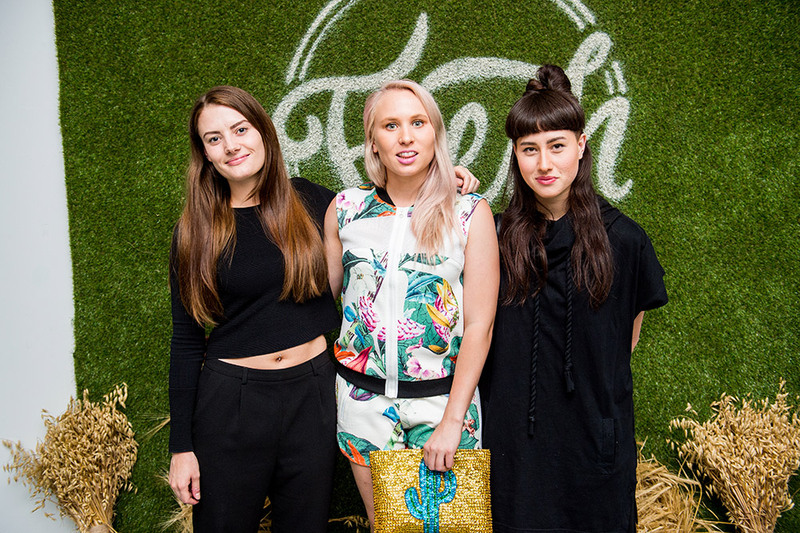 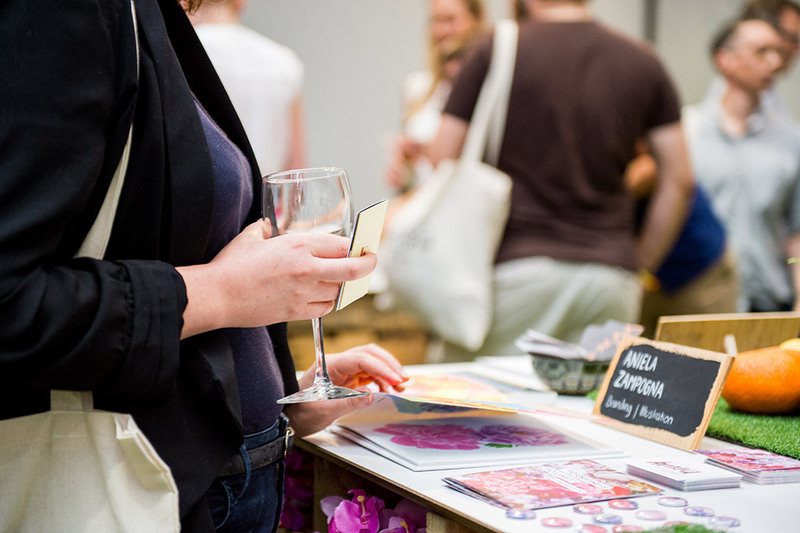 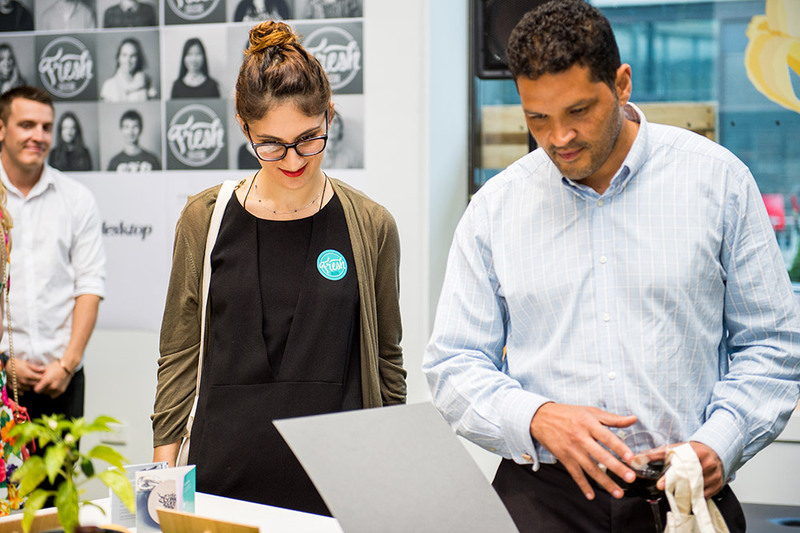 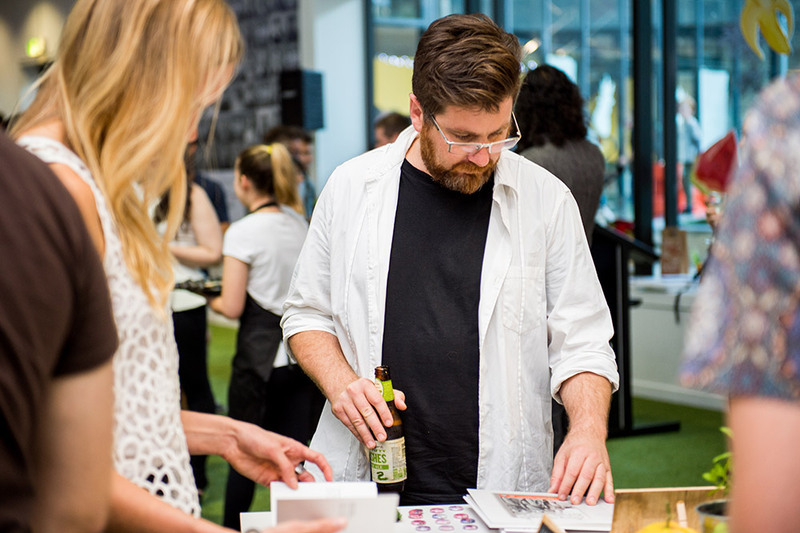 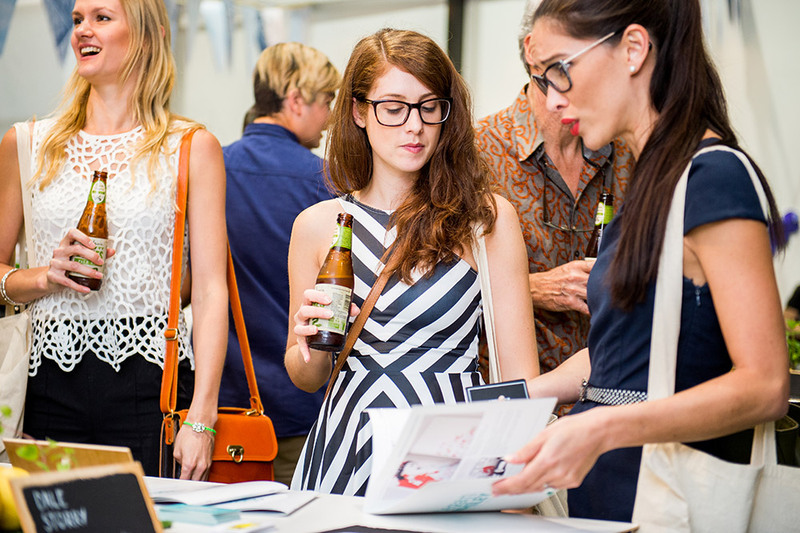 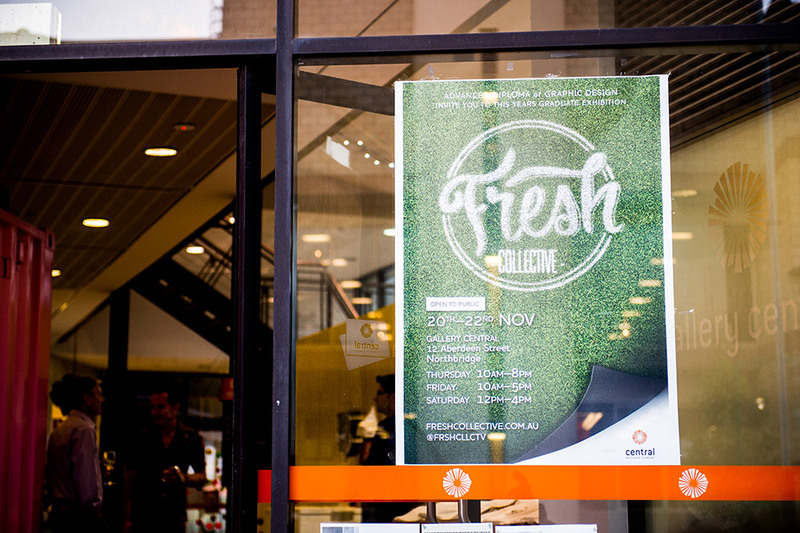 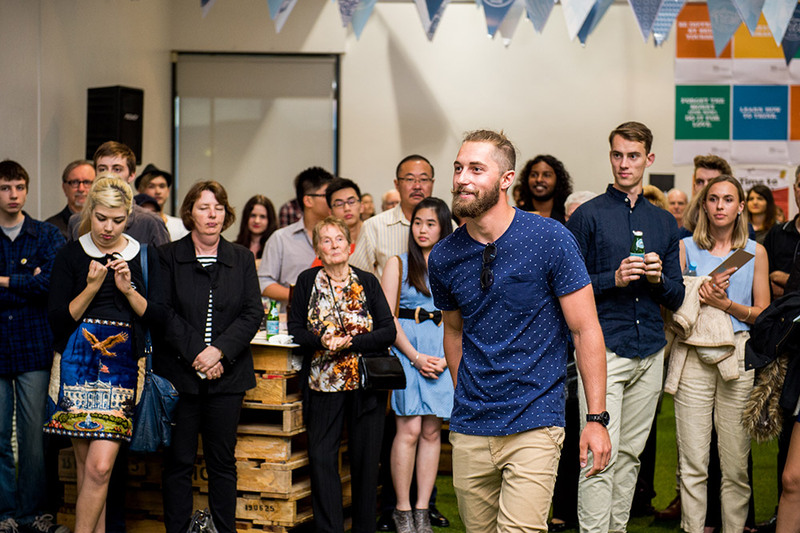 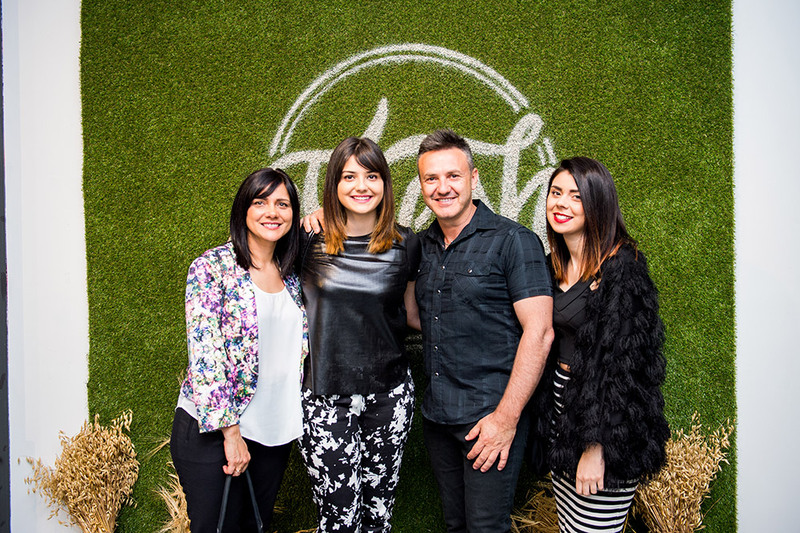 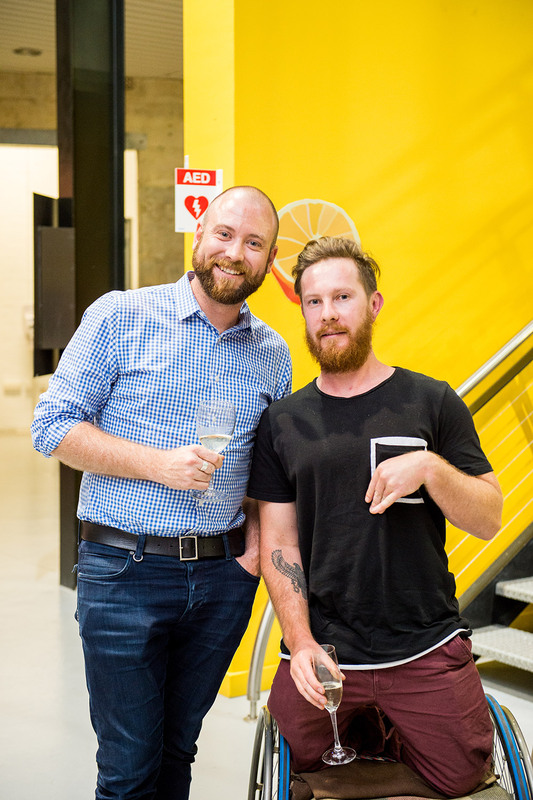 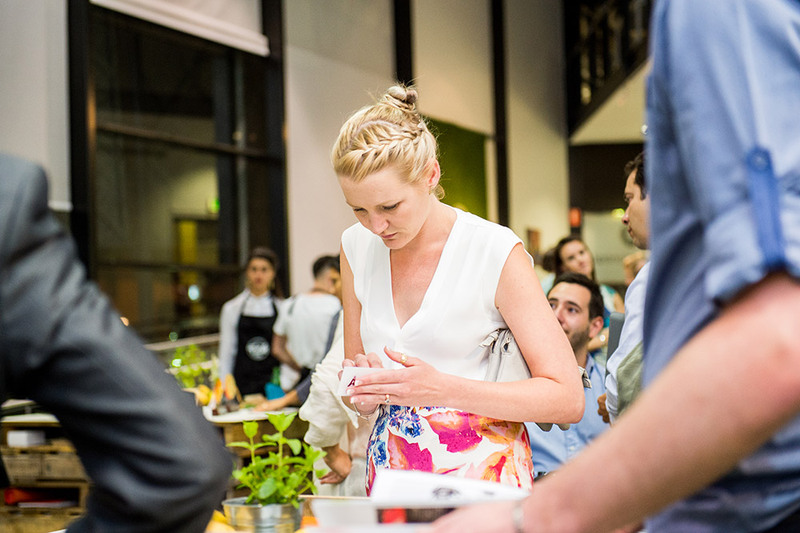 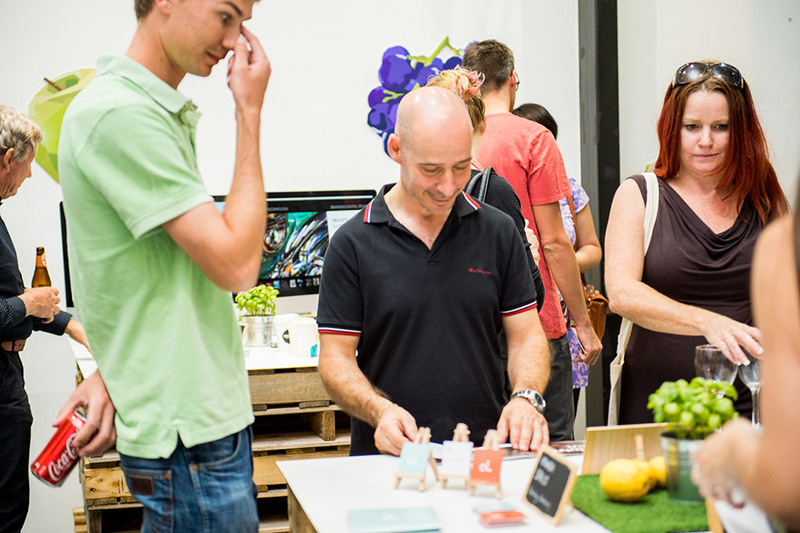 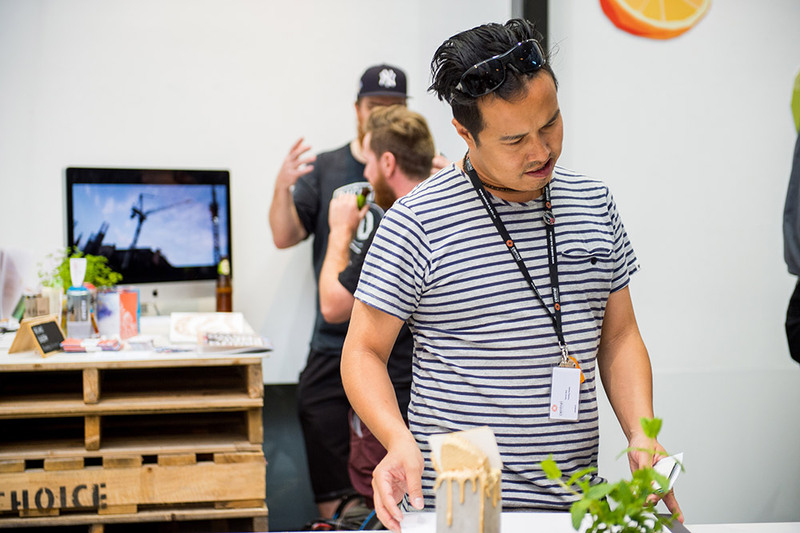 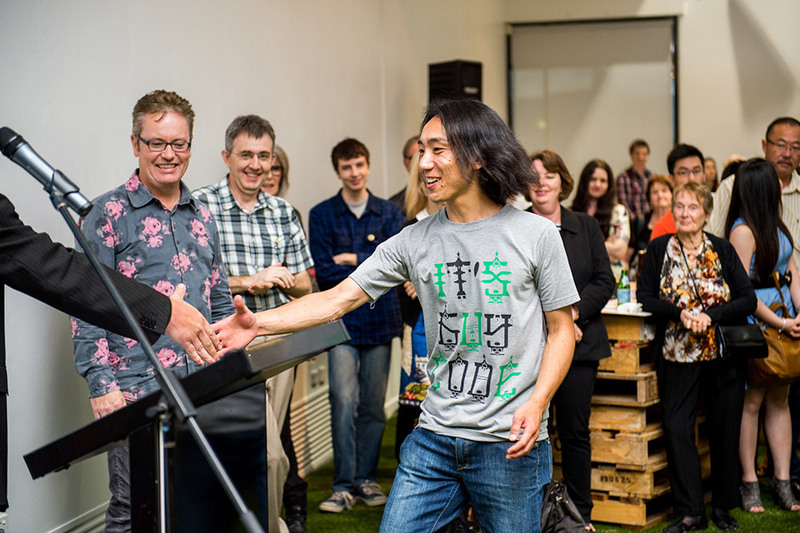 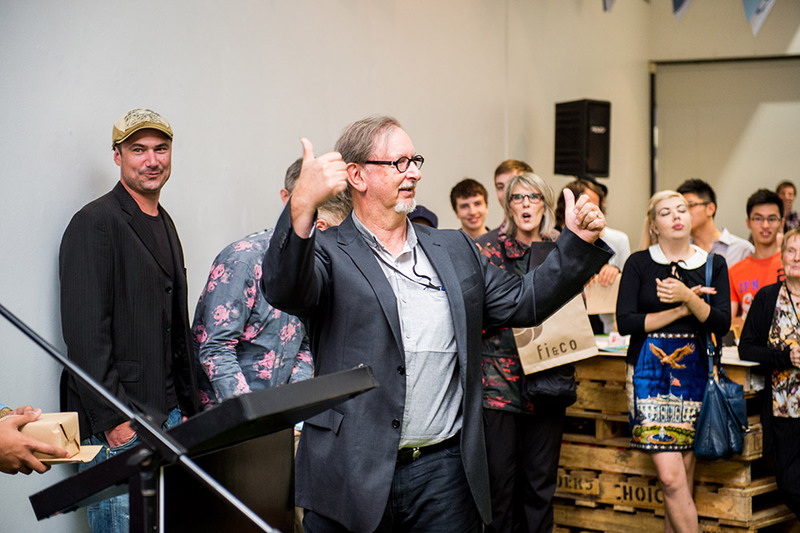 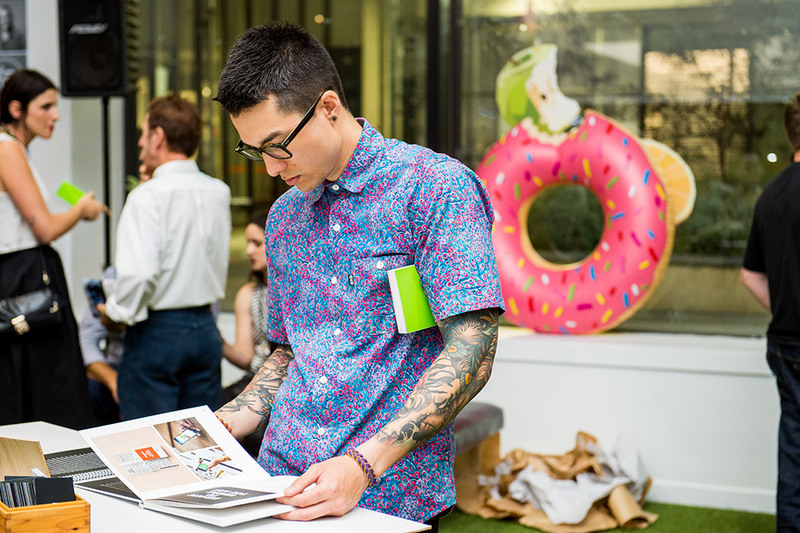 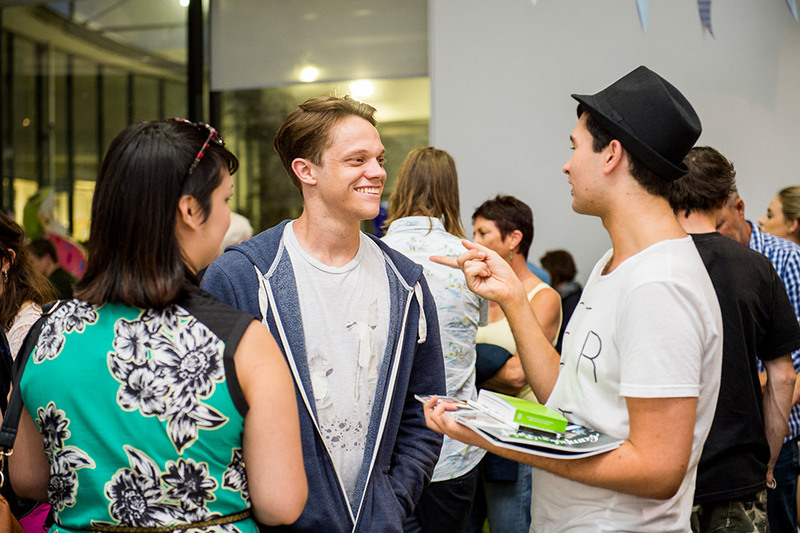 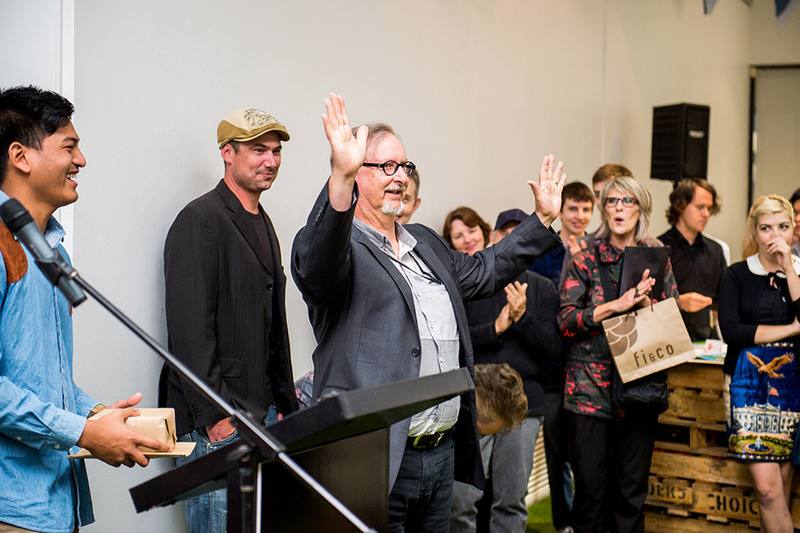 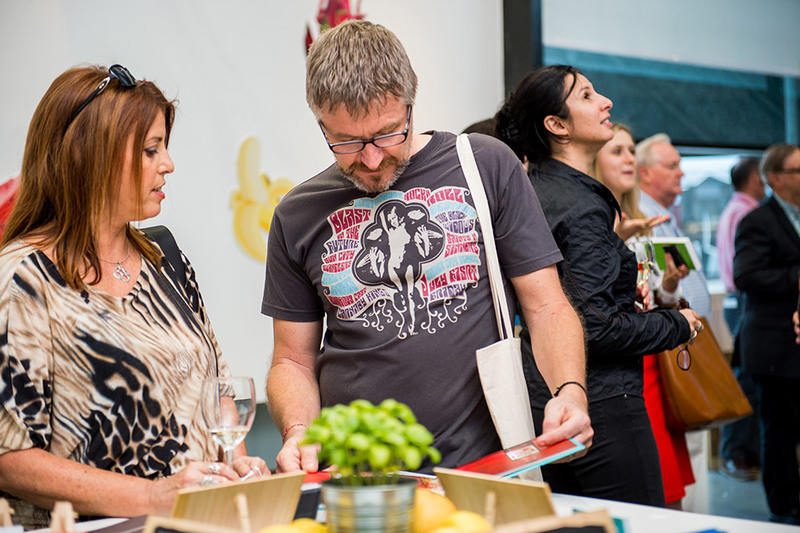 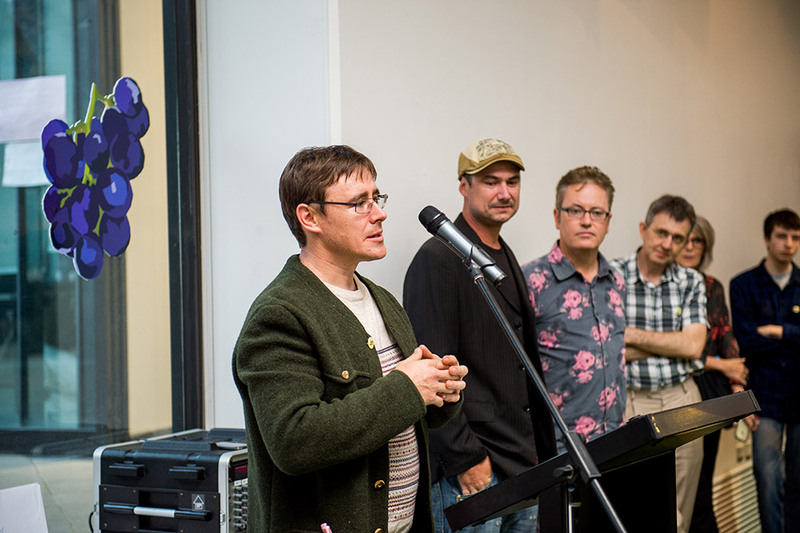 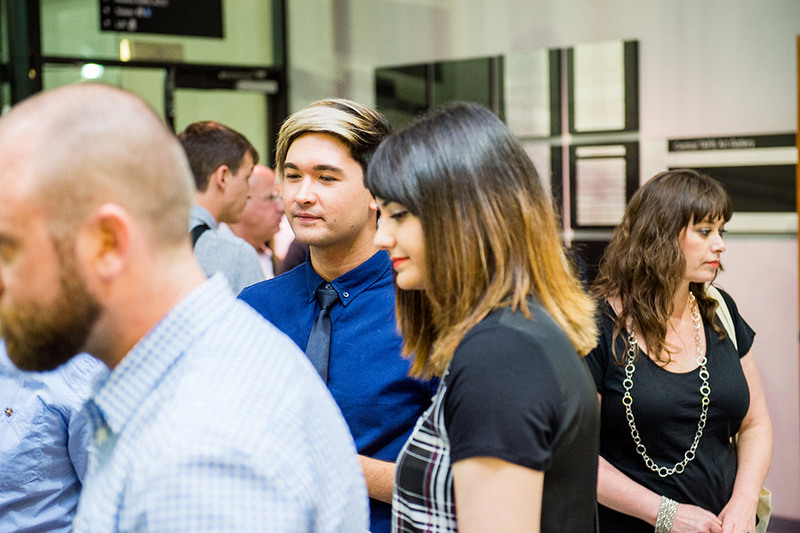 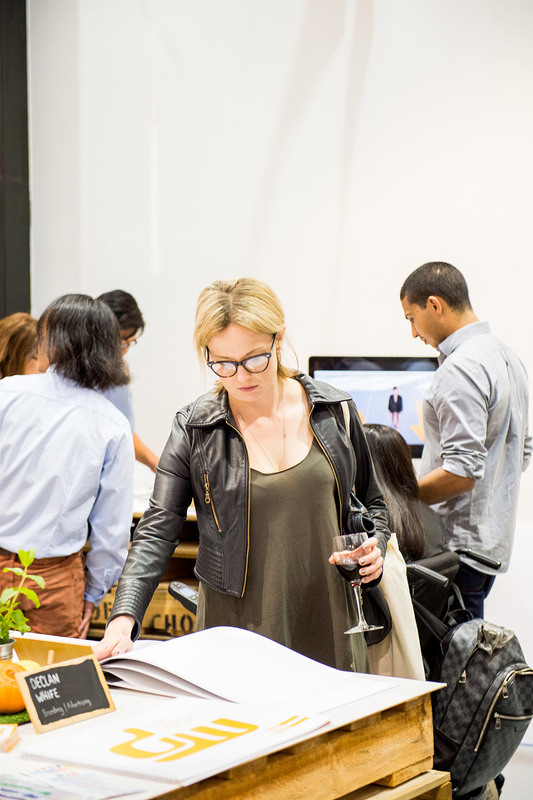 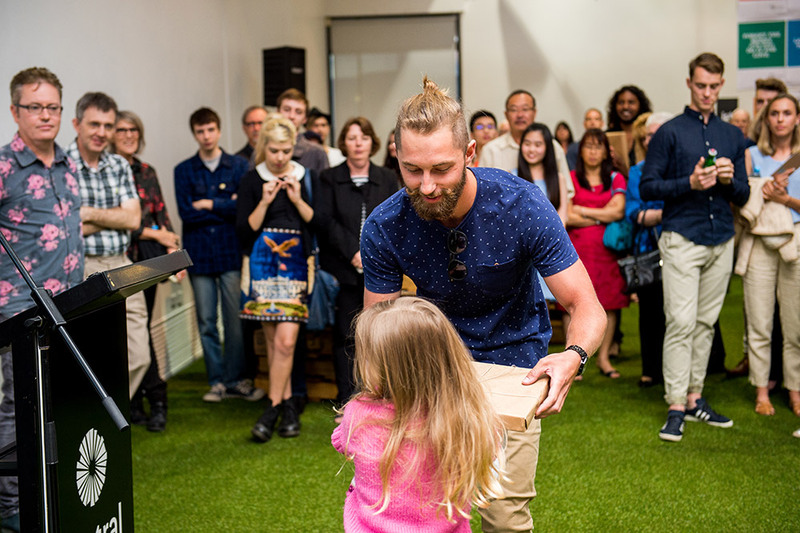 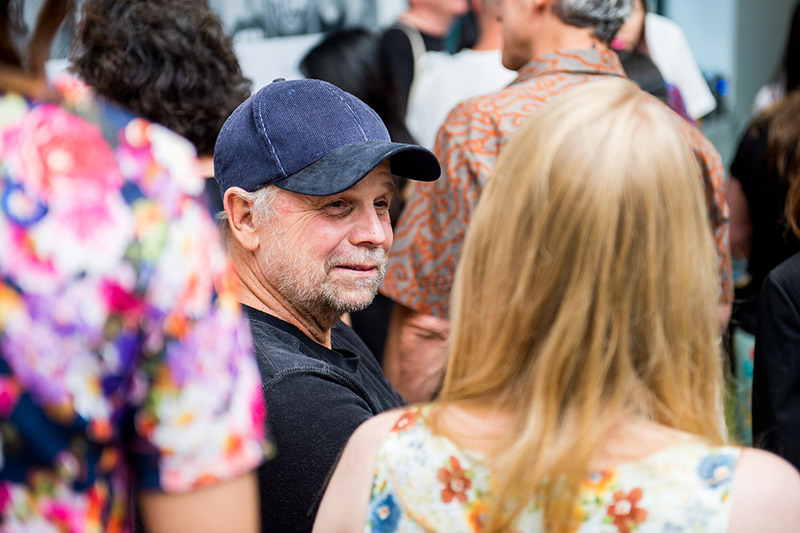 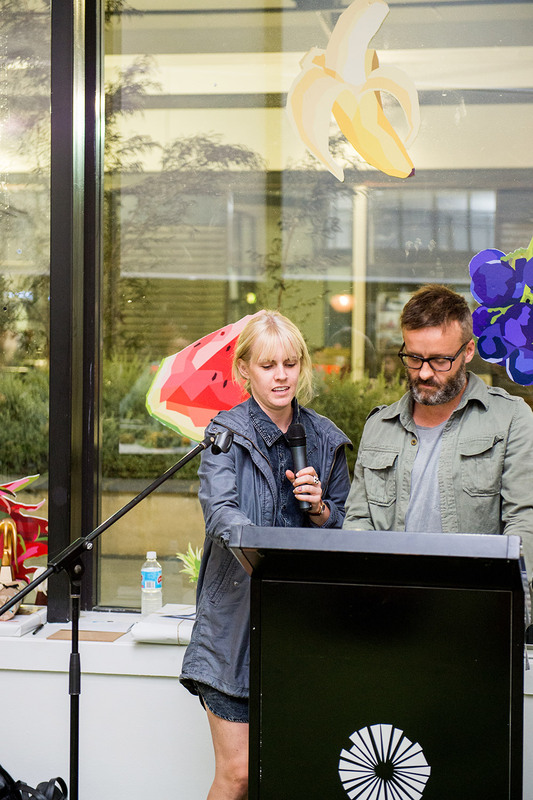 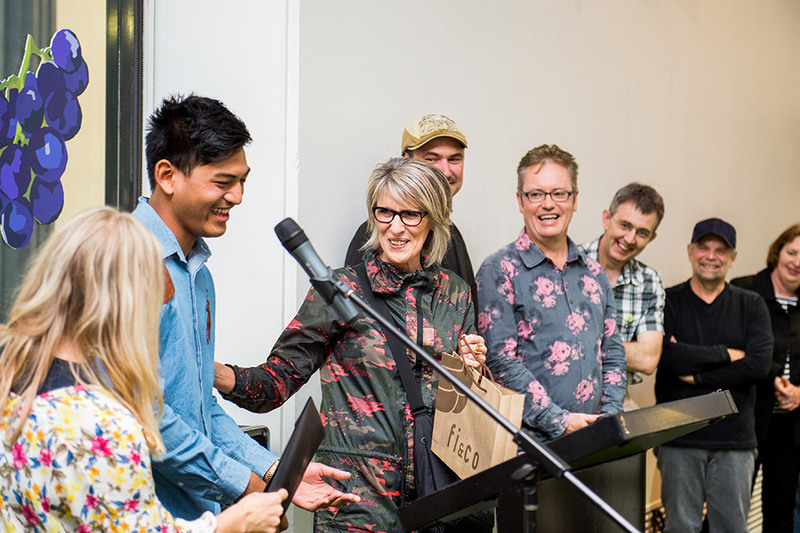 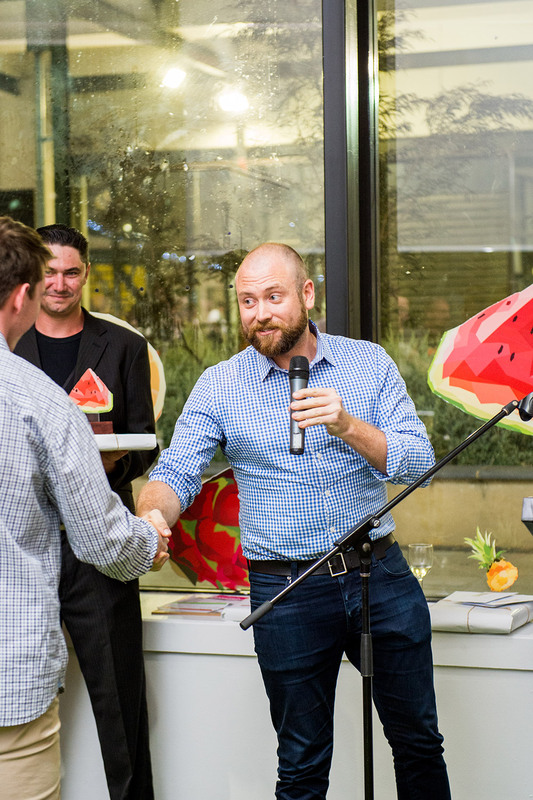 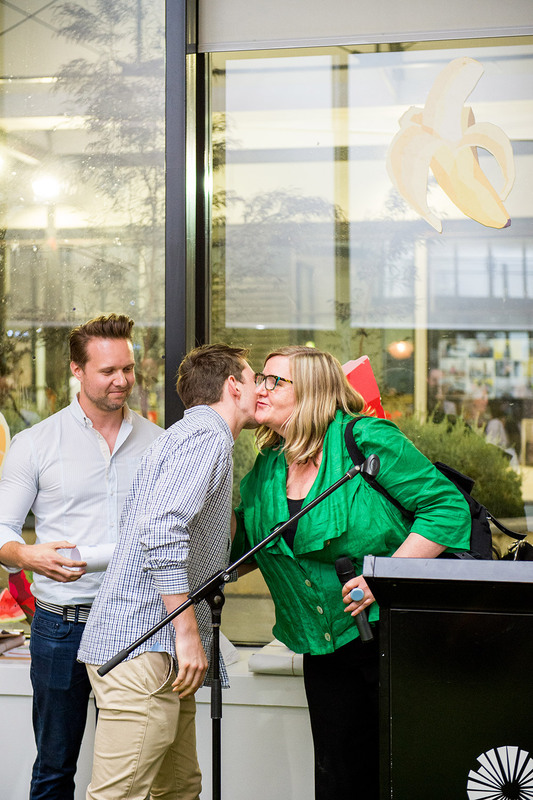 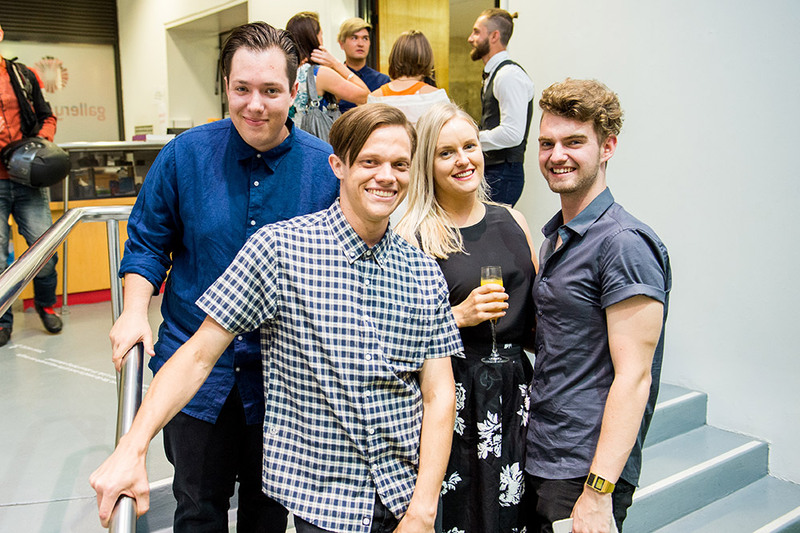 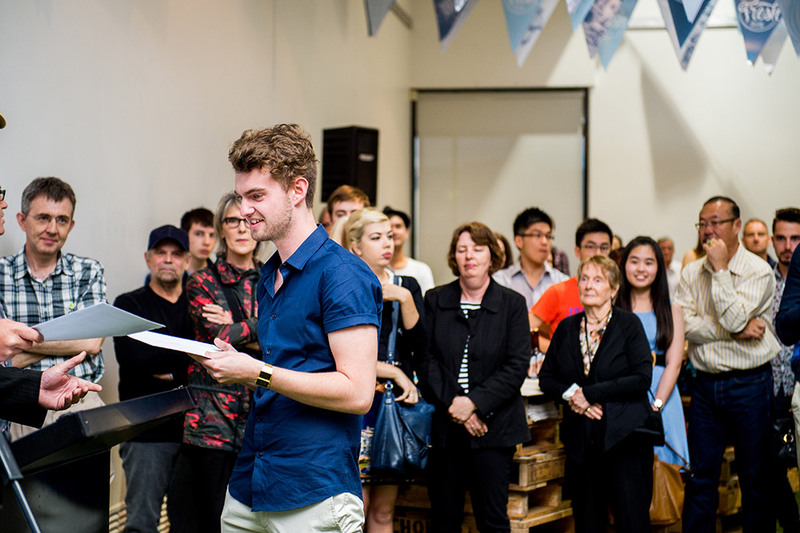 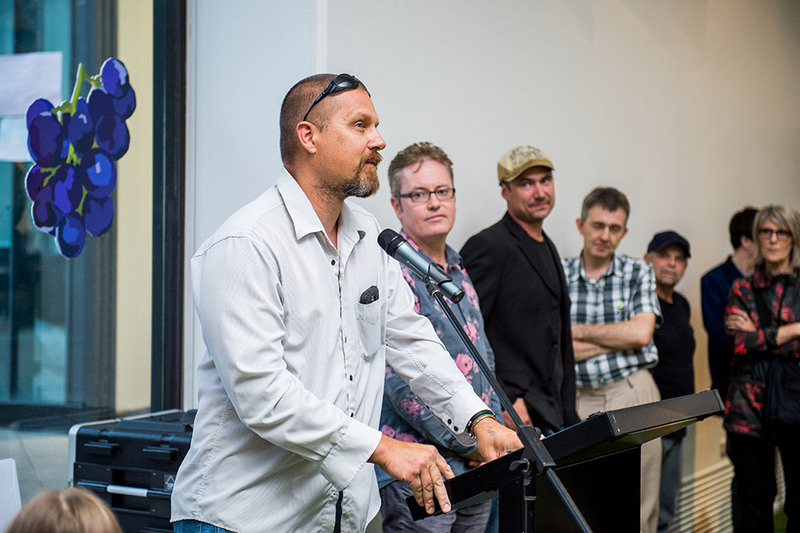 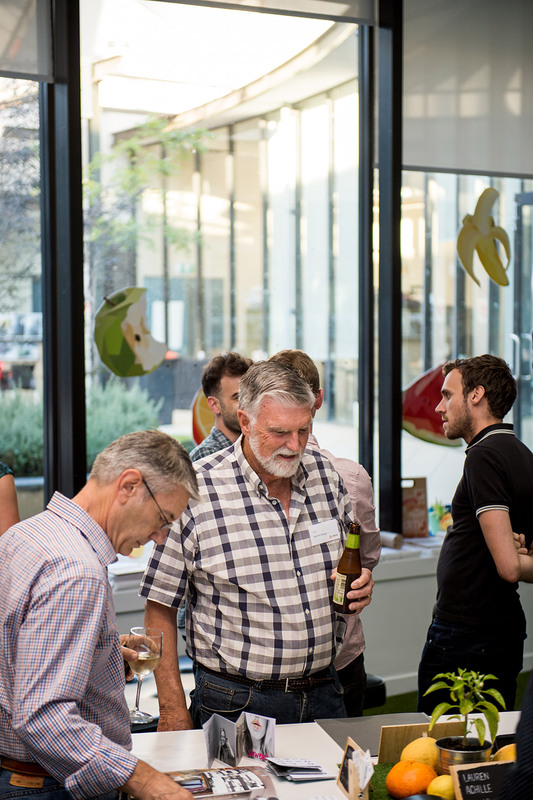 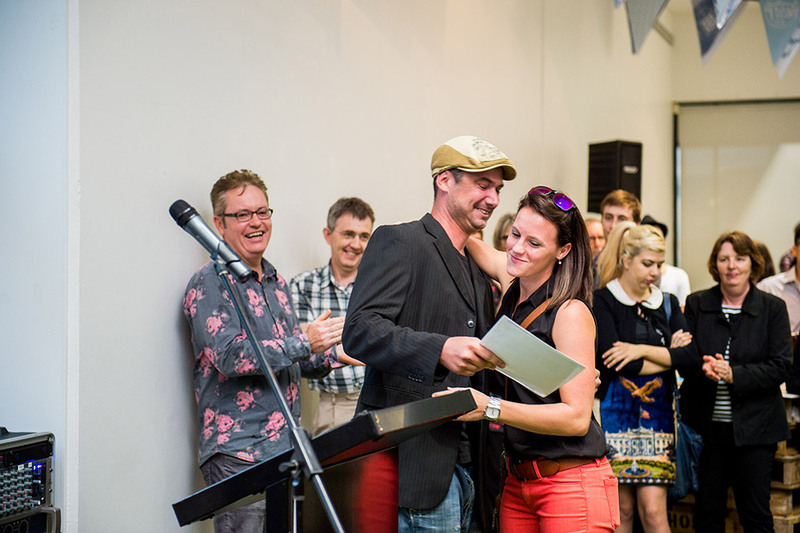 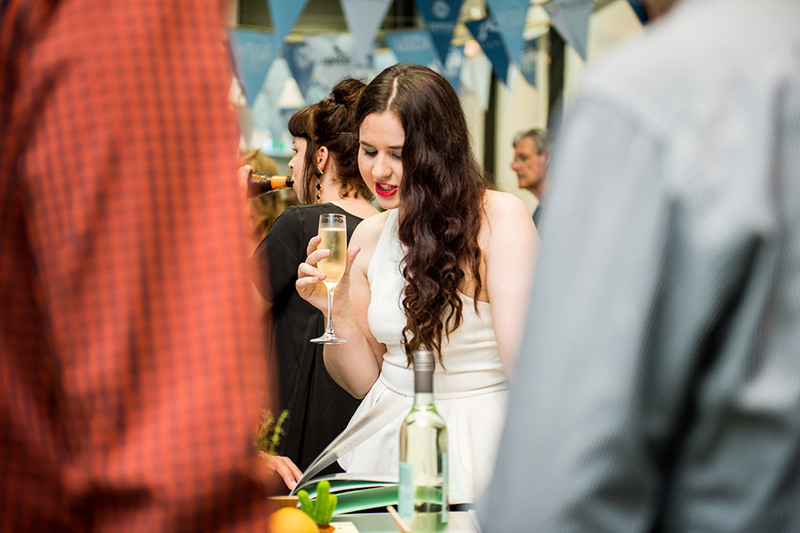 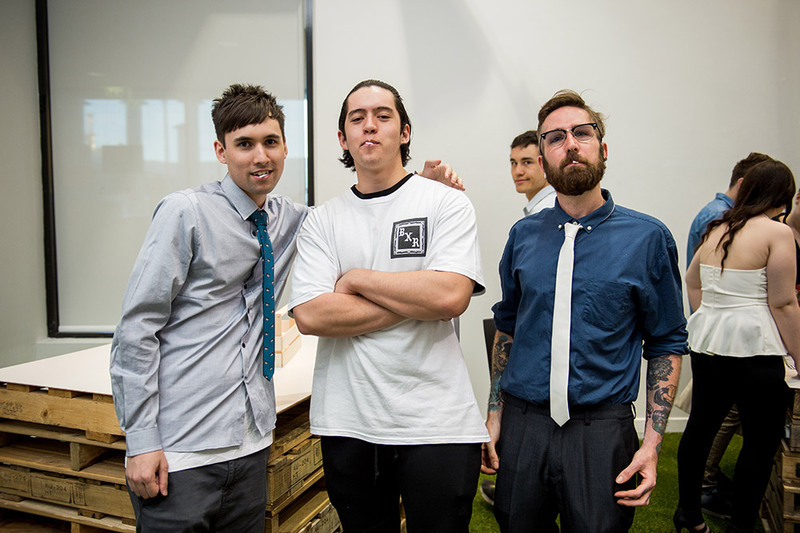 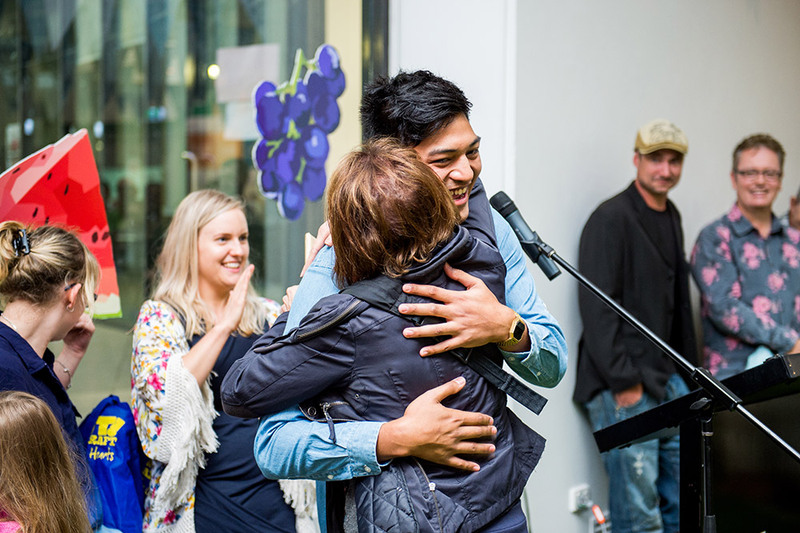 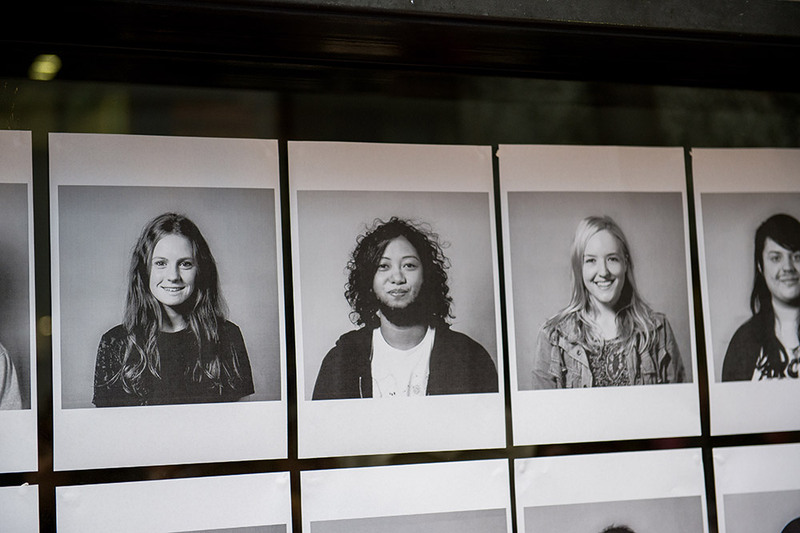 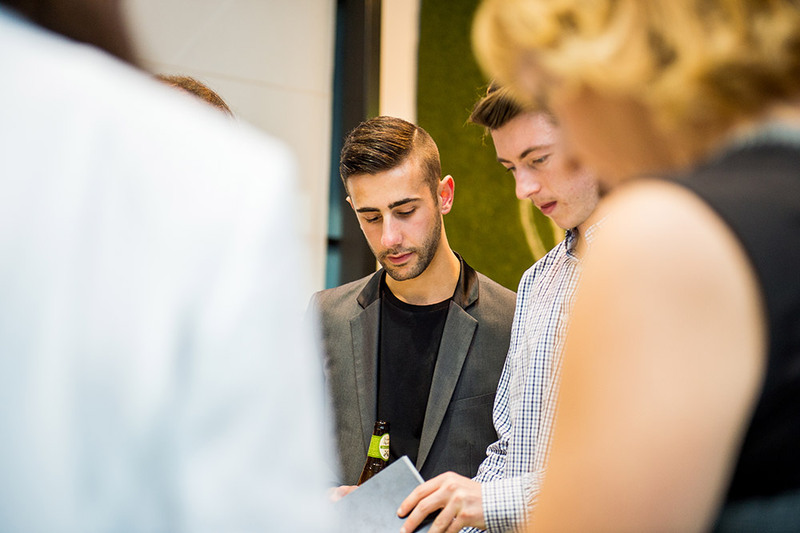 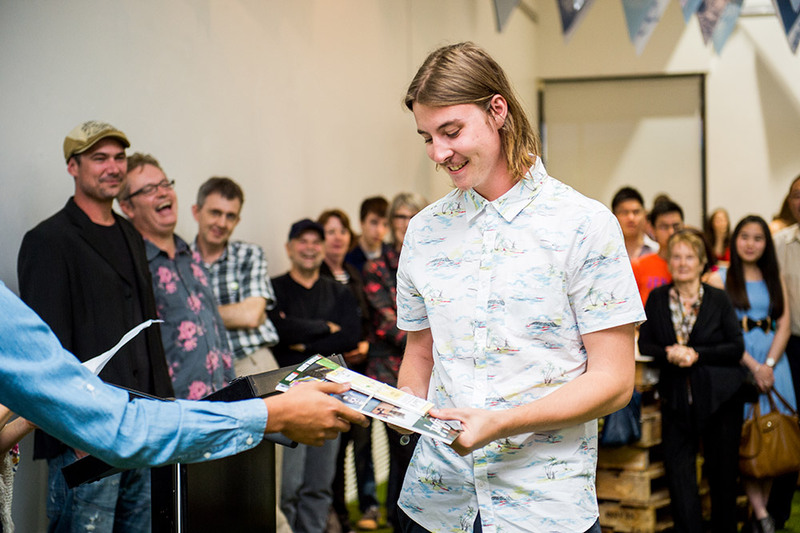 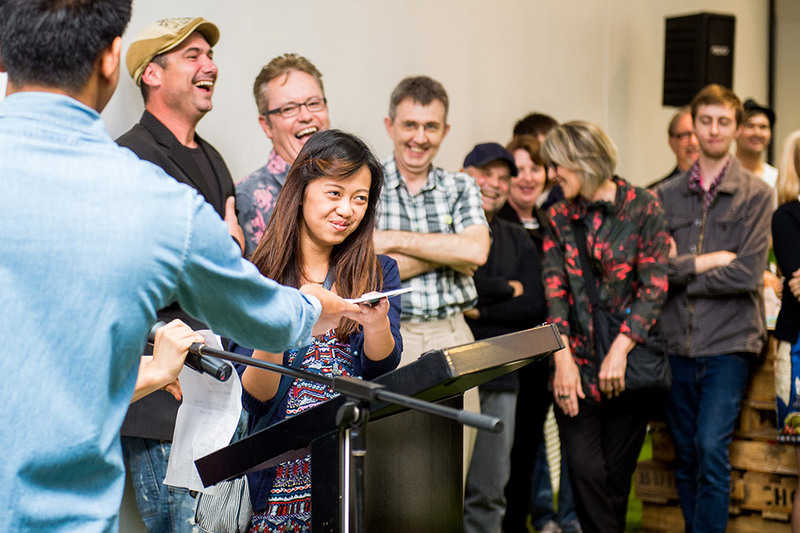 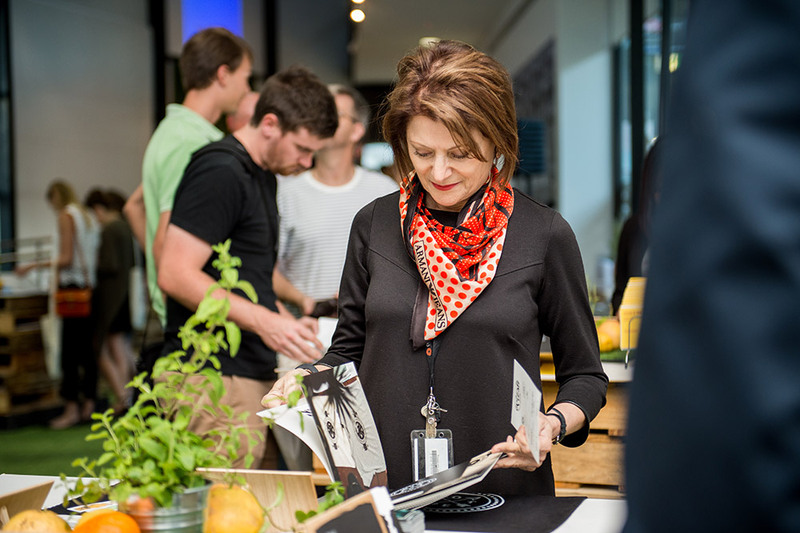 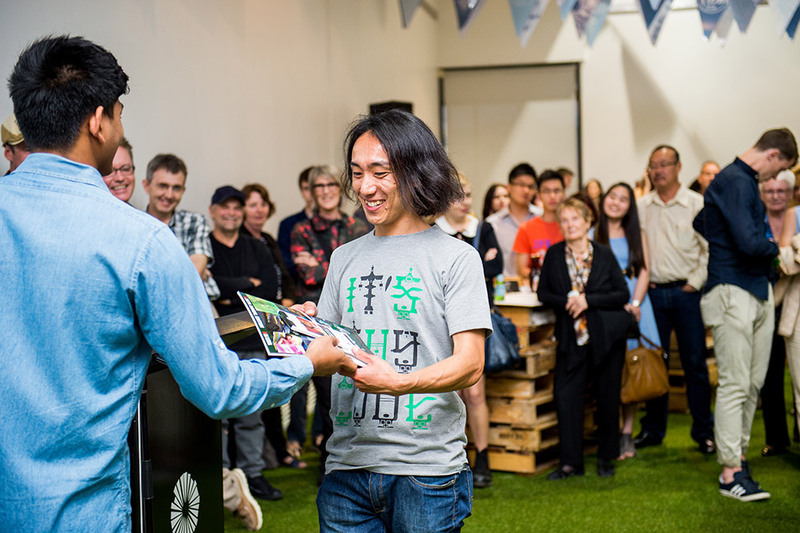 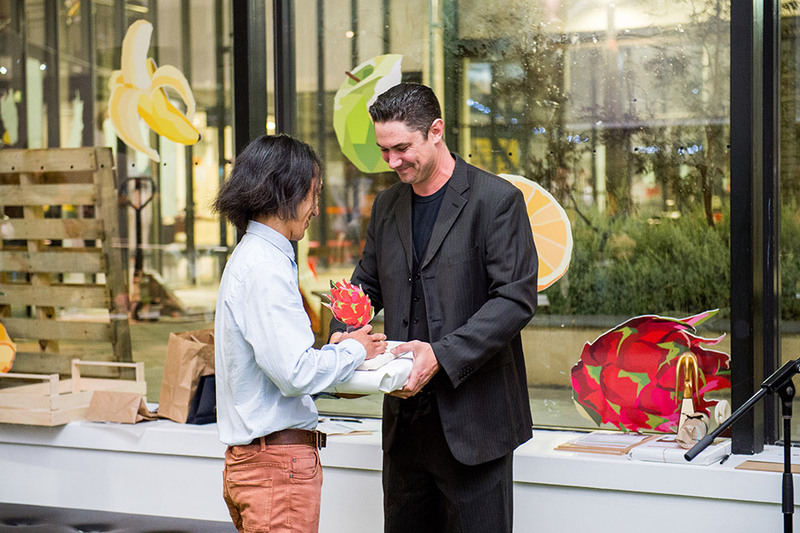 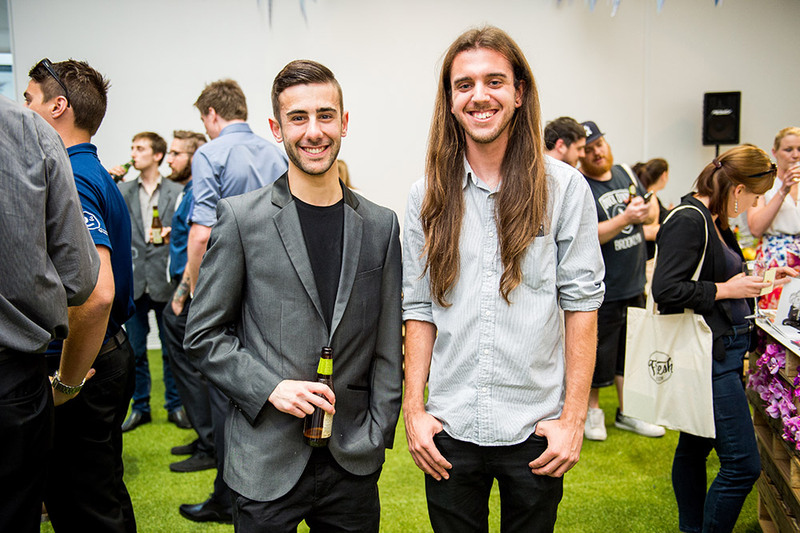 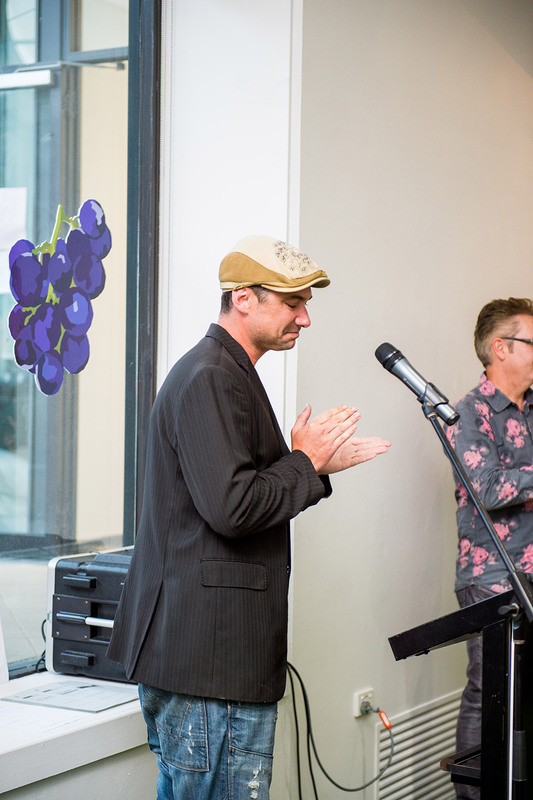 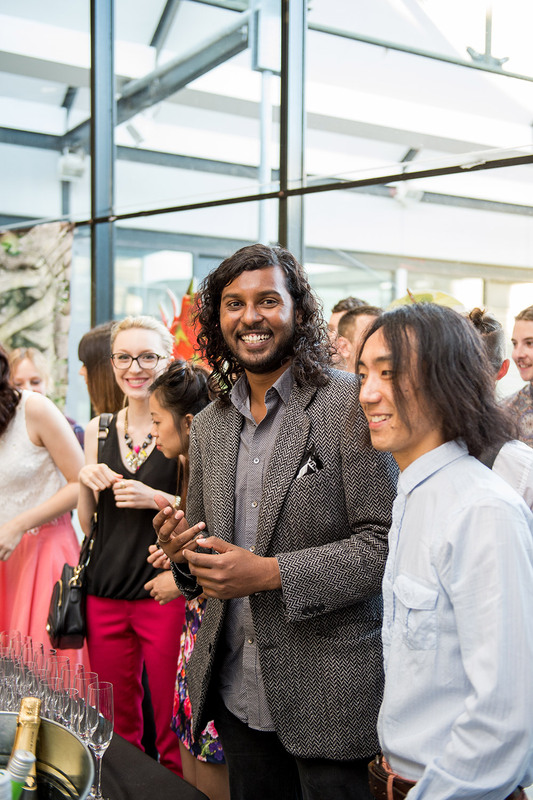 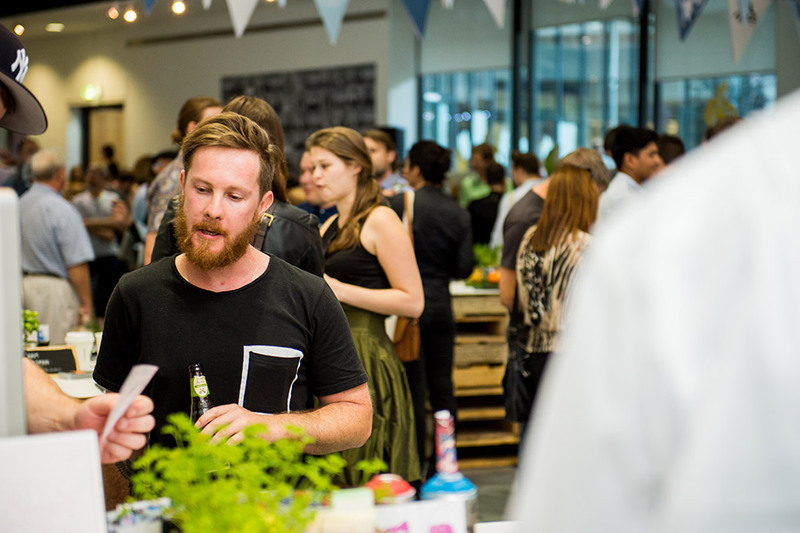 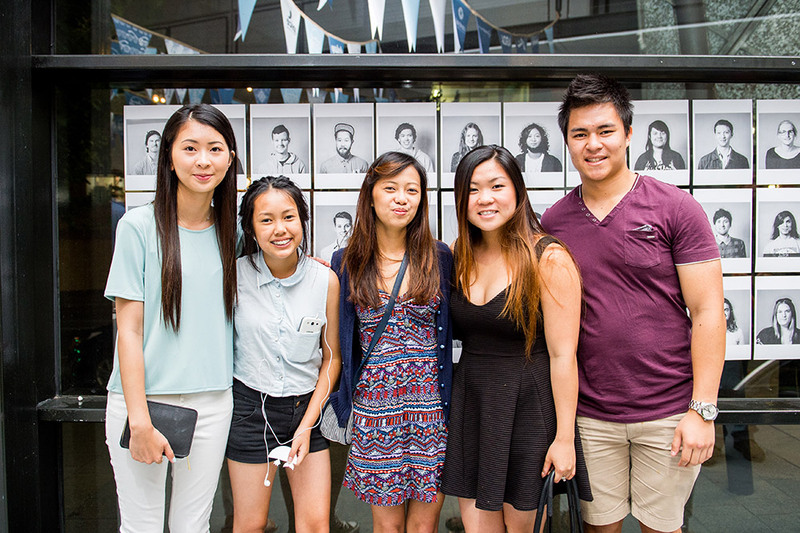 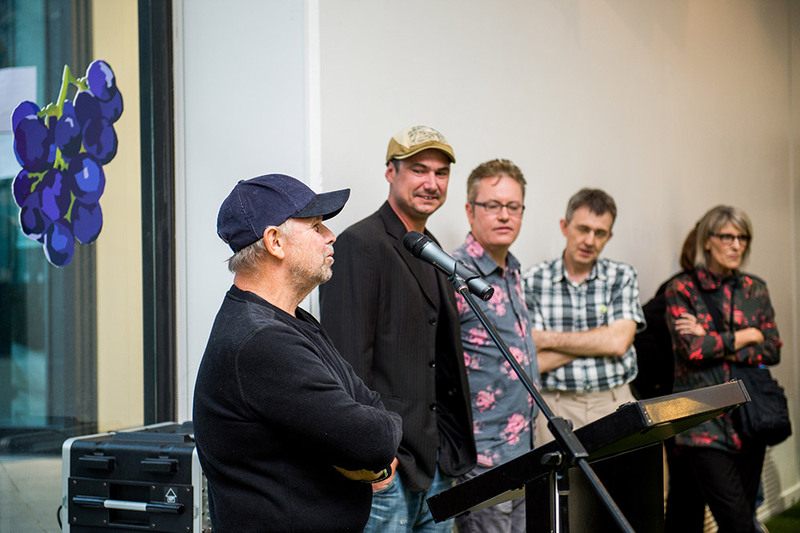 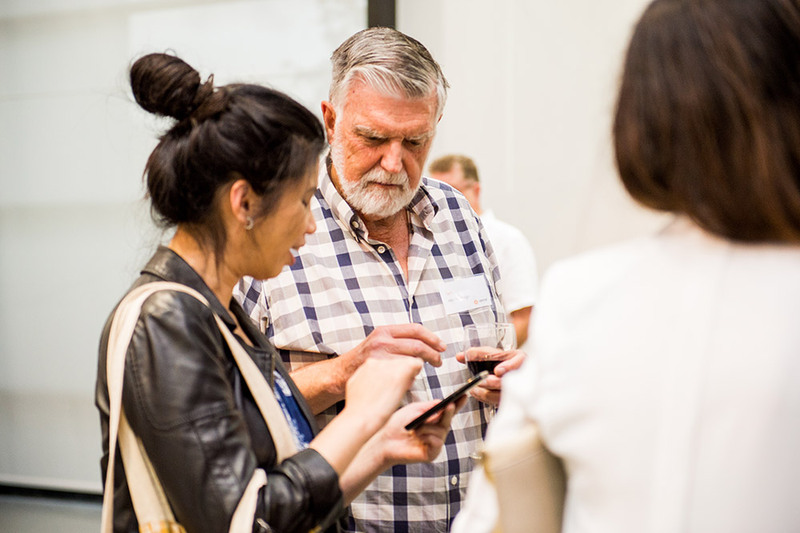 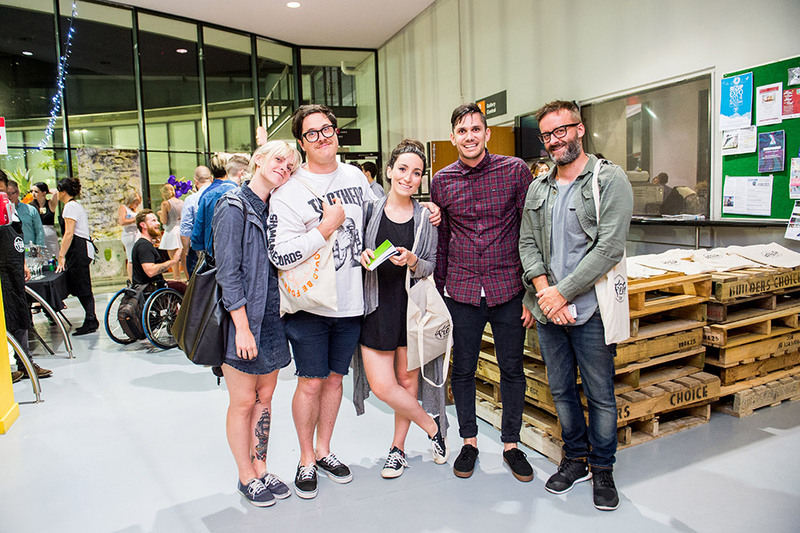 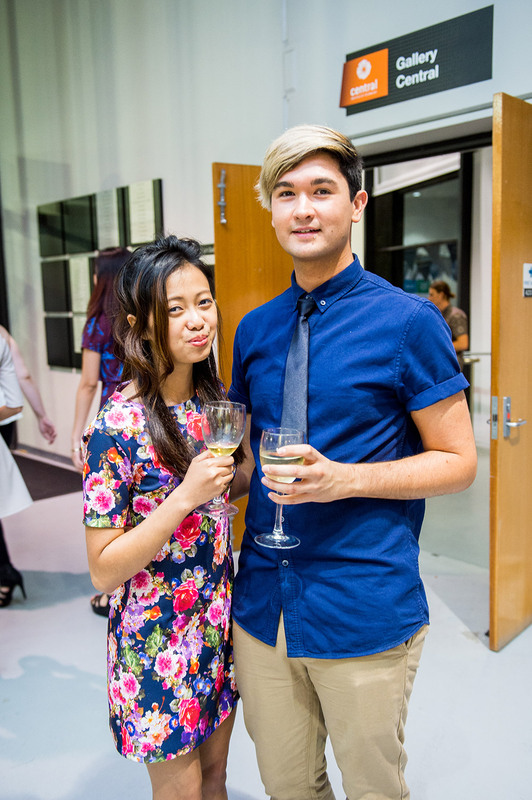 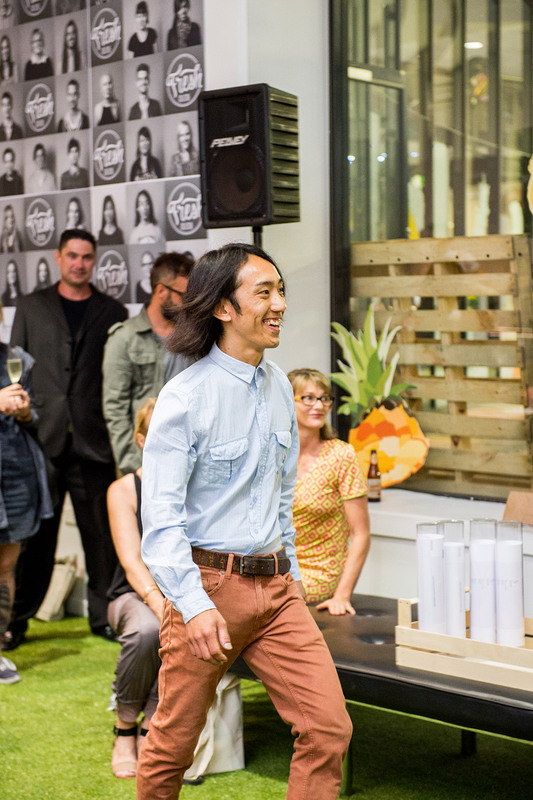 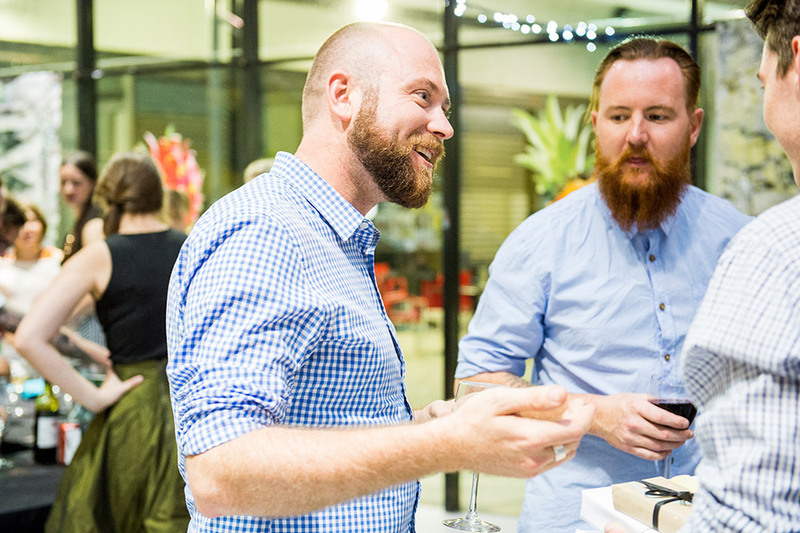 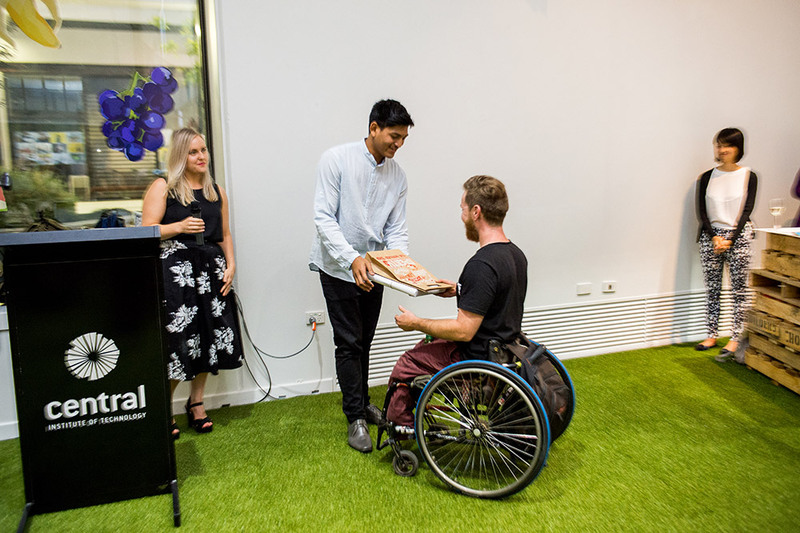 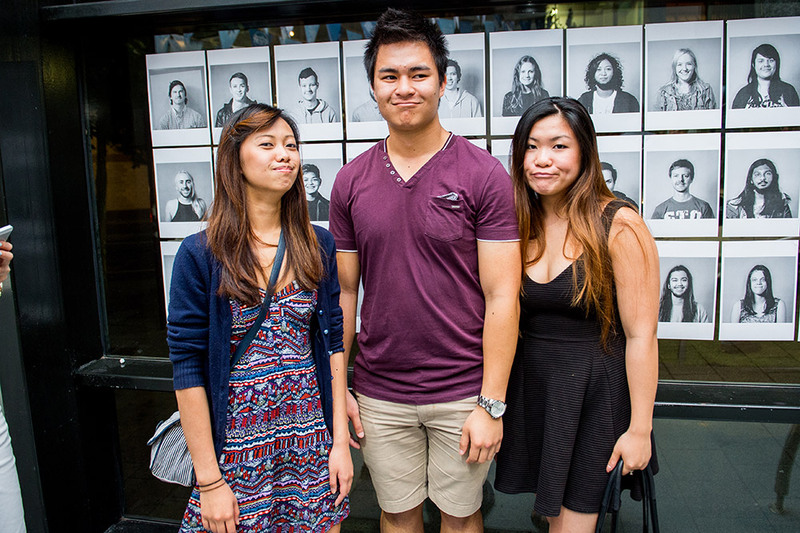 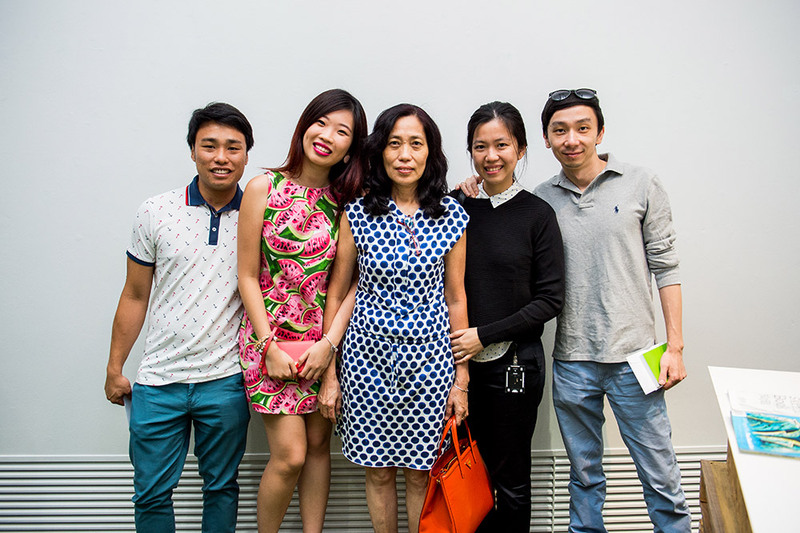 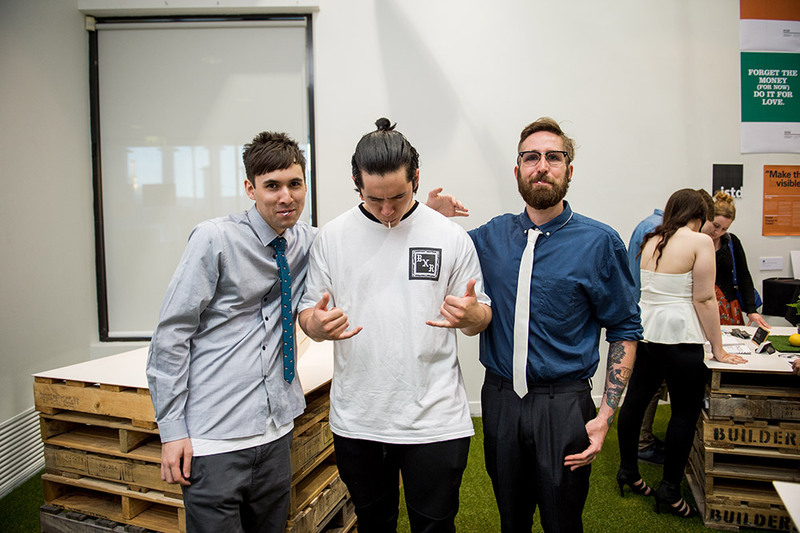 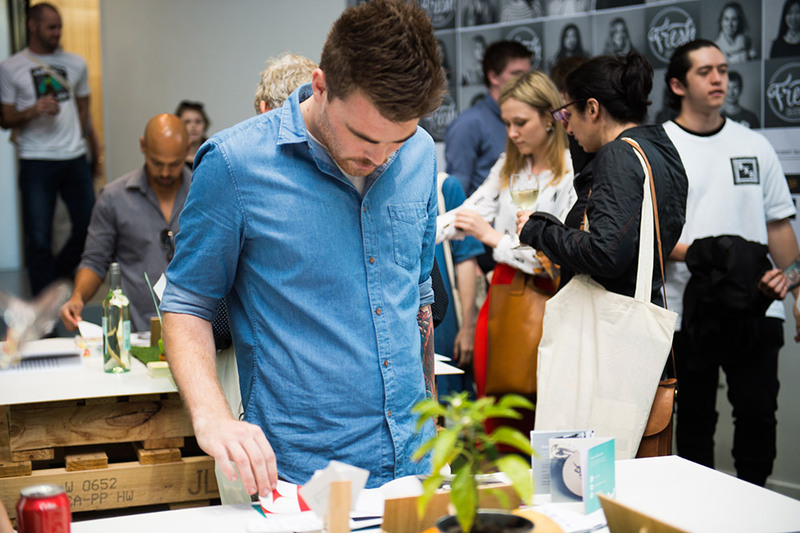 Fresh Collective’s final folio exhibition opened on Wednesday night and drew a bumper crowd after two hours of solid judging by some of Perth’s finest professional creatives. 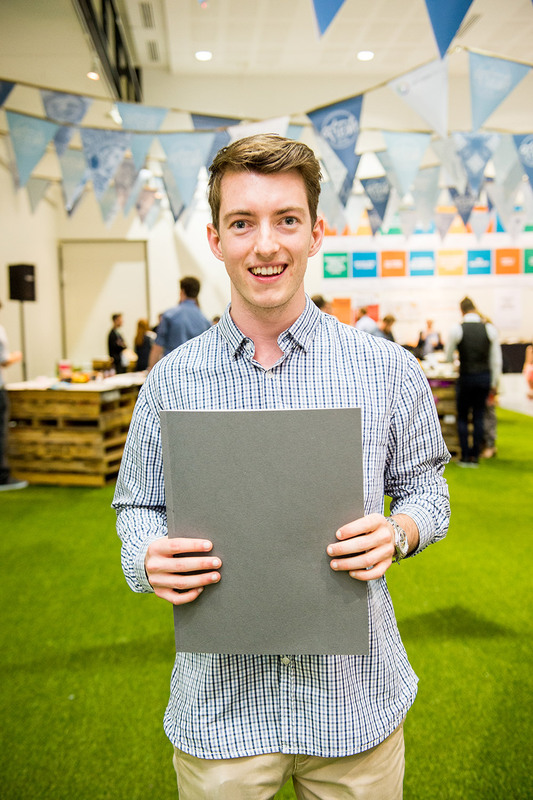 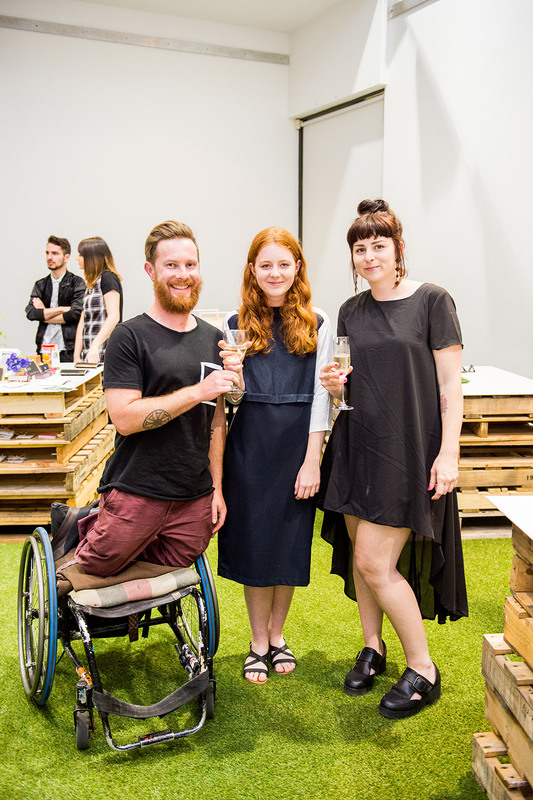 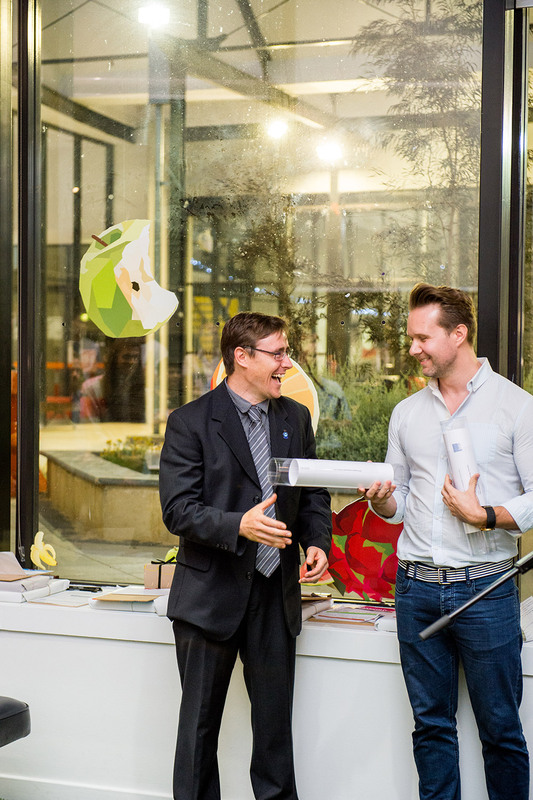 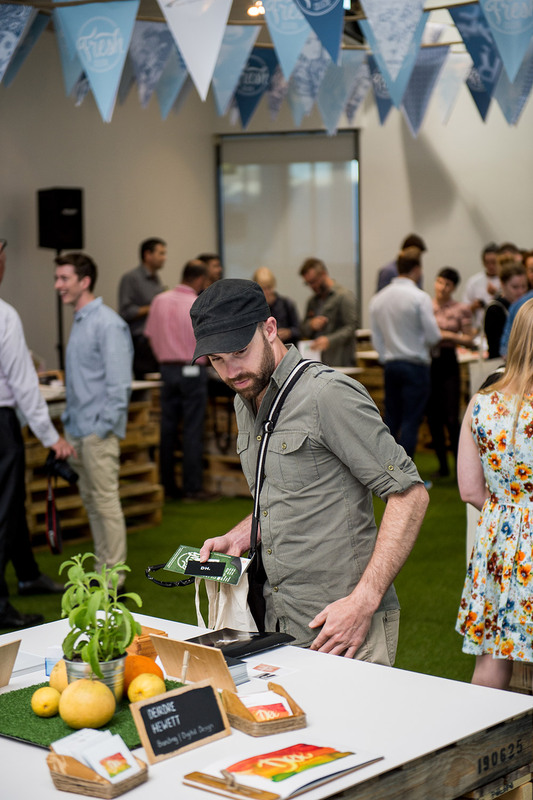 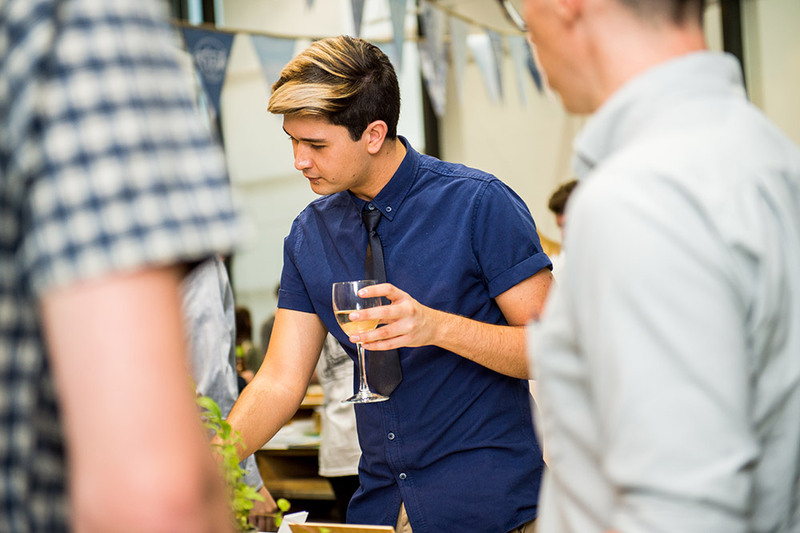 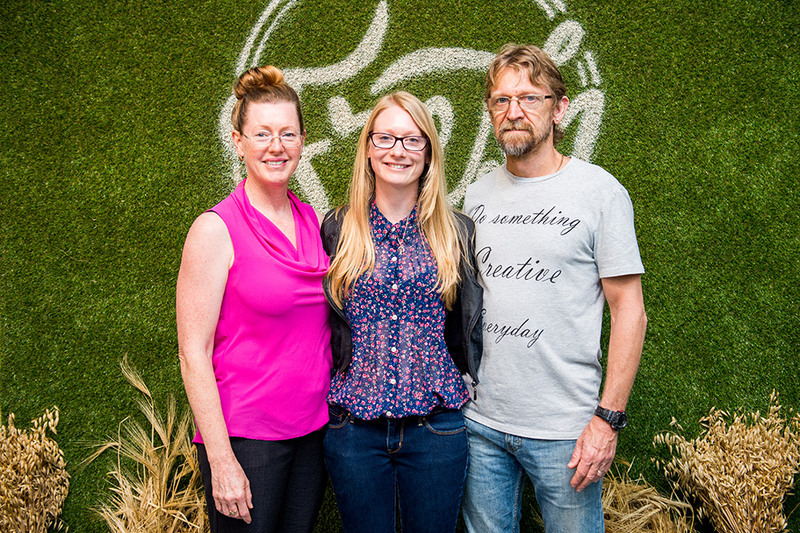 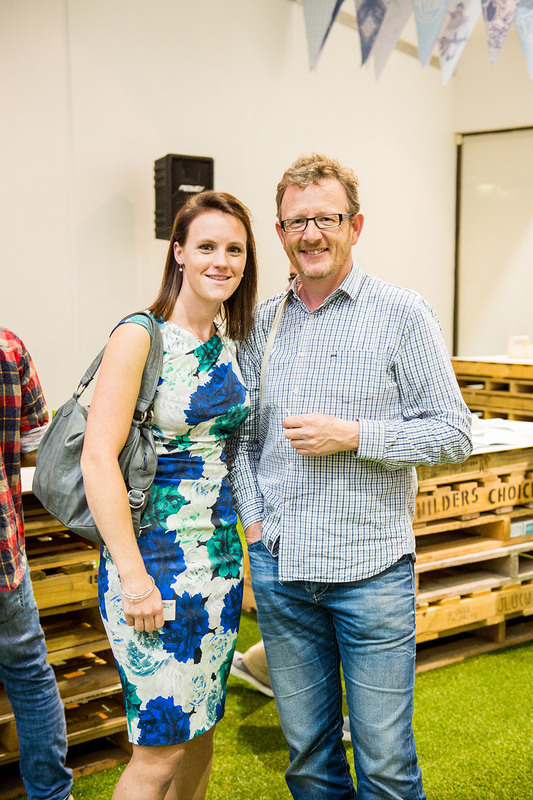 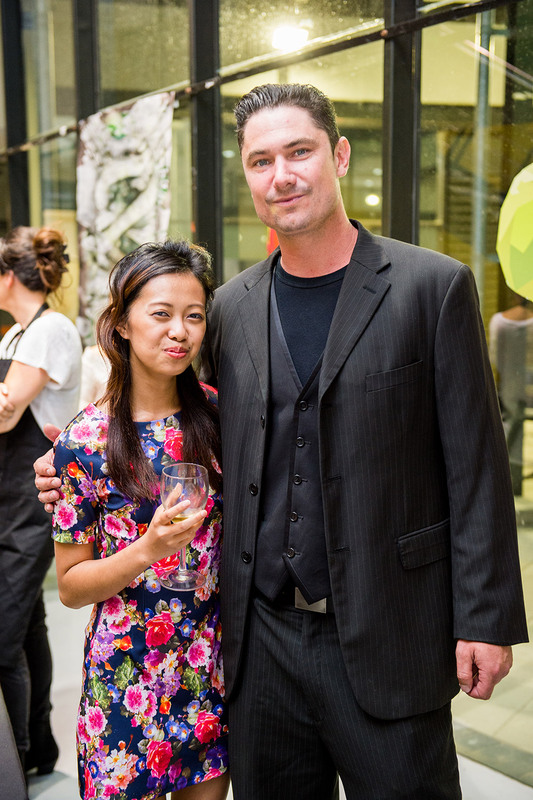 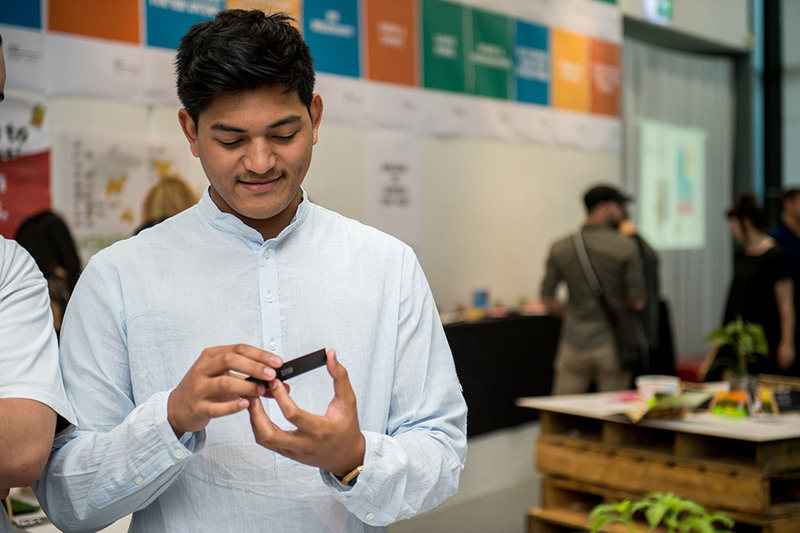 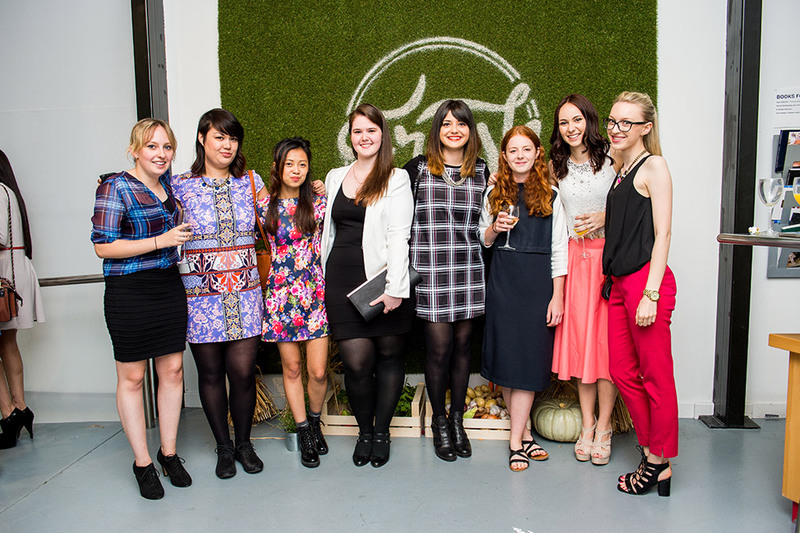 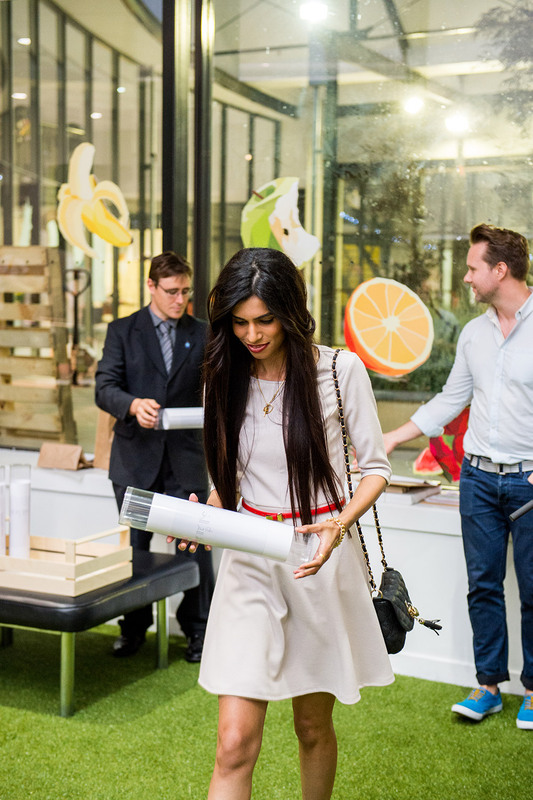 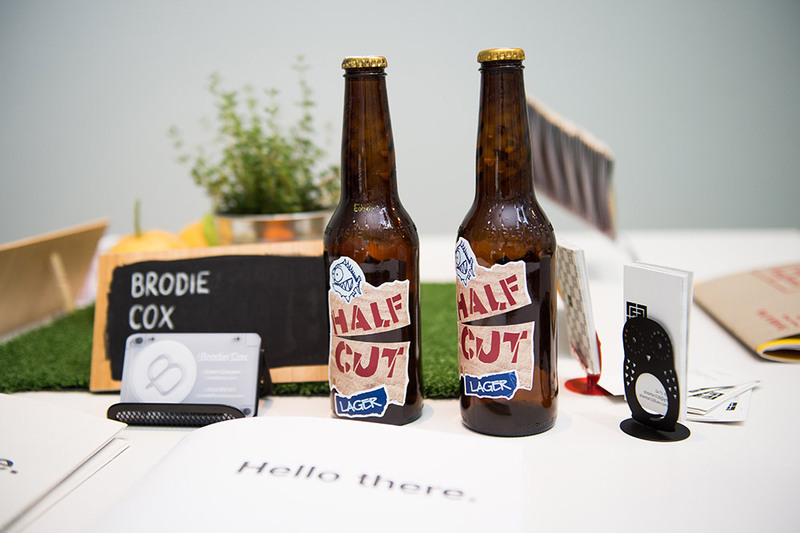 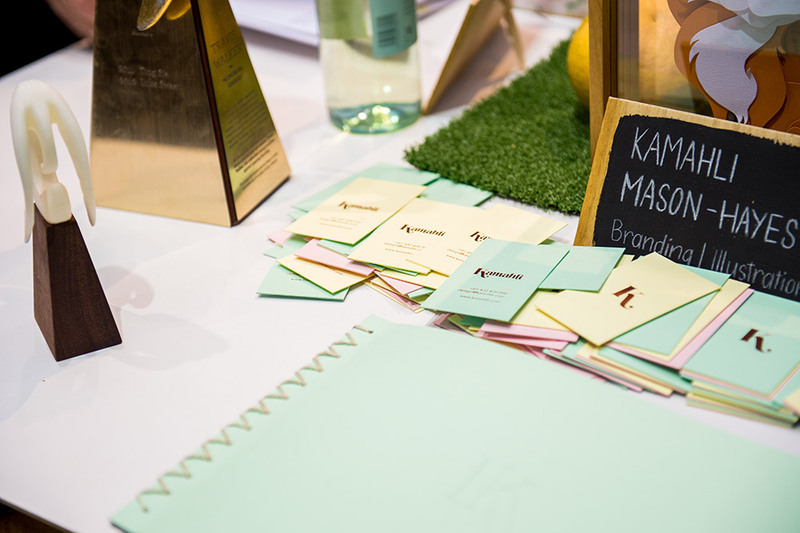 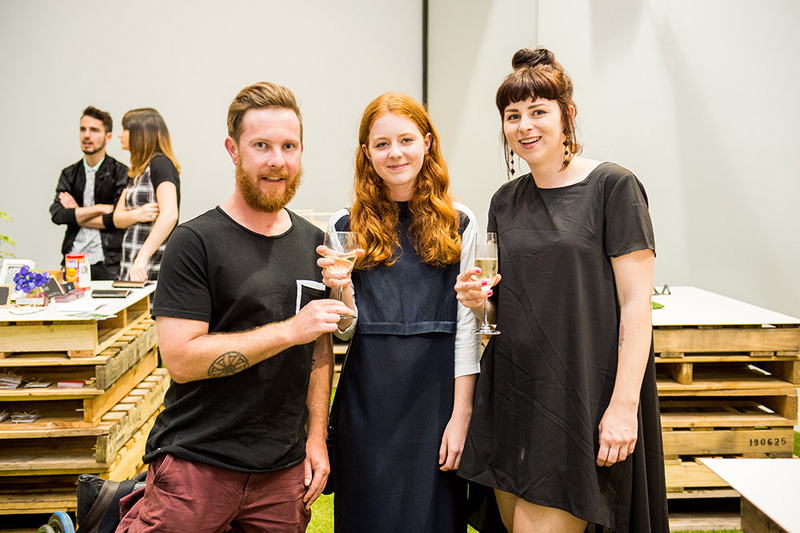 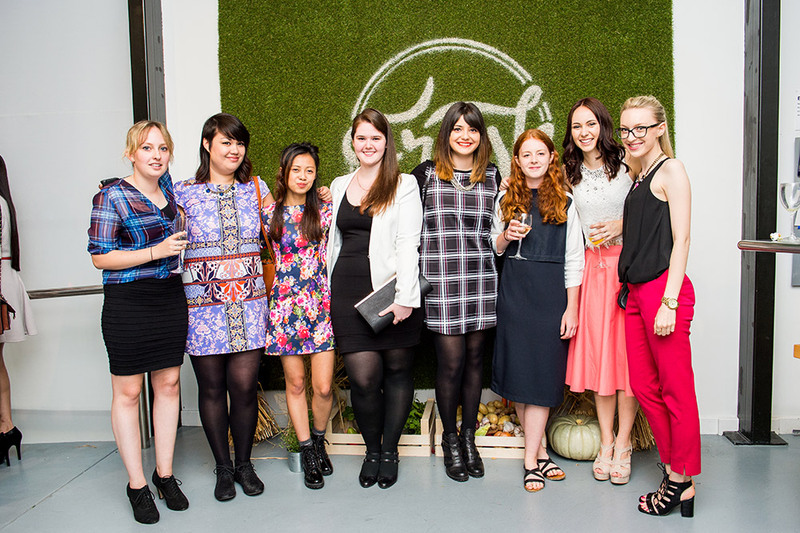 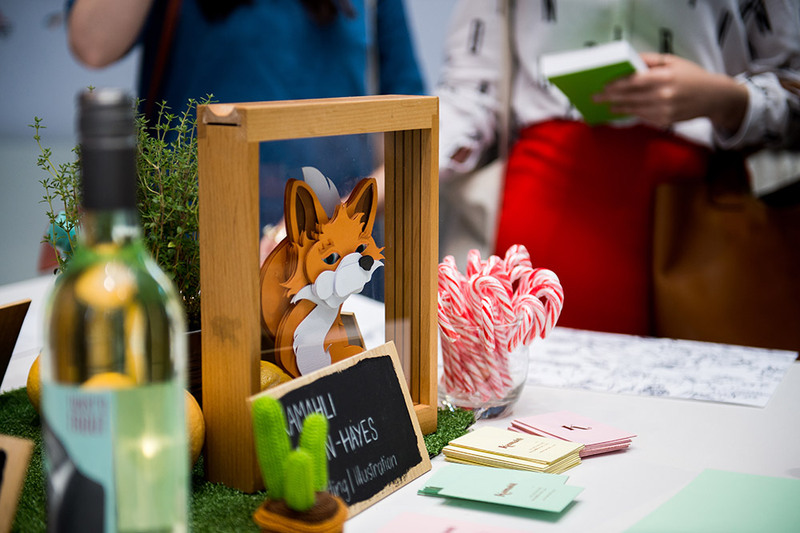 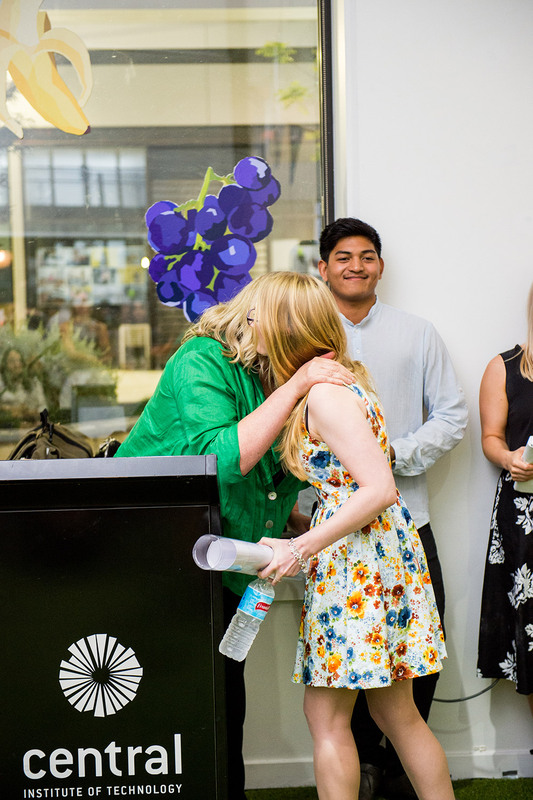 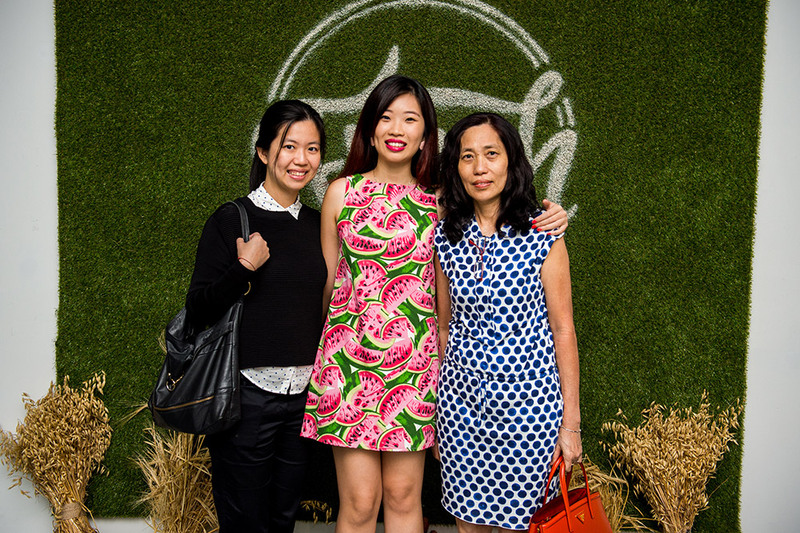 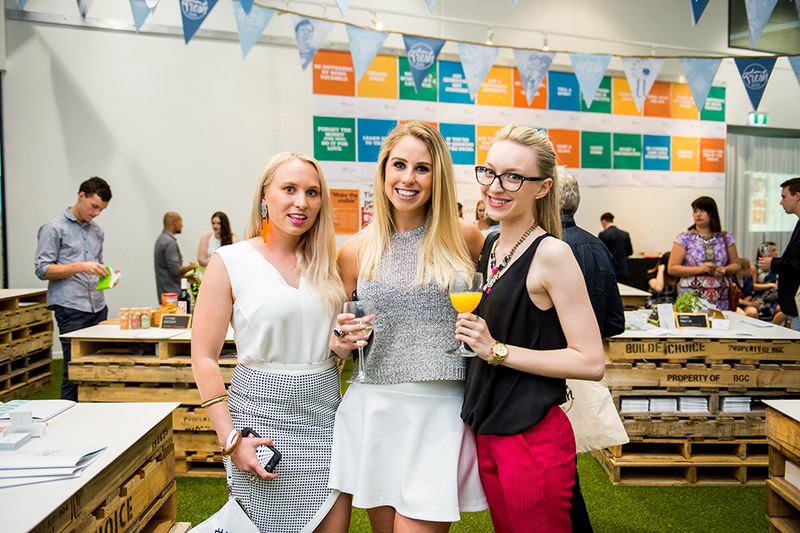 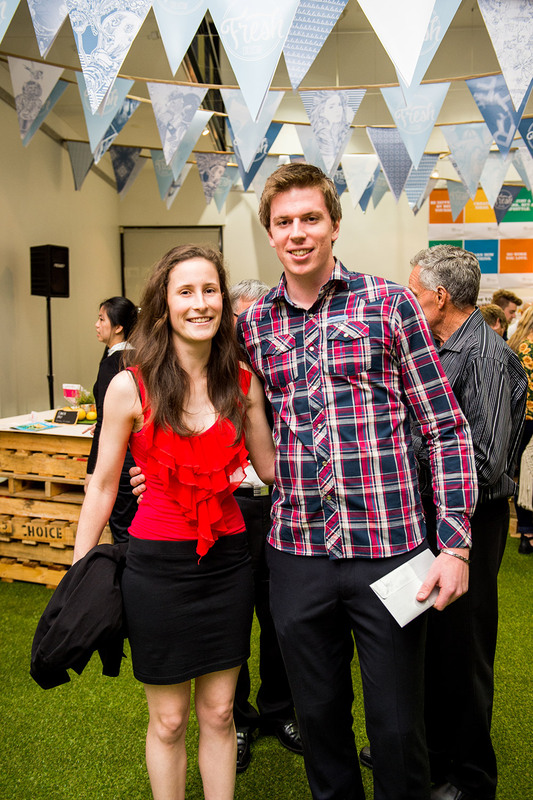 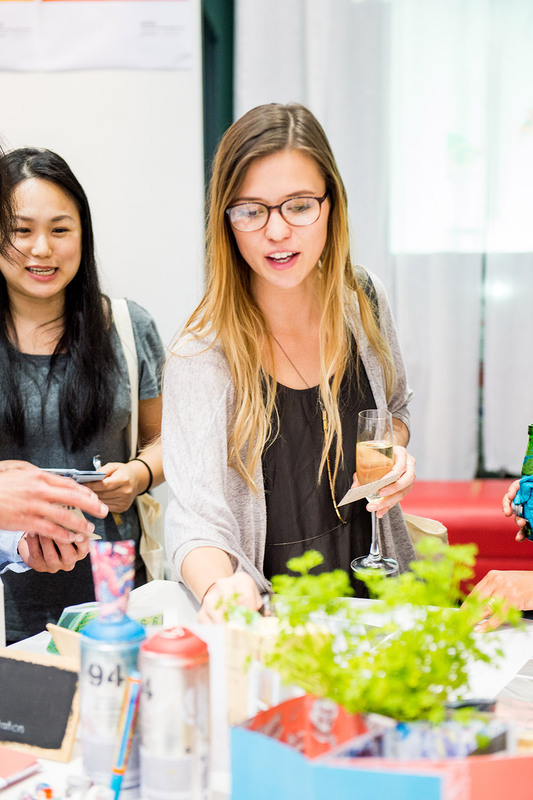 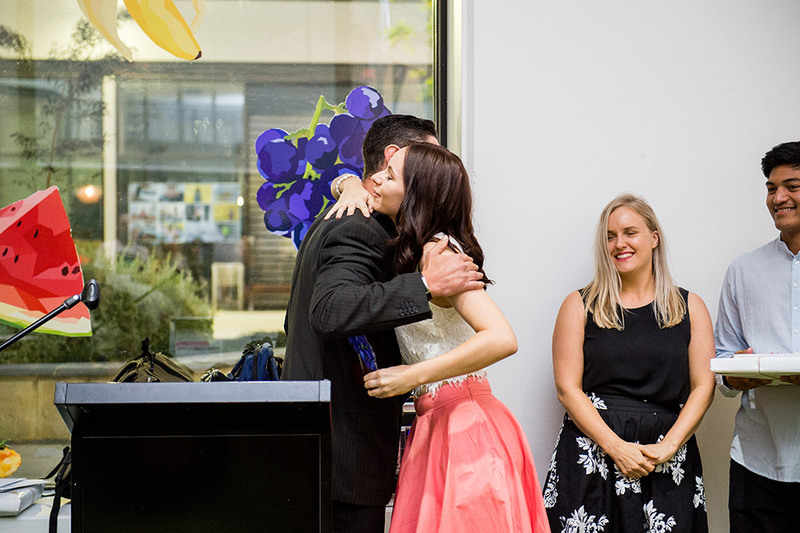 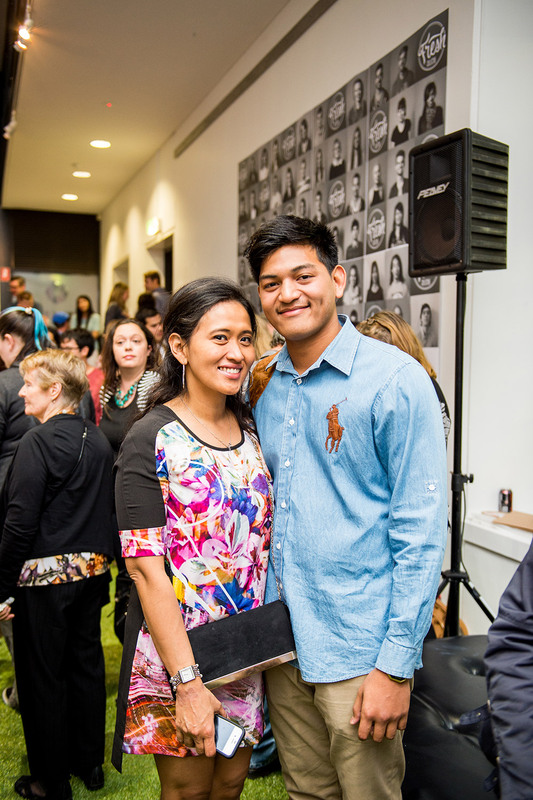 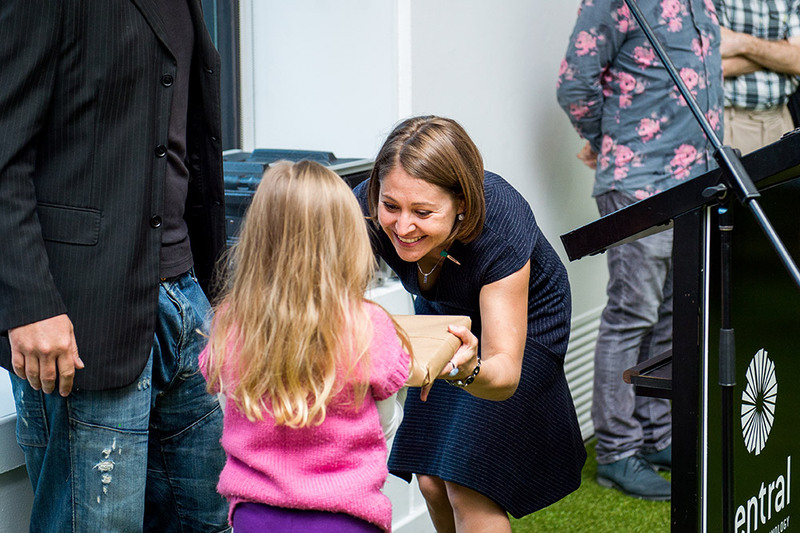 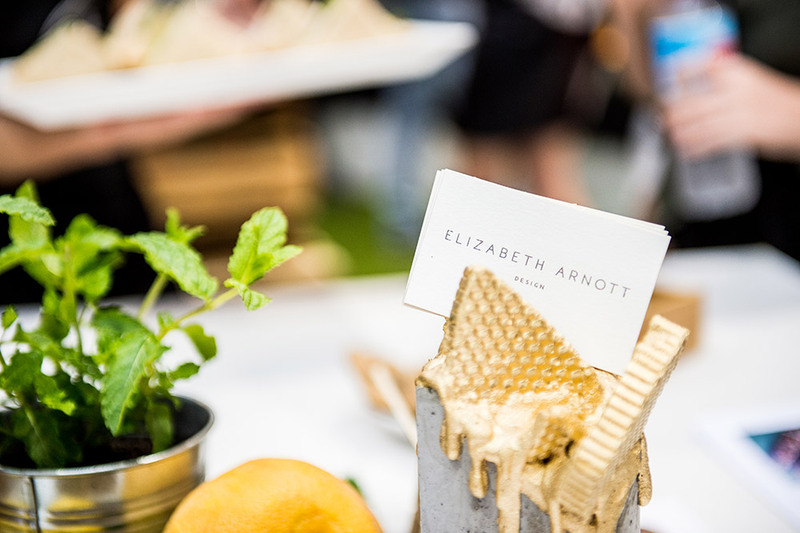 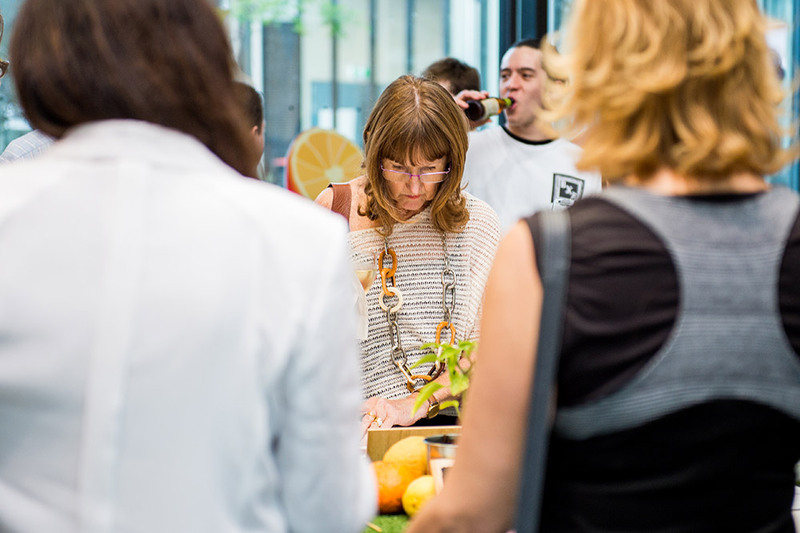 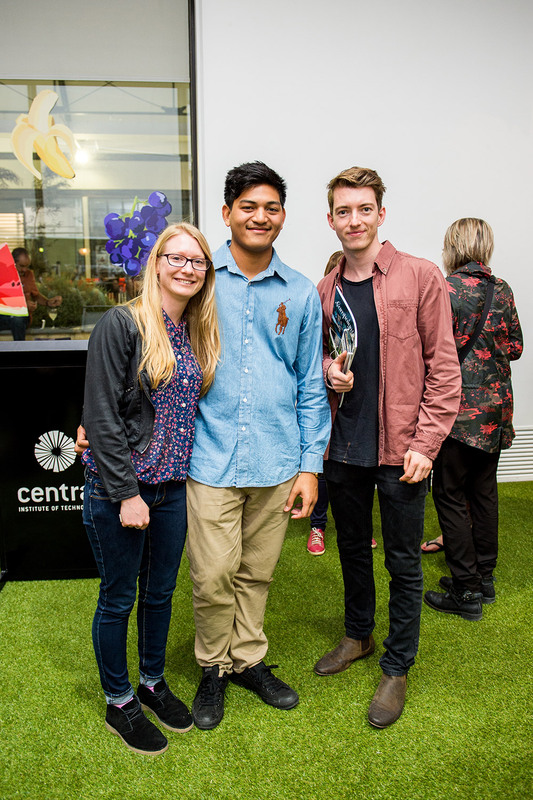 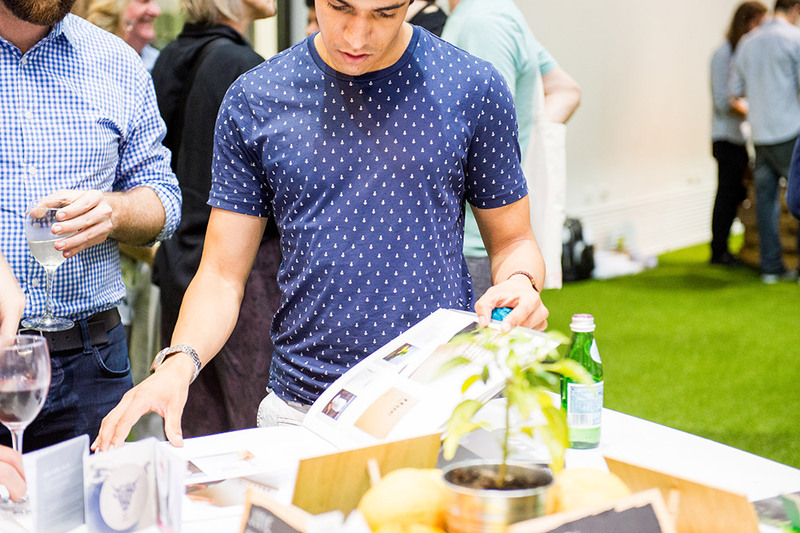 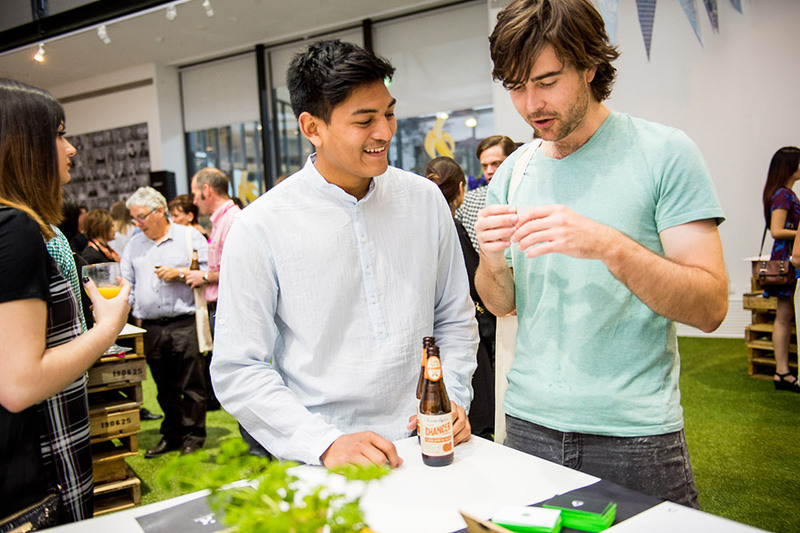 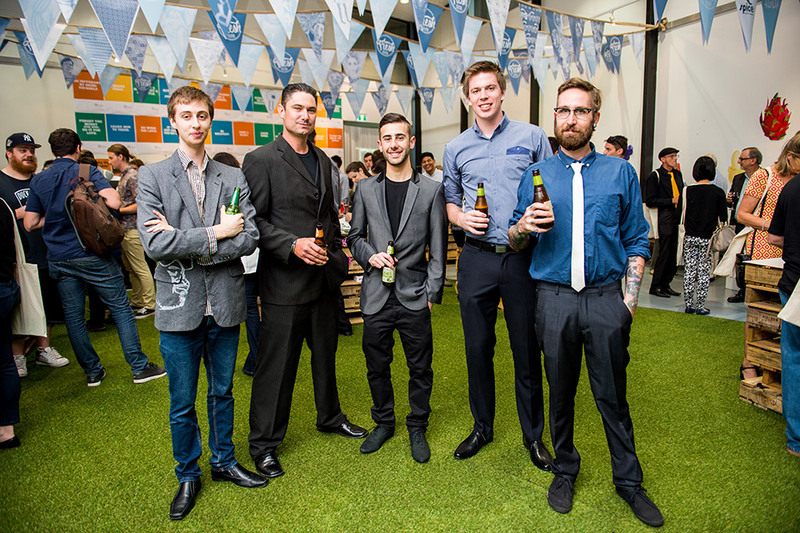 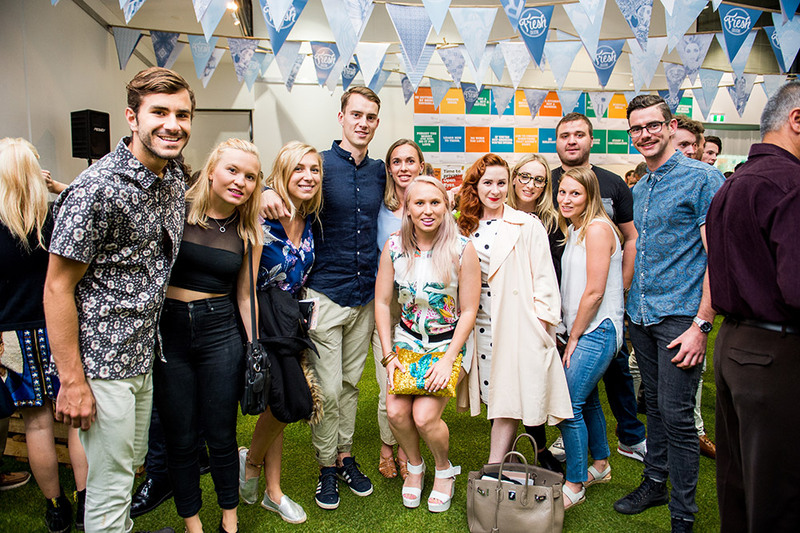 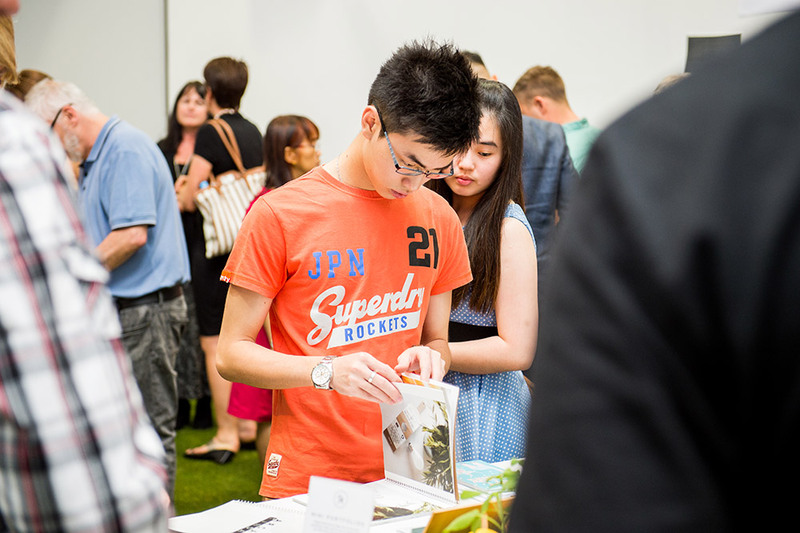 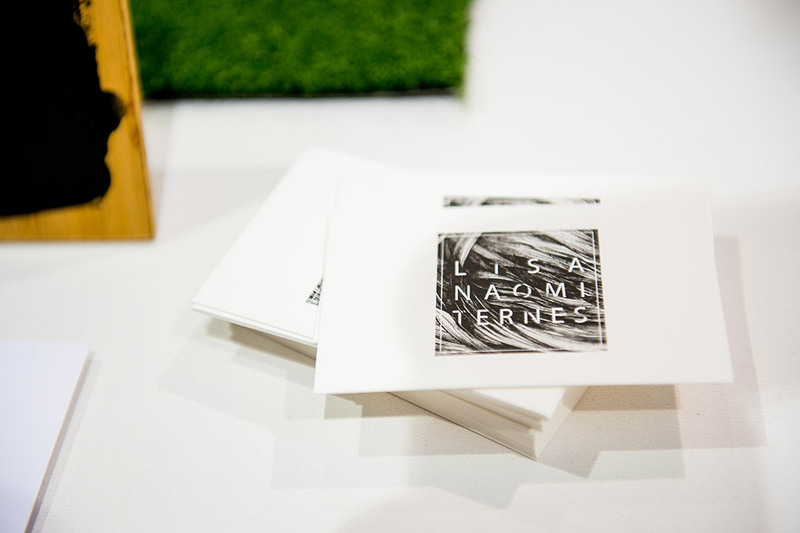 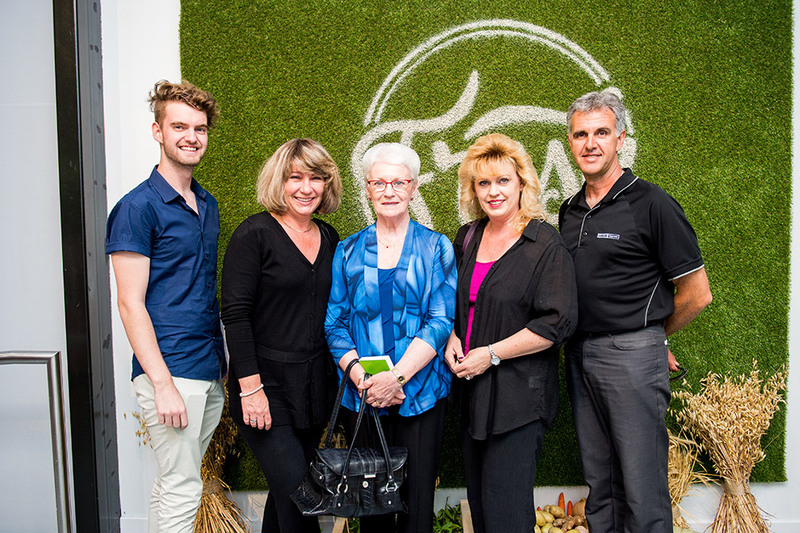 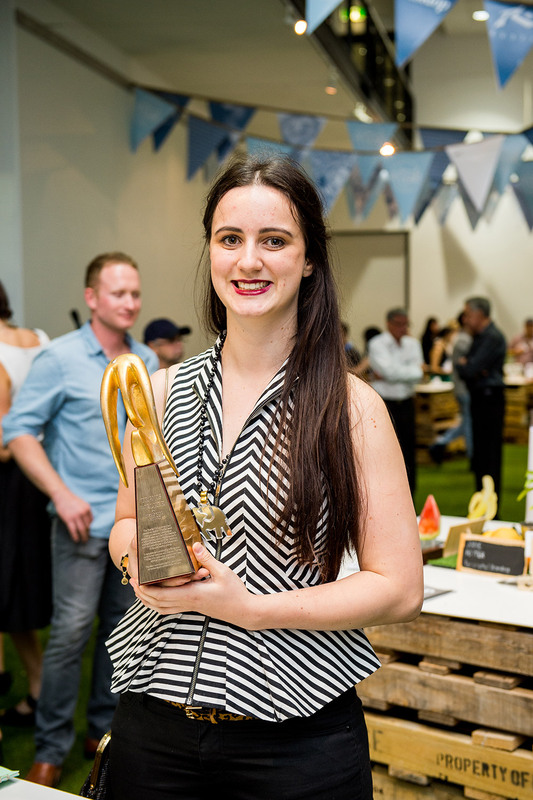 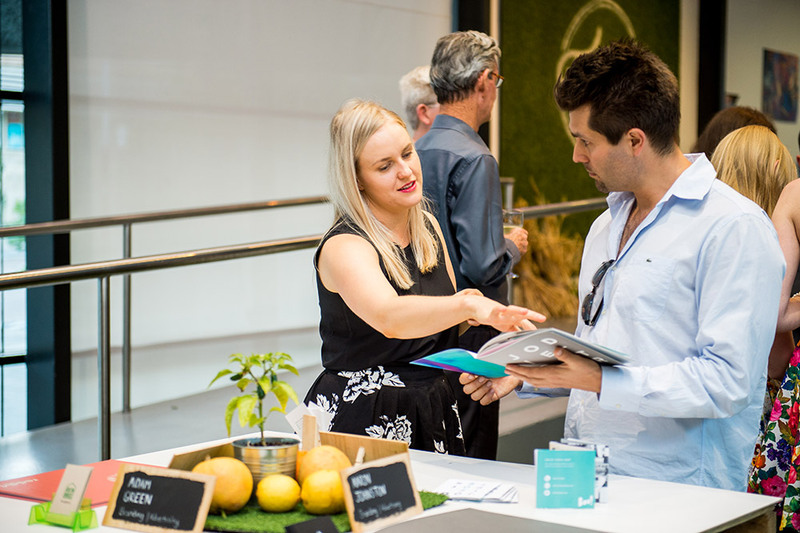 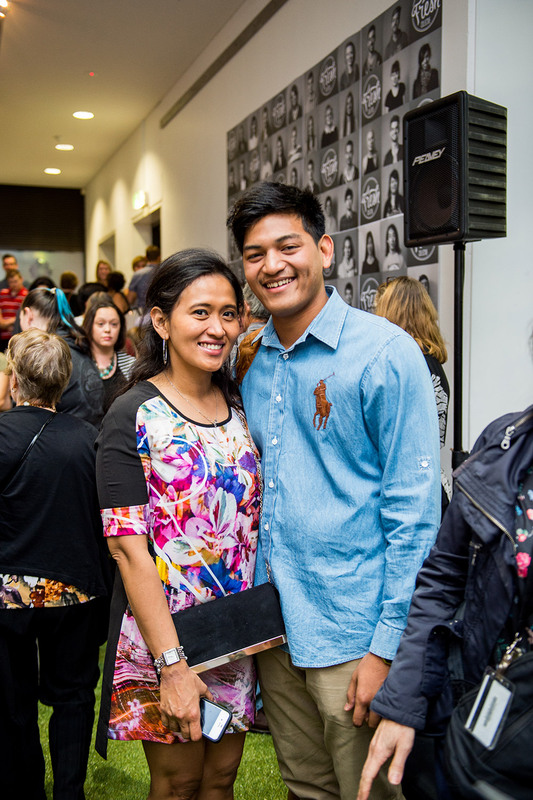 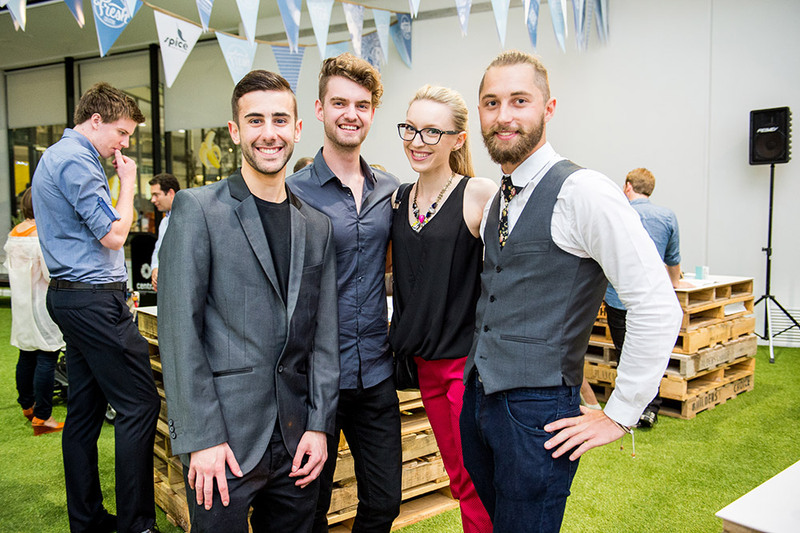 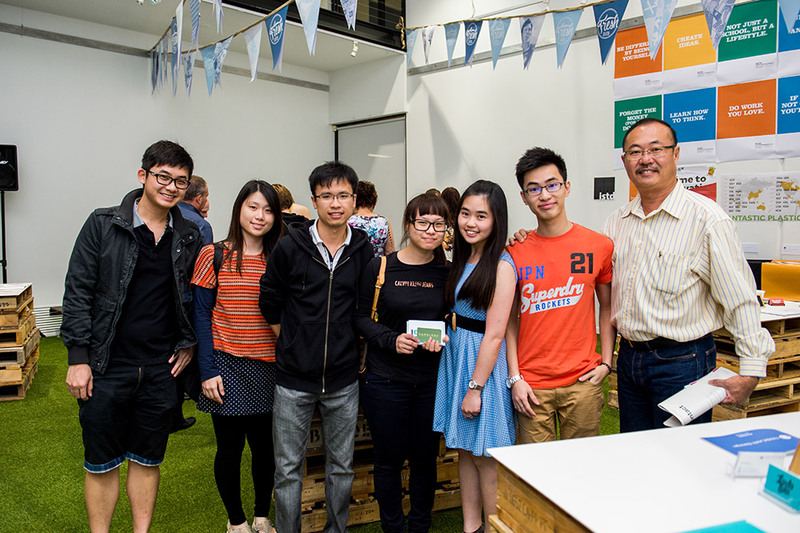 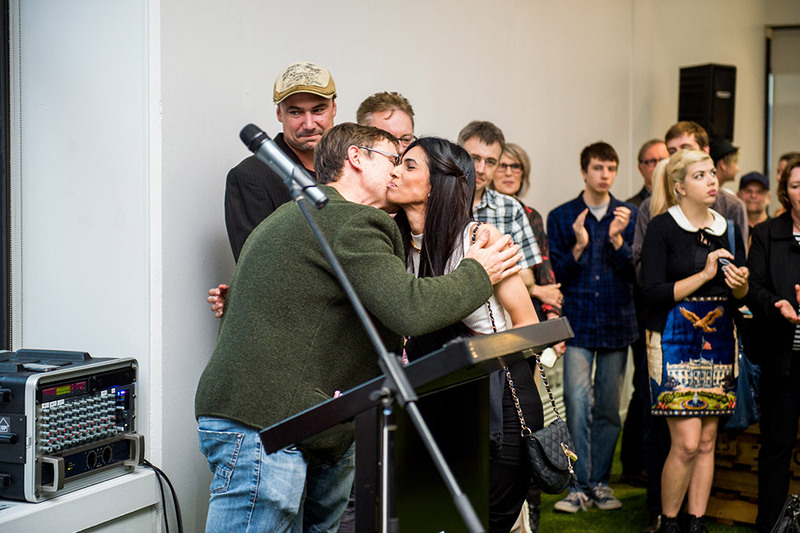 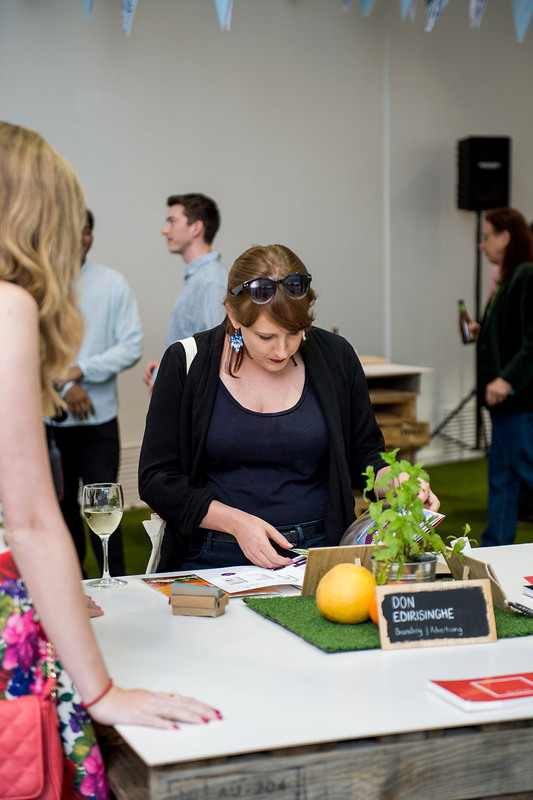 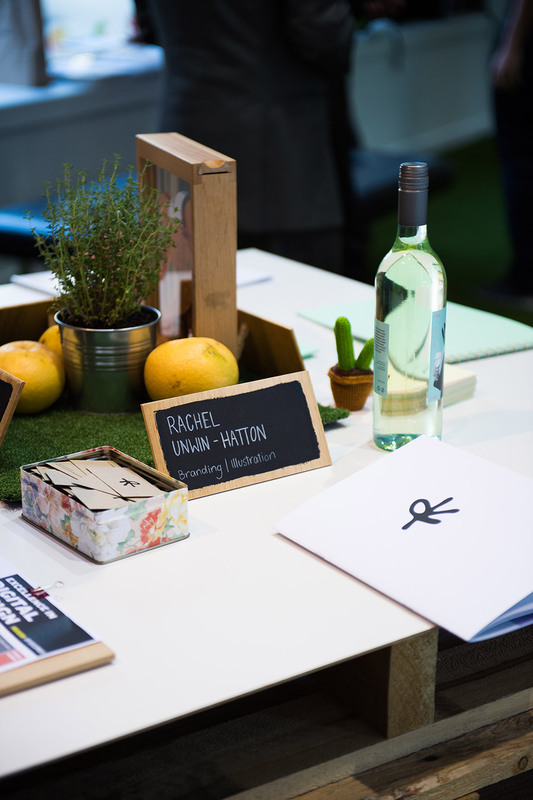 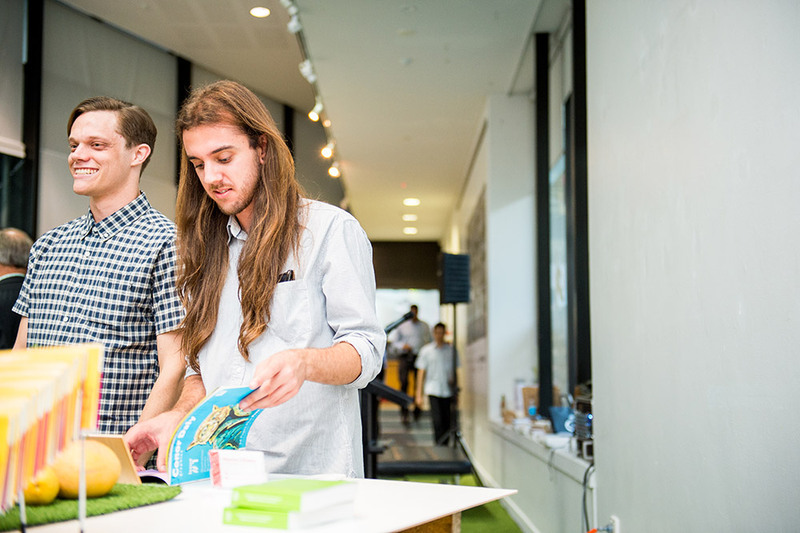 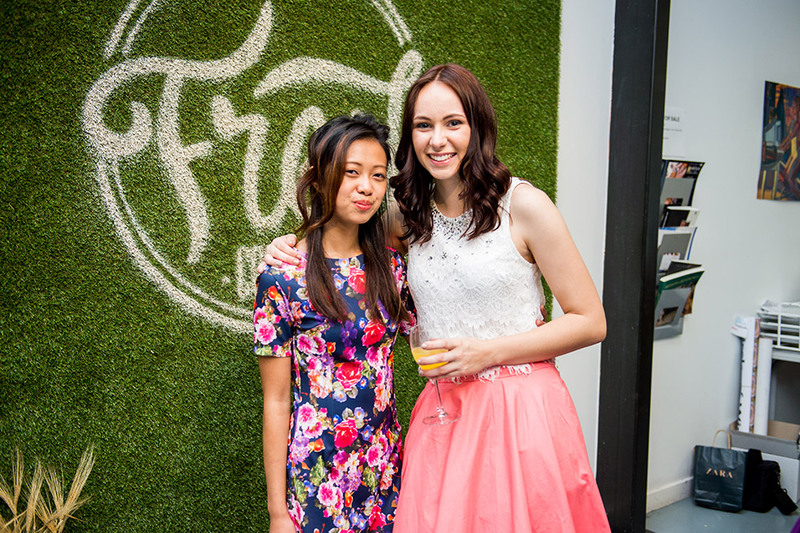 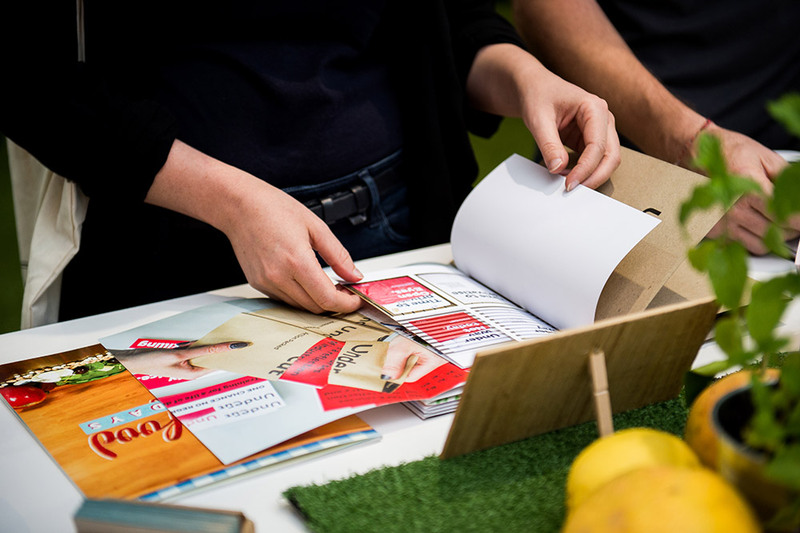 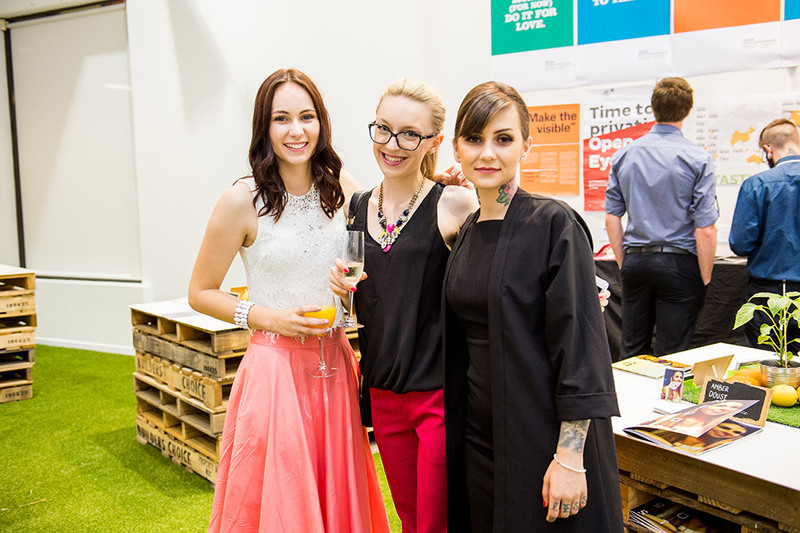 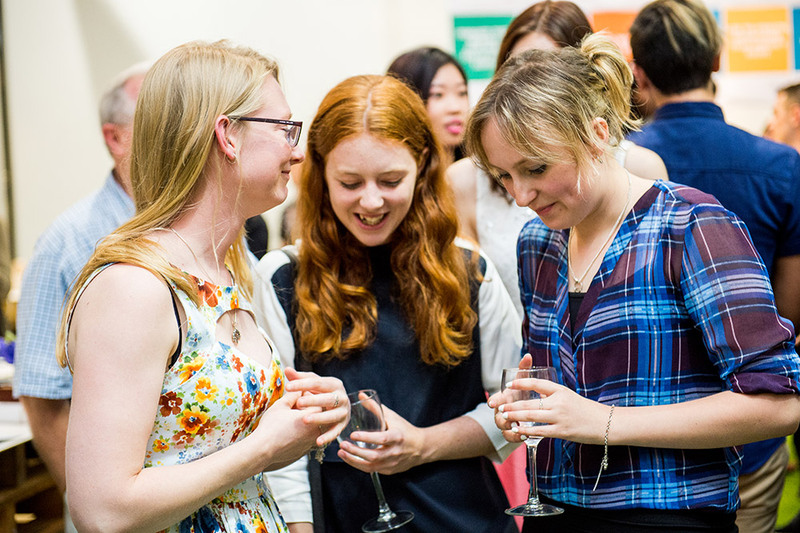 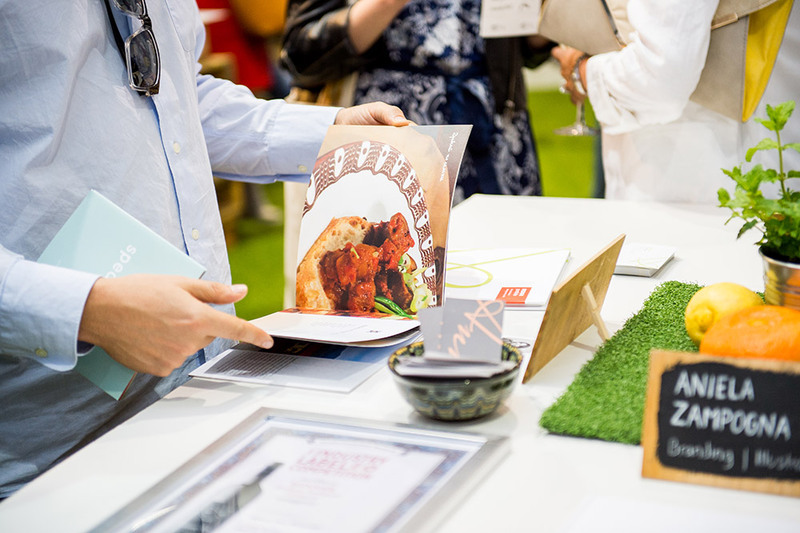 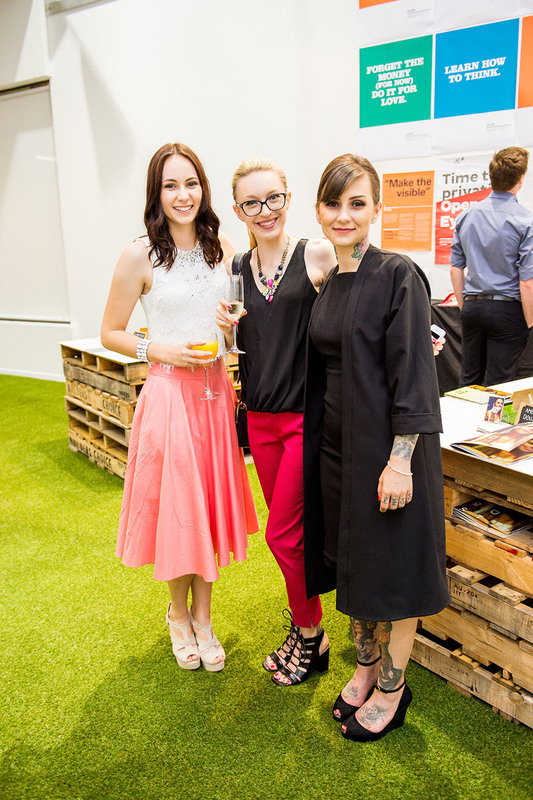 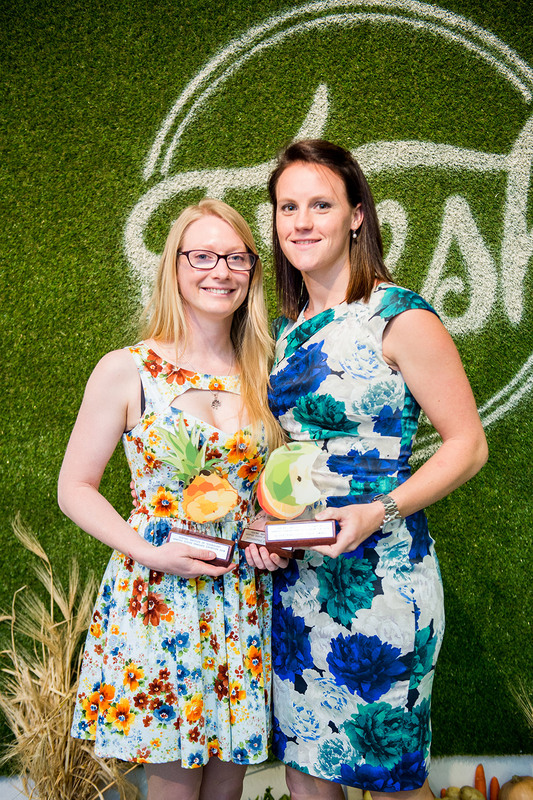 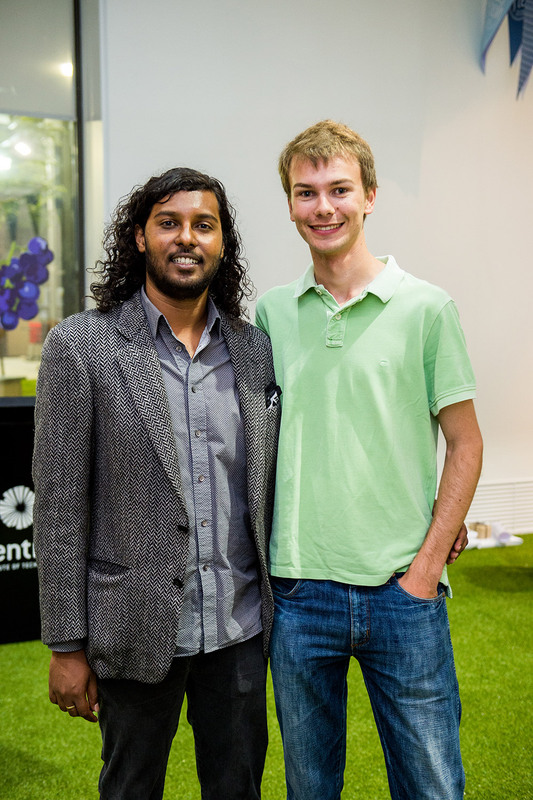 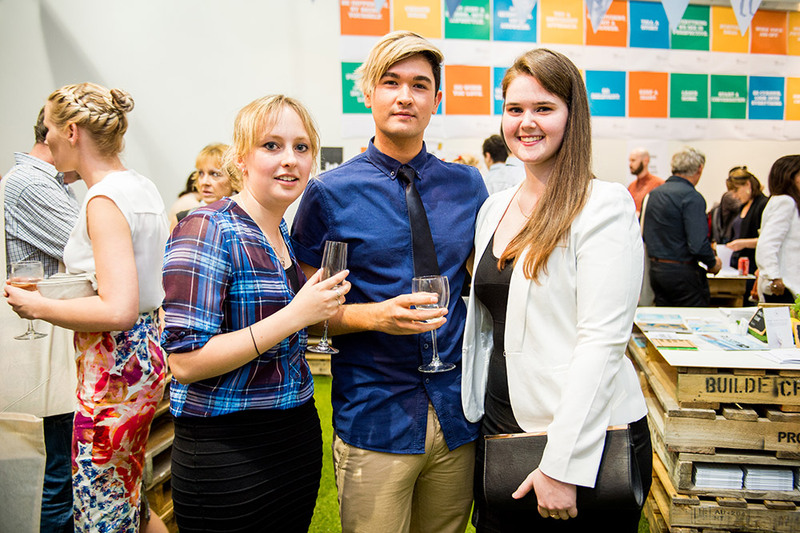 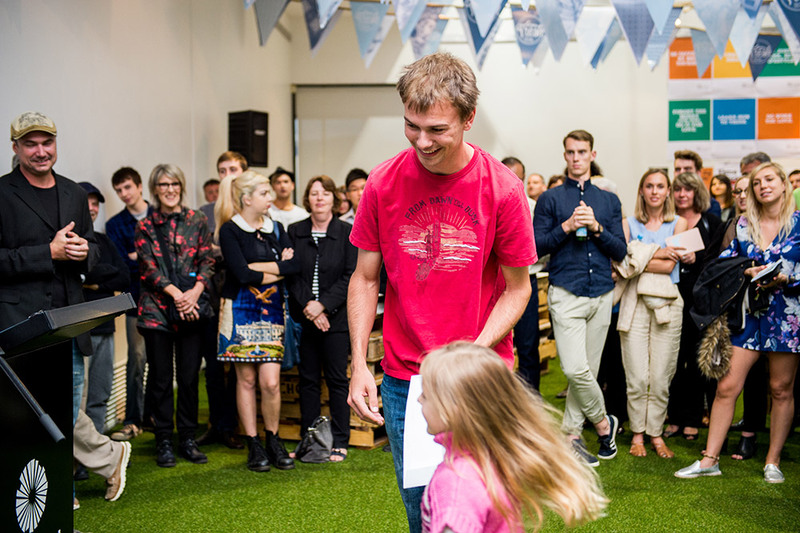 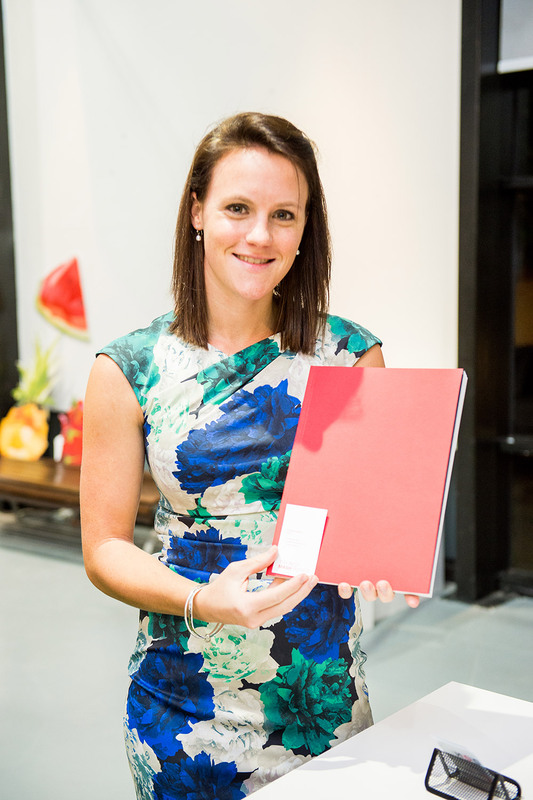 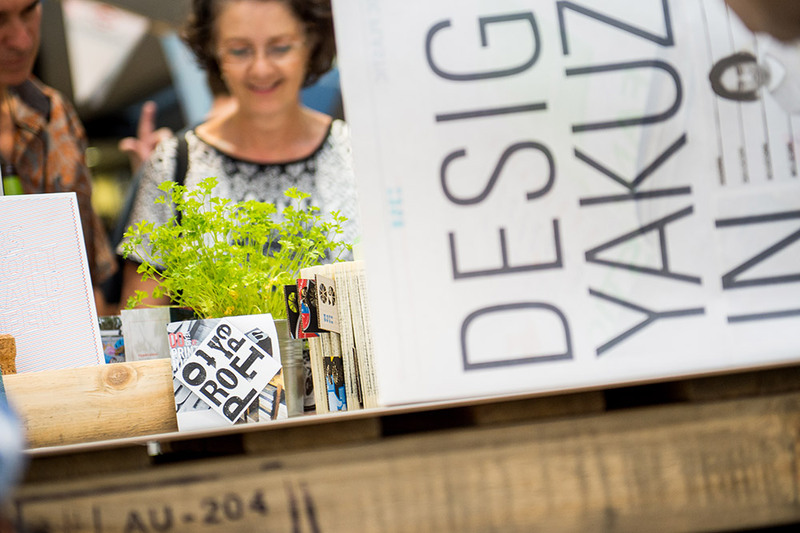 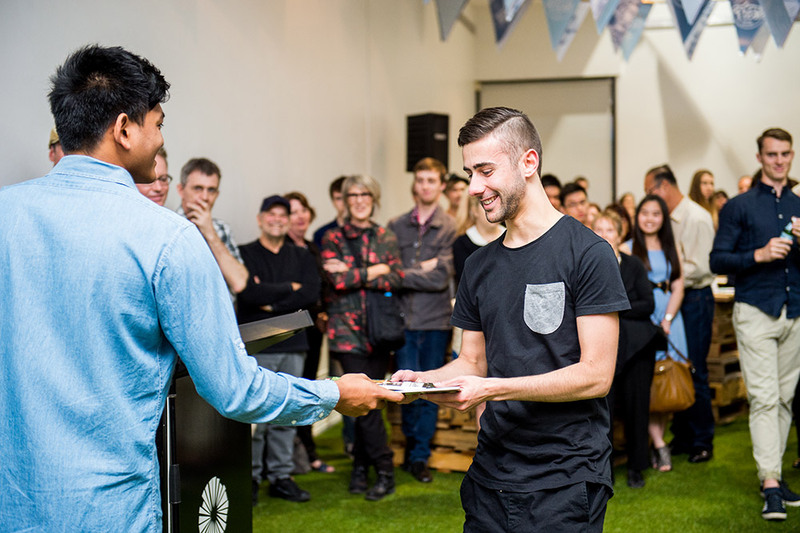 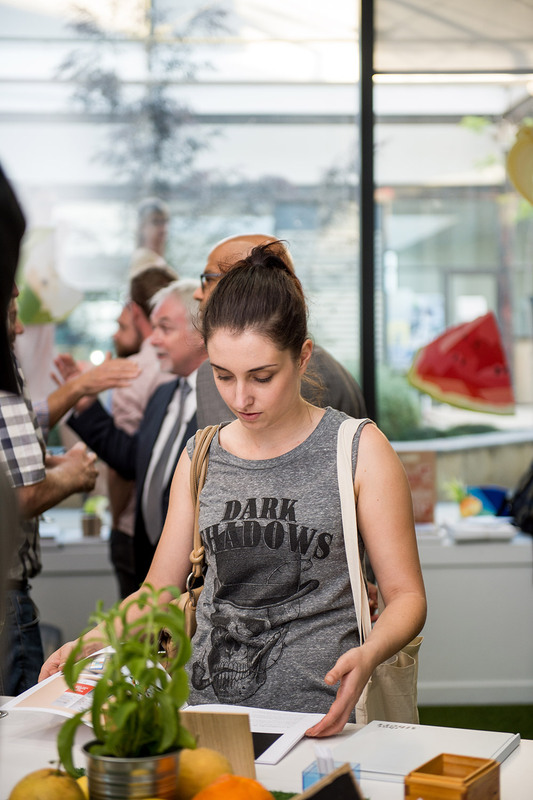 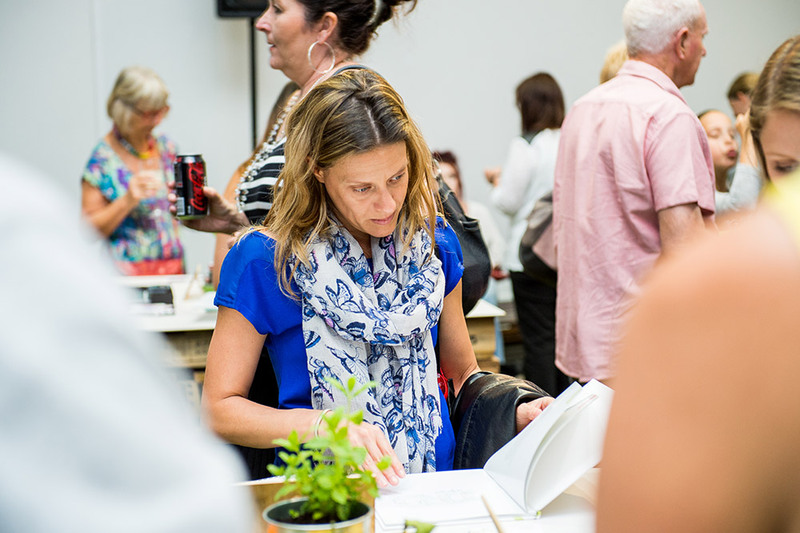 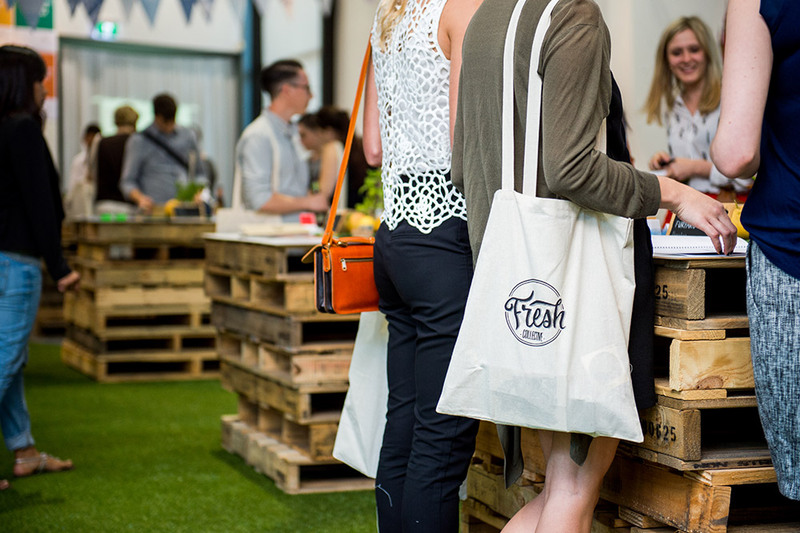 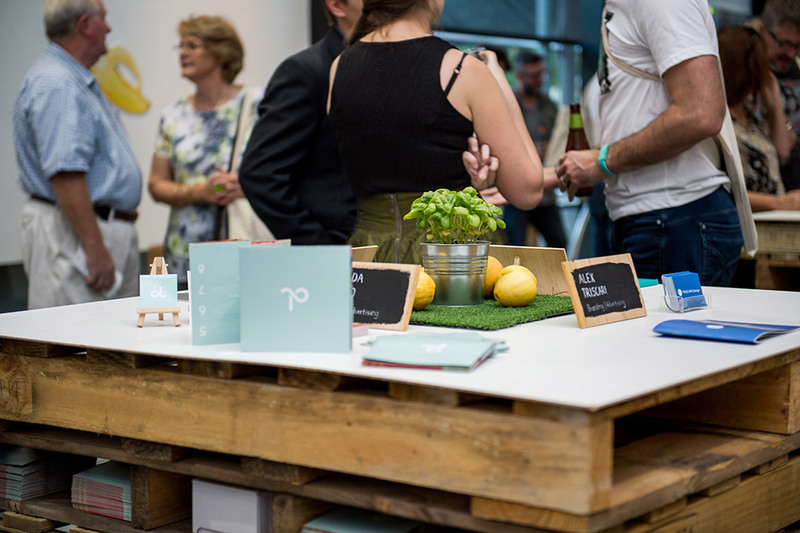 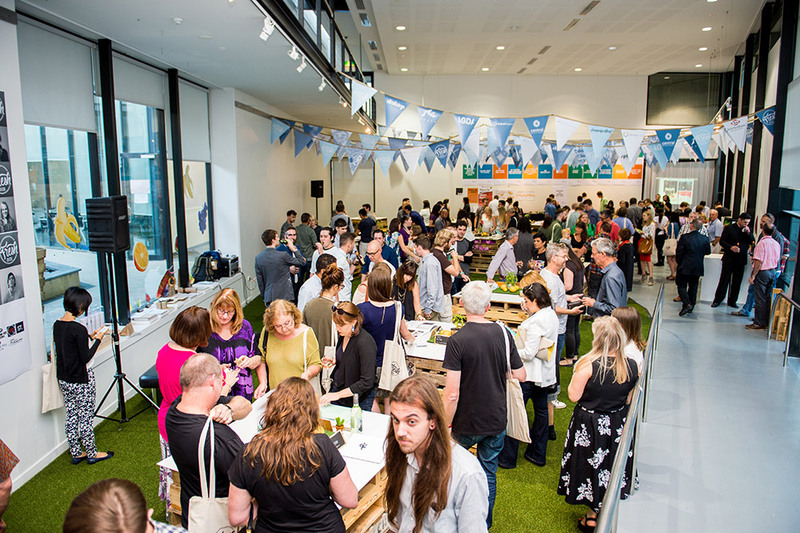 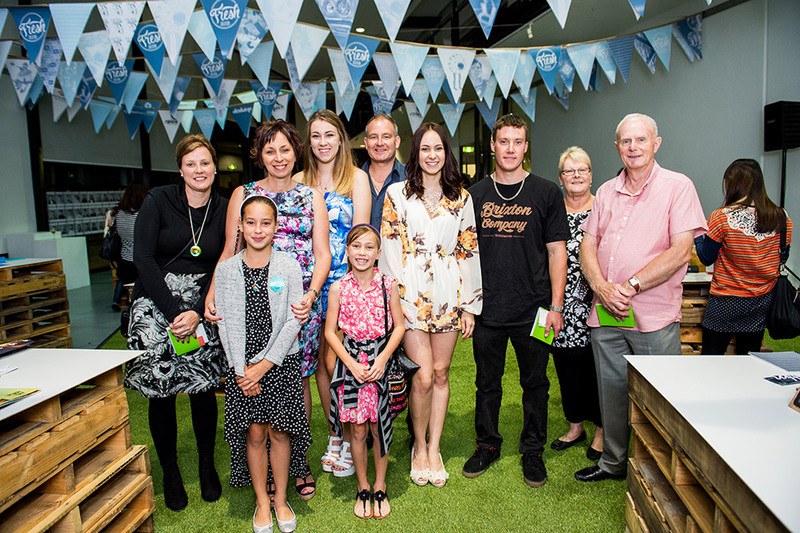 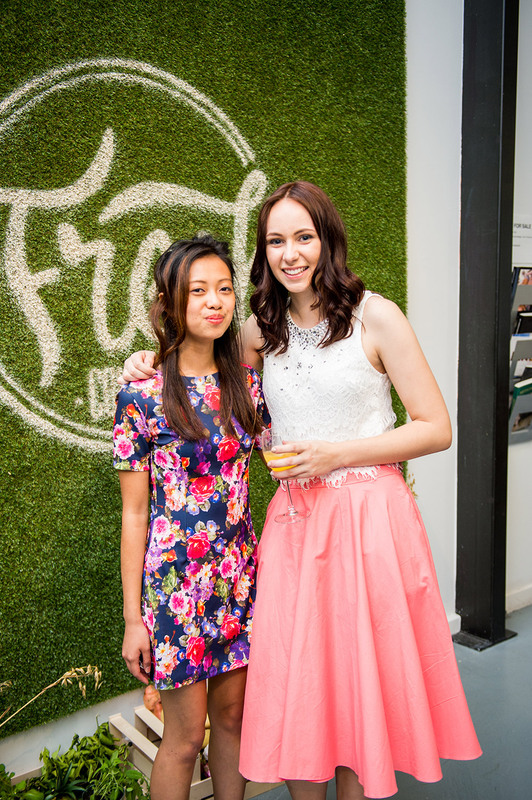 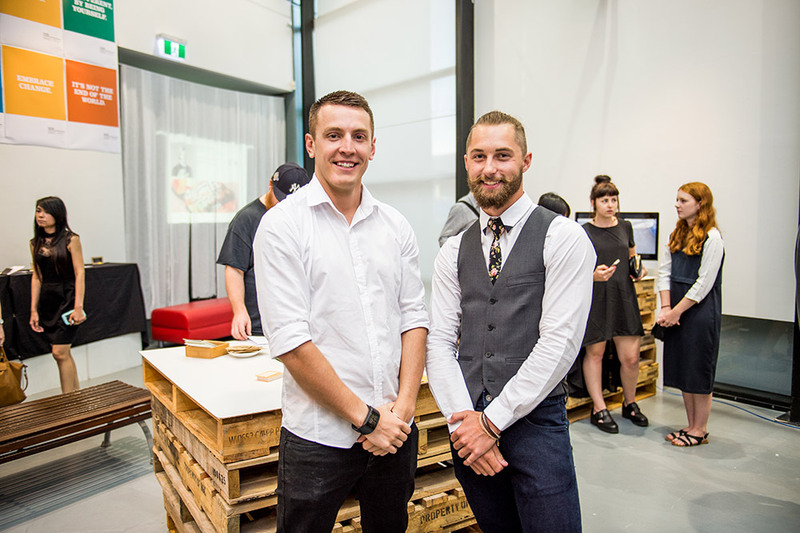 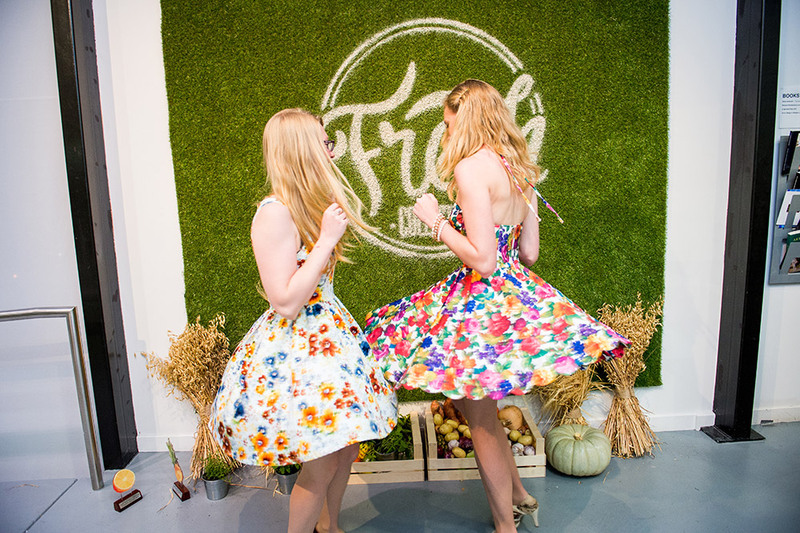 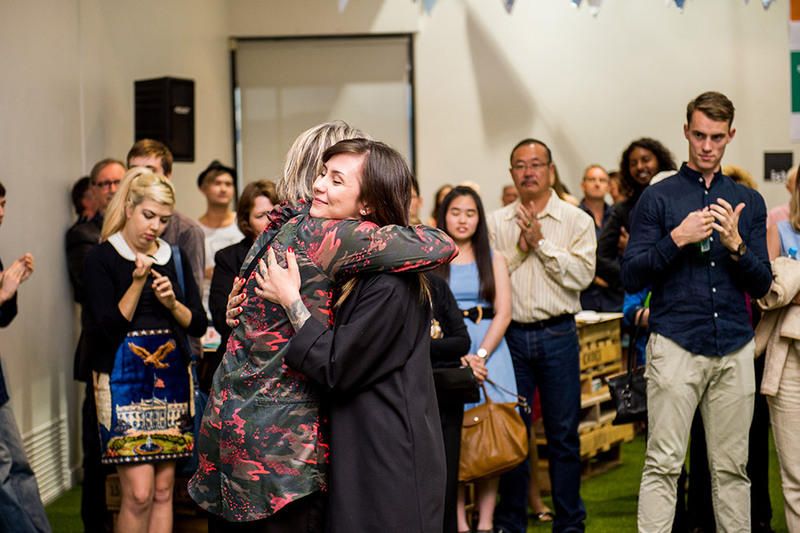 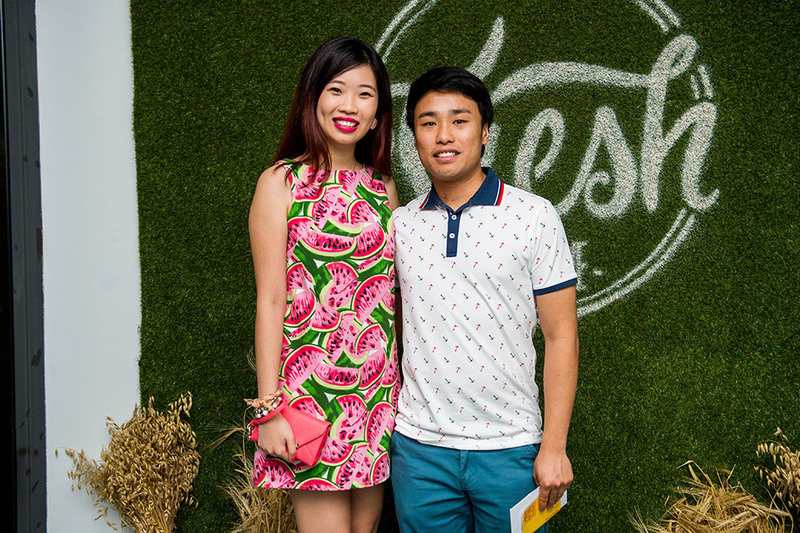 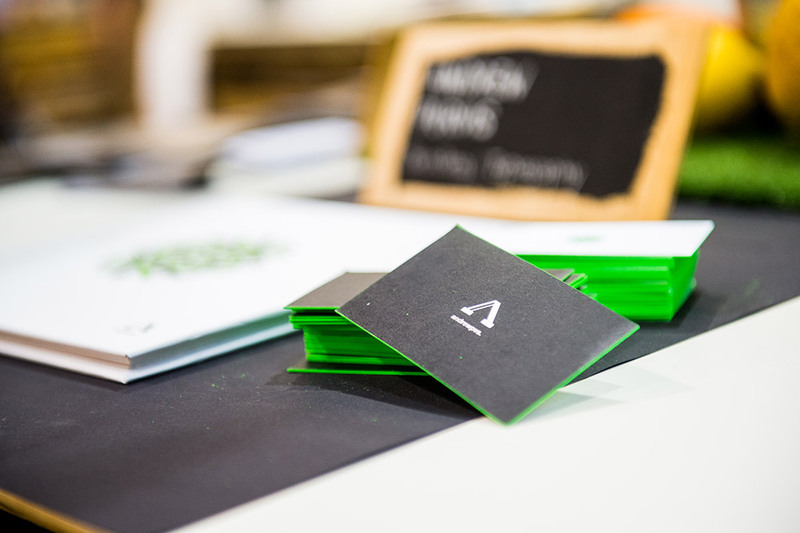 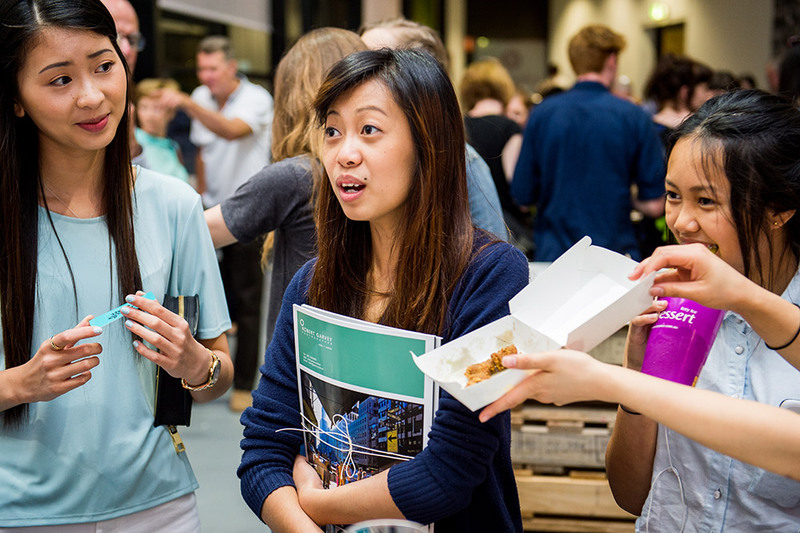 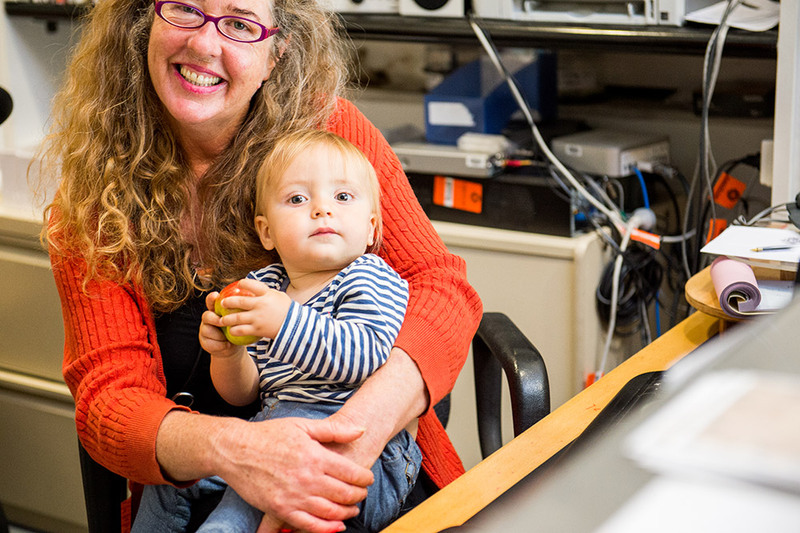 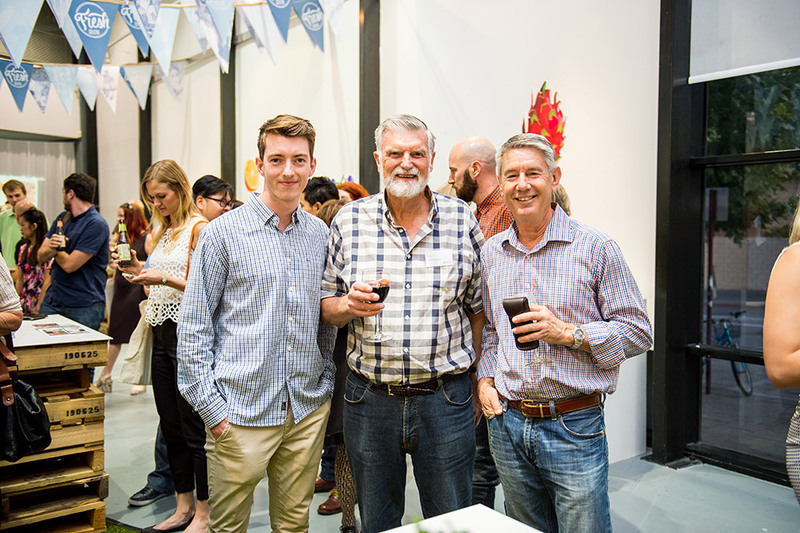 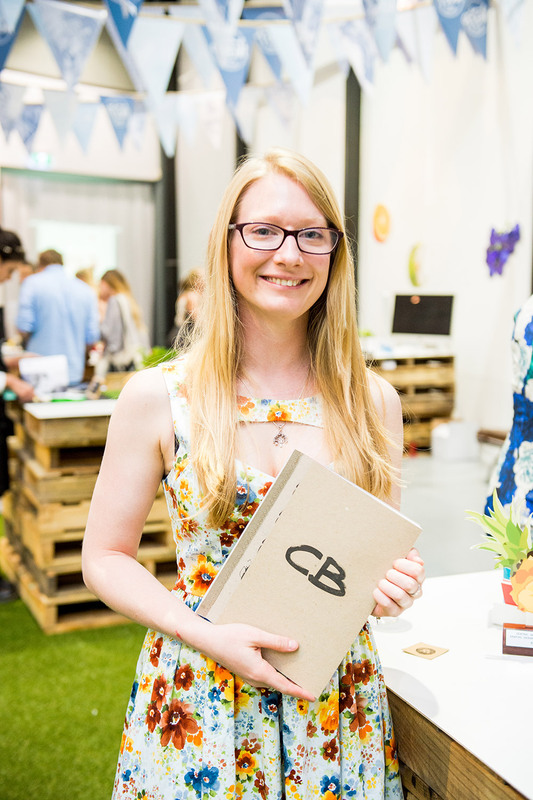 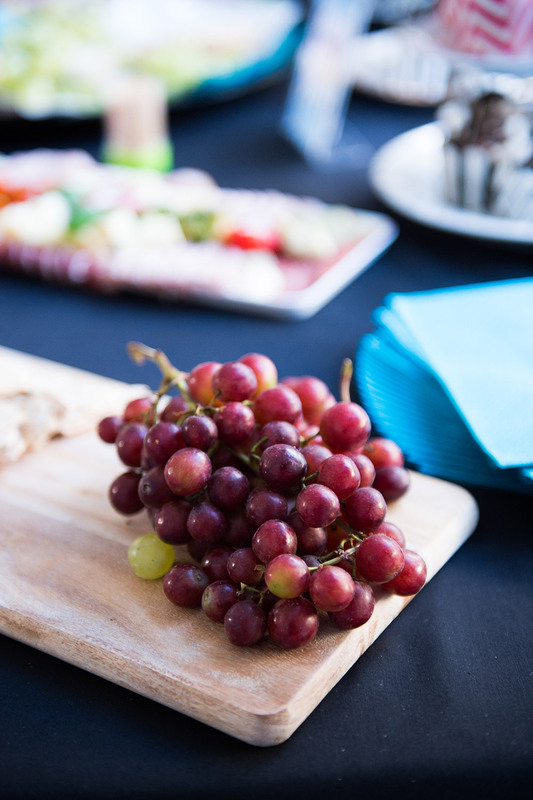 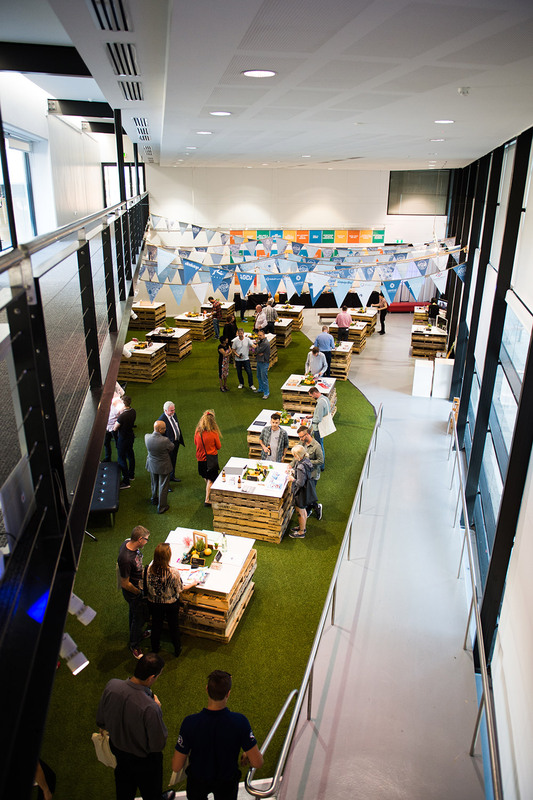 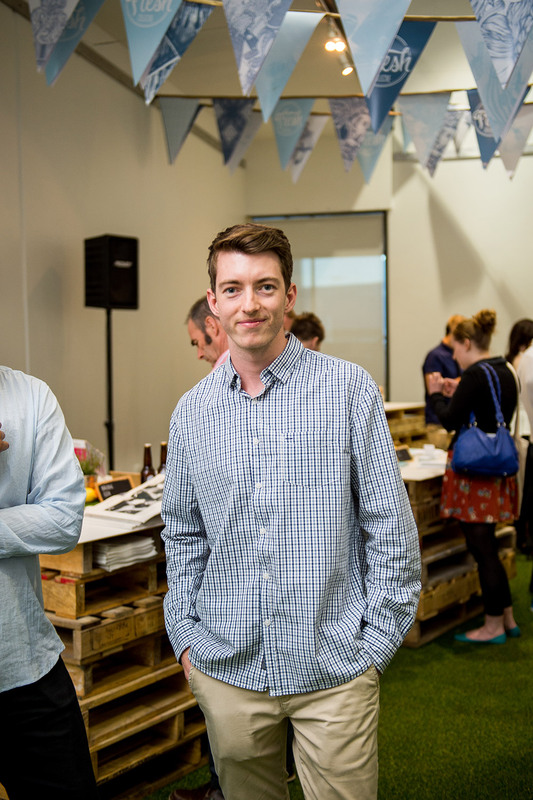 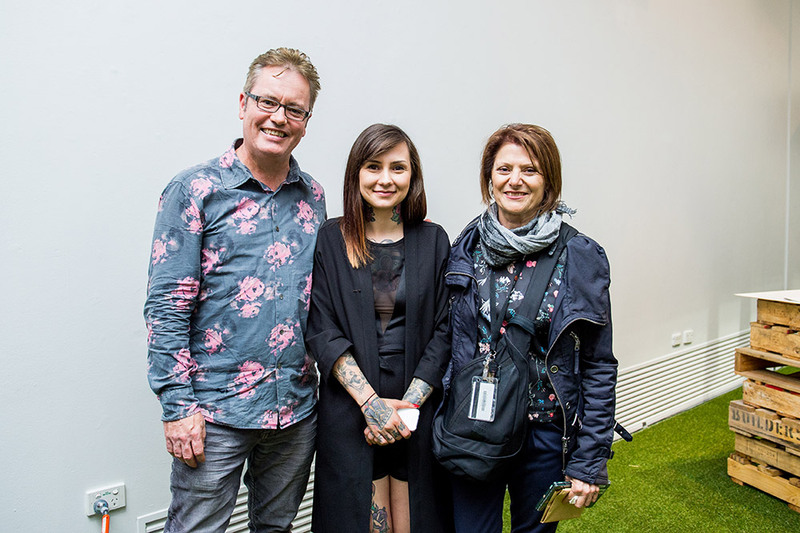 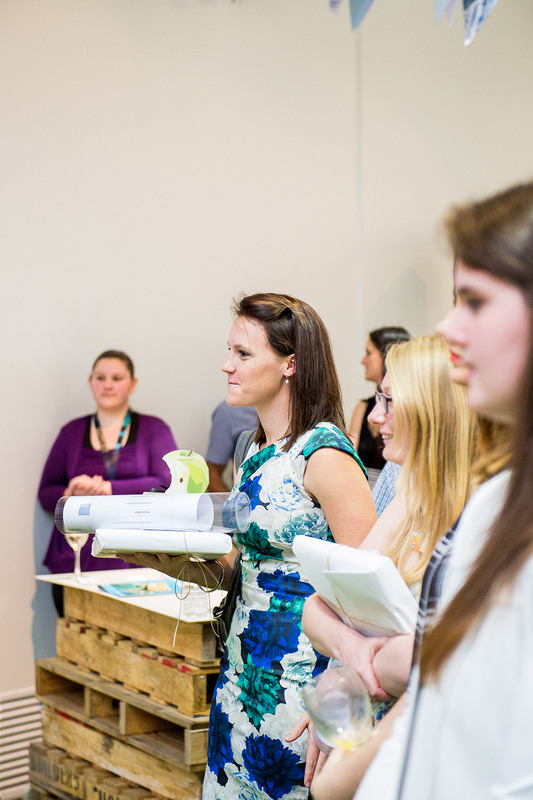 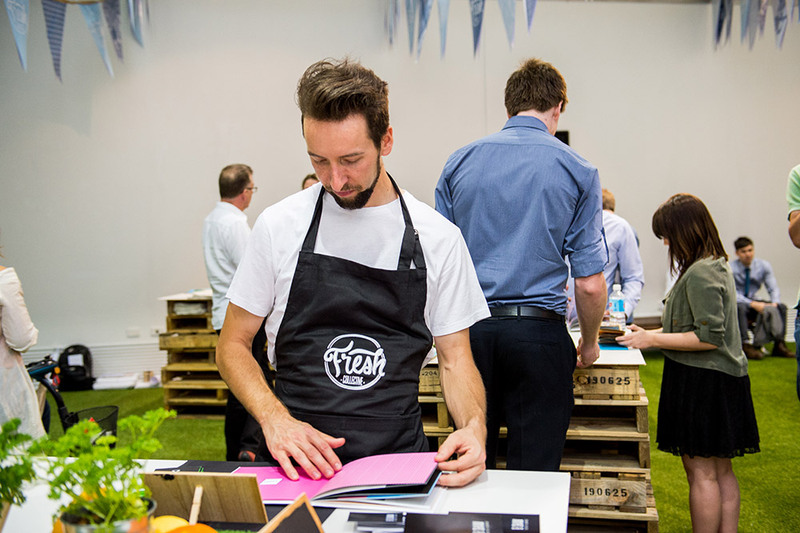 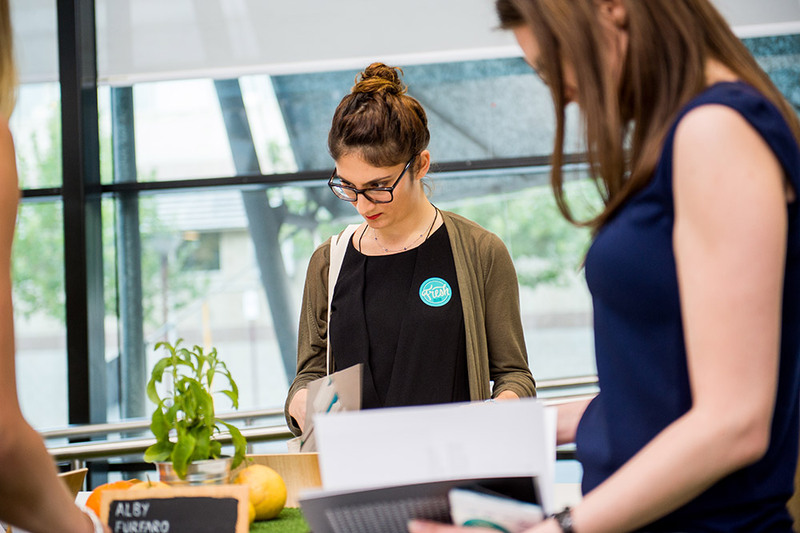 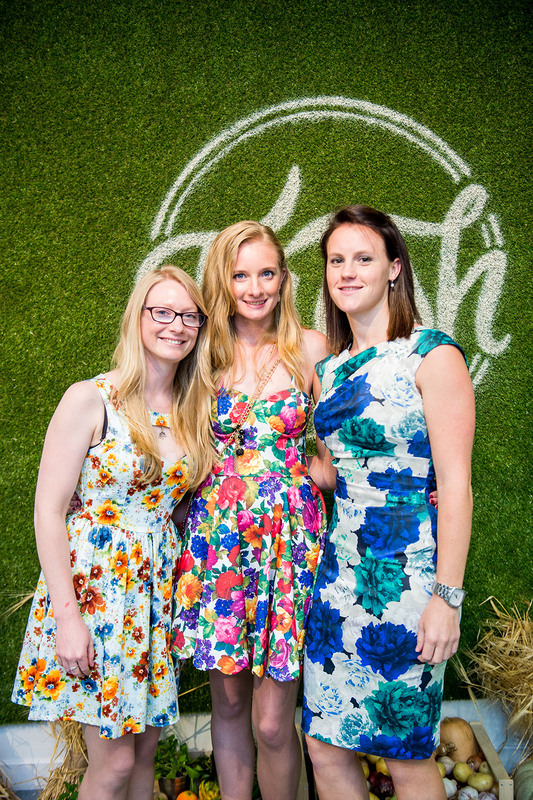 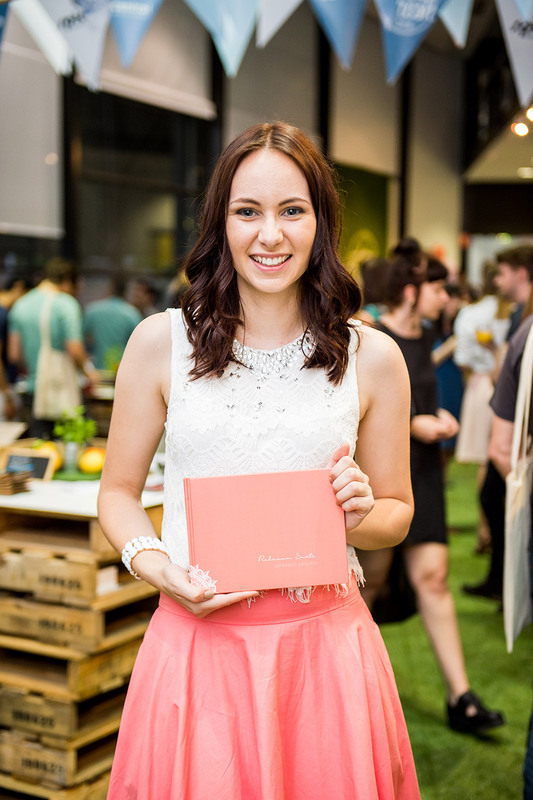 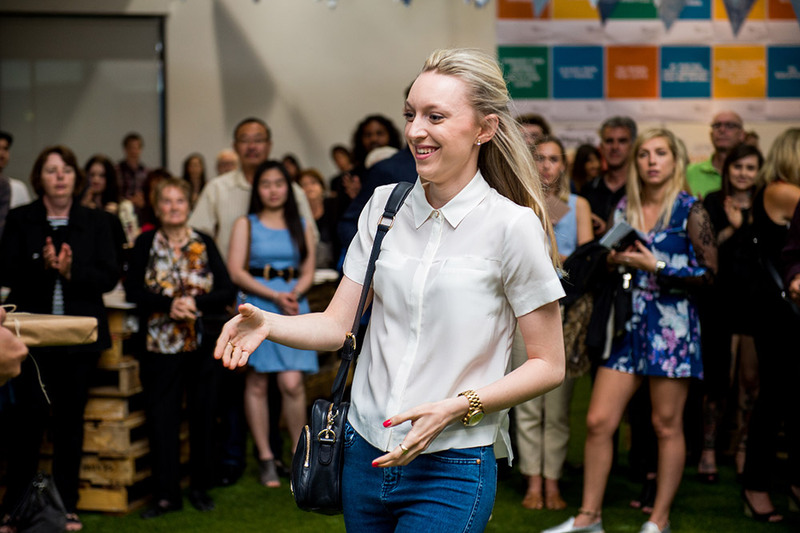 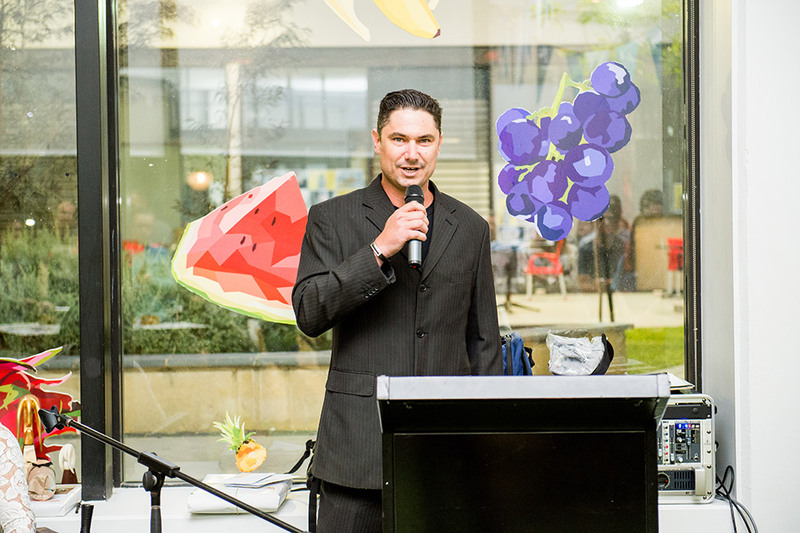 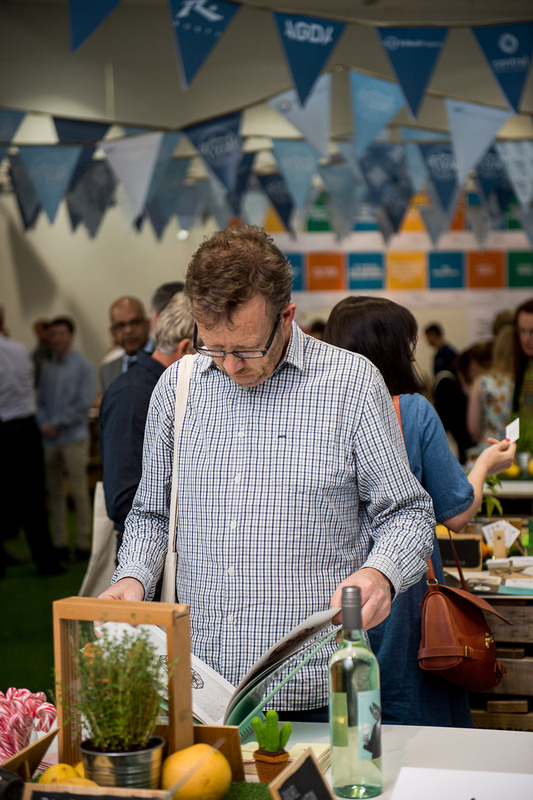 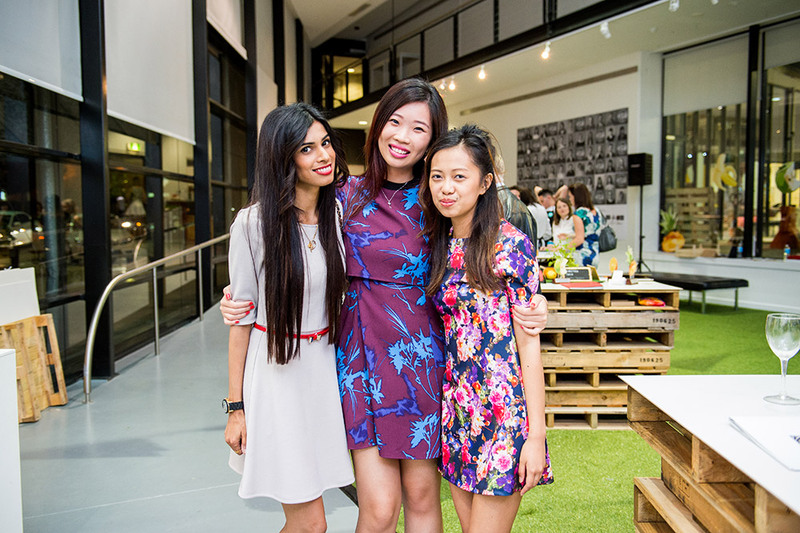 The exhibition showcased a rich harvest of over 50 graduates and featured synthetic grass floor, 120 metres of bunting and recycled timber palettes to display folio work. 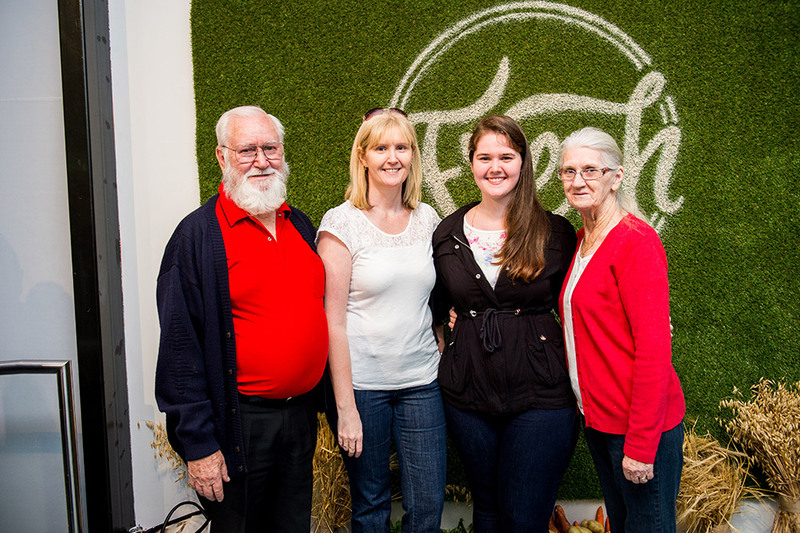 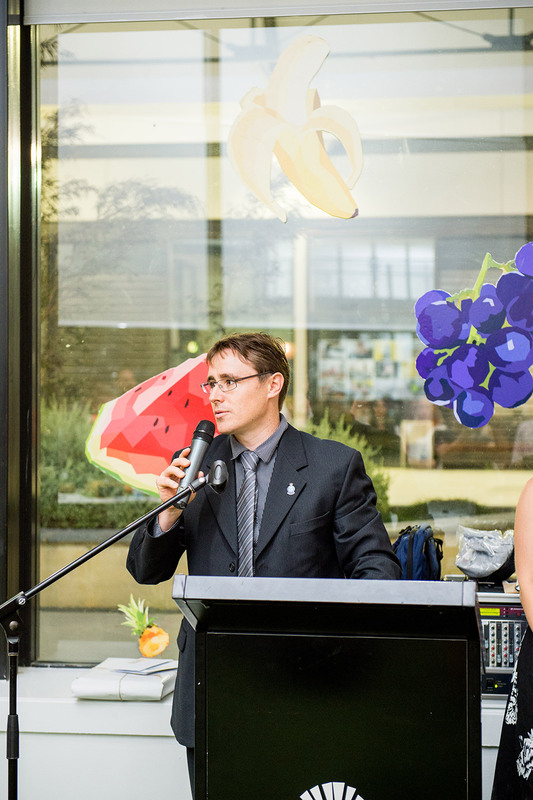 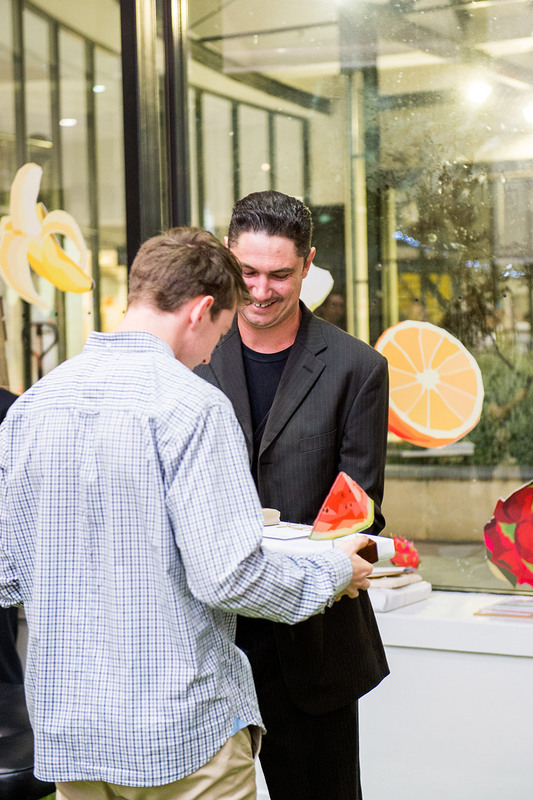 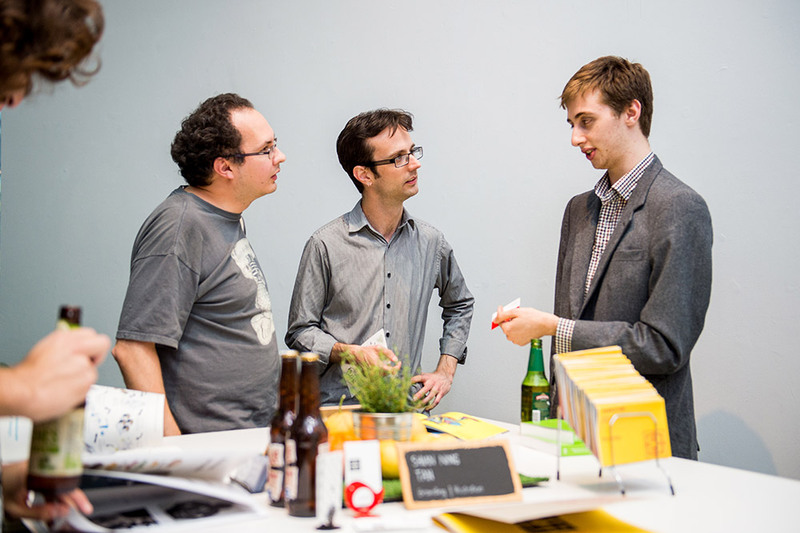 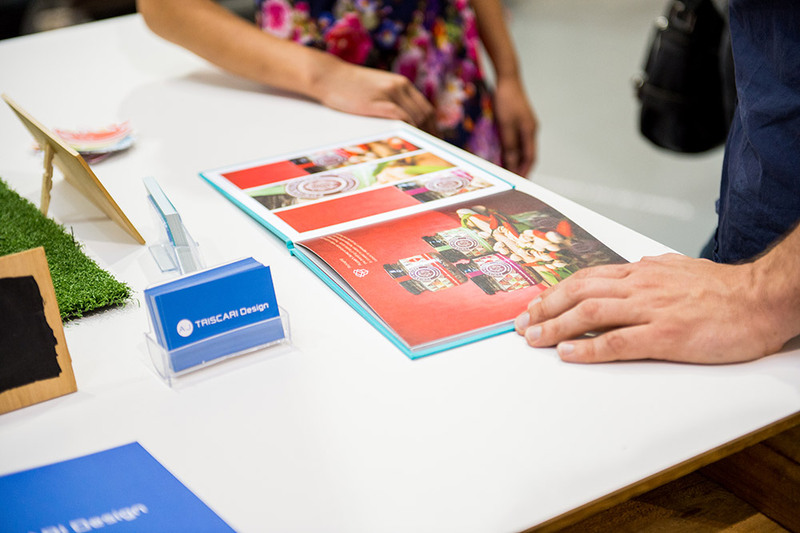 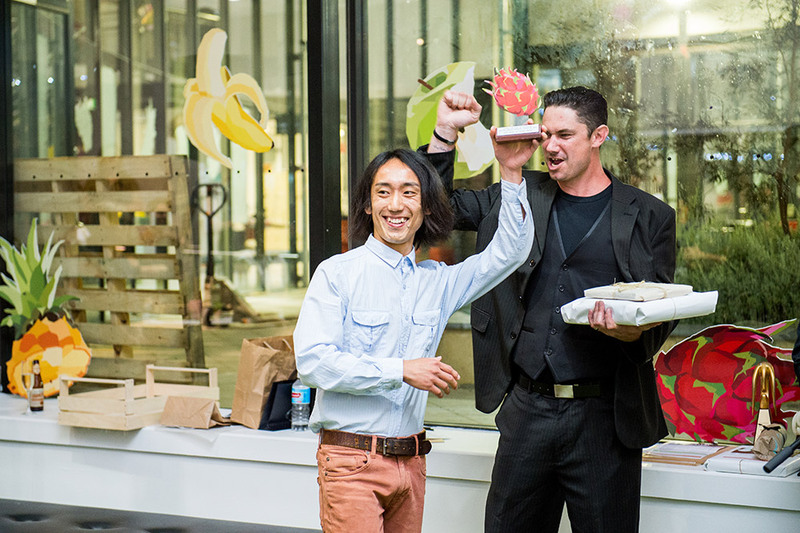 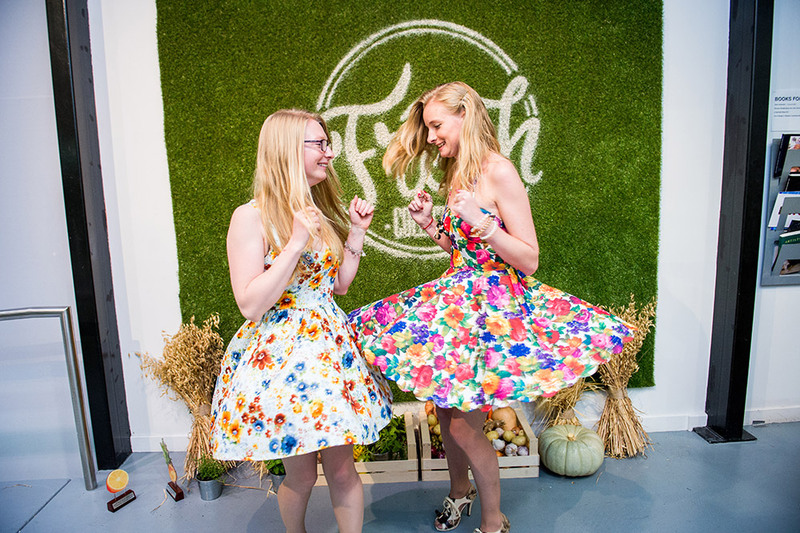 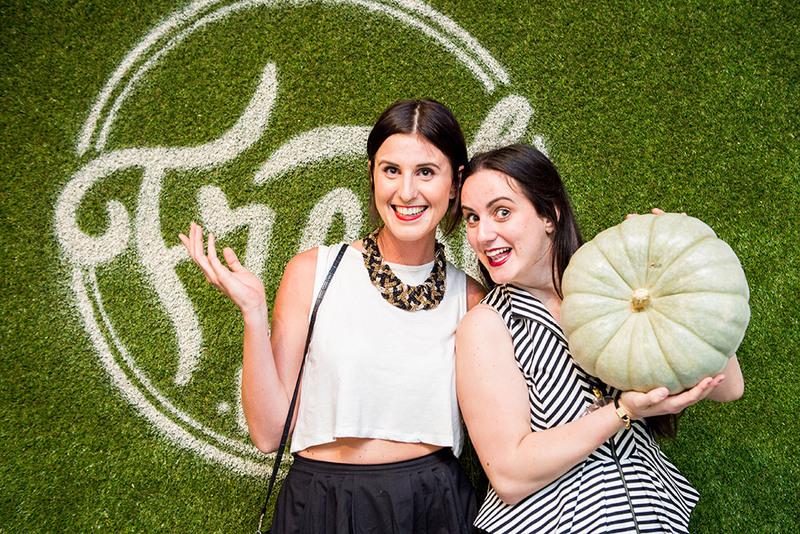 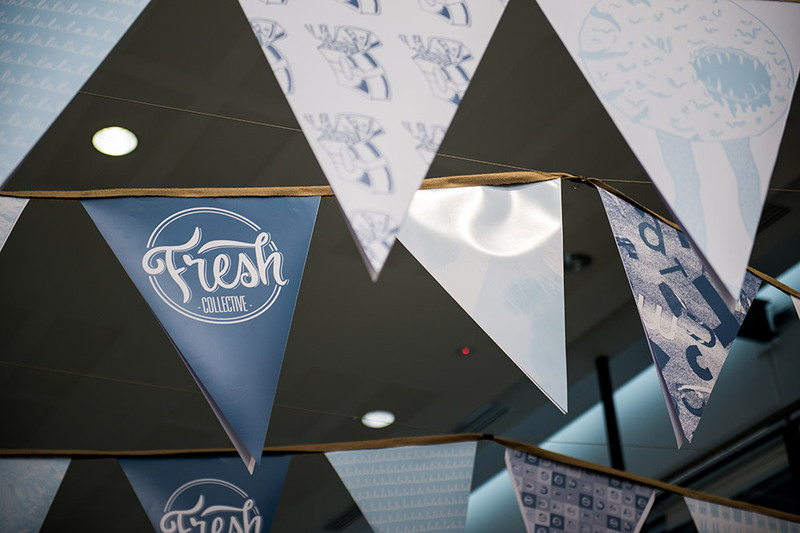 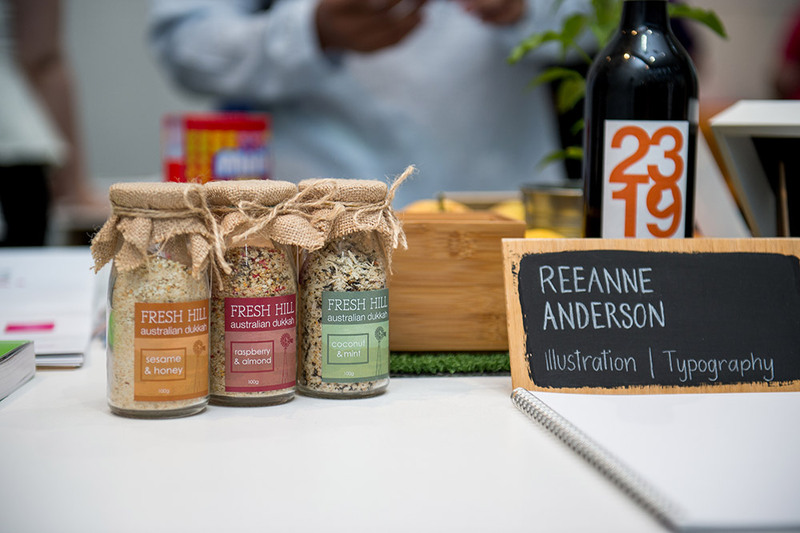 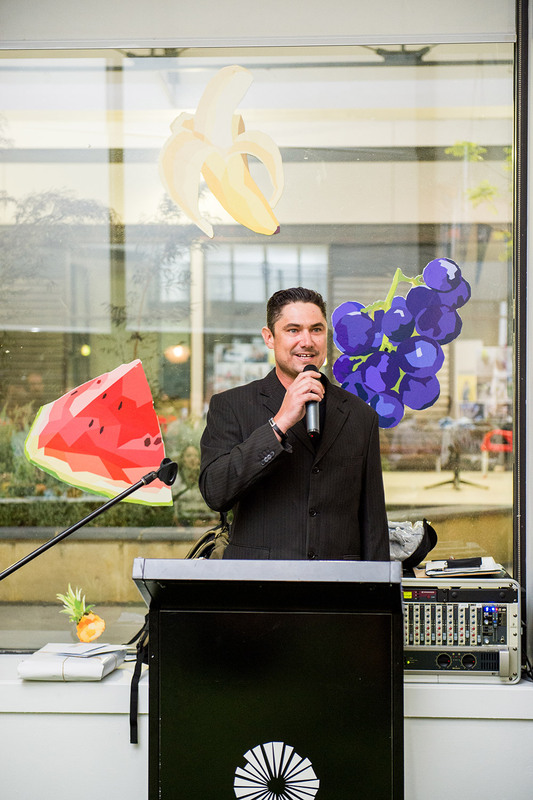 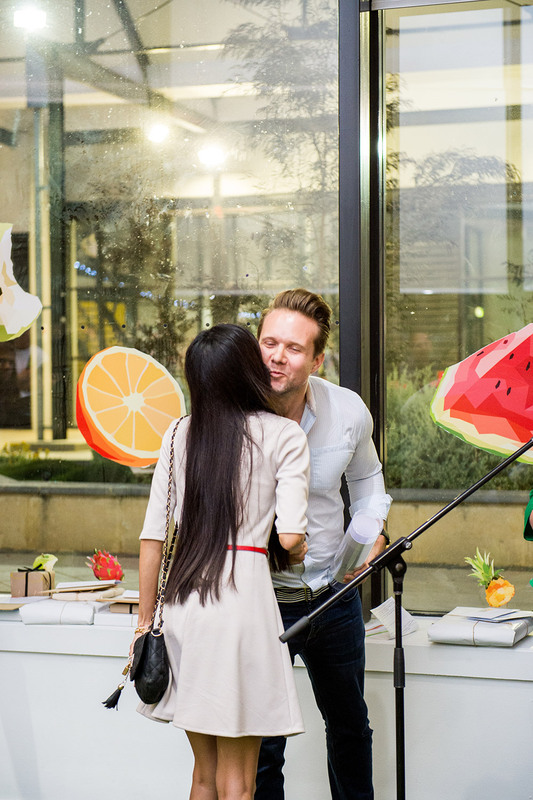 Fresh fruit and veggies completed the theme and an additional display of International Society of Typographic Design student assessments filled the space at Gallery Central. 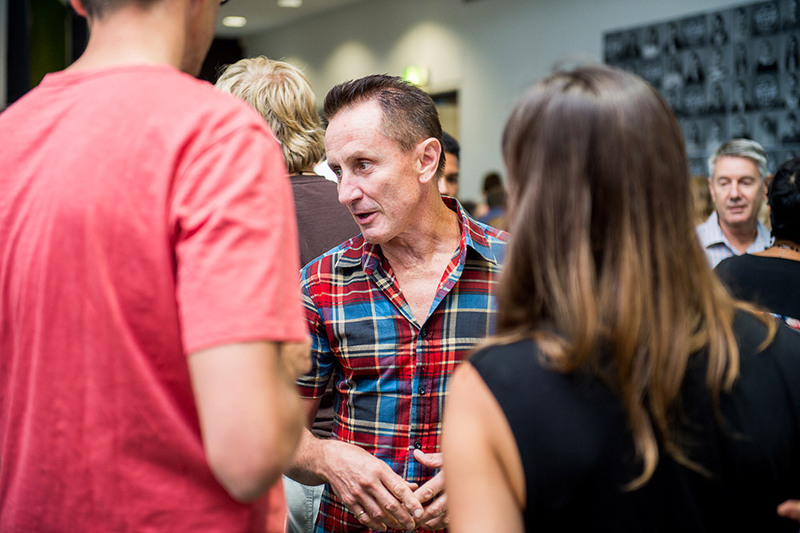 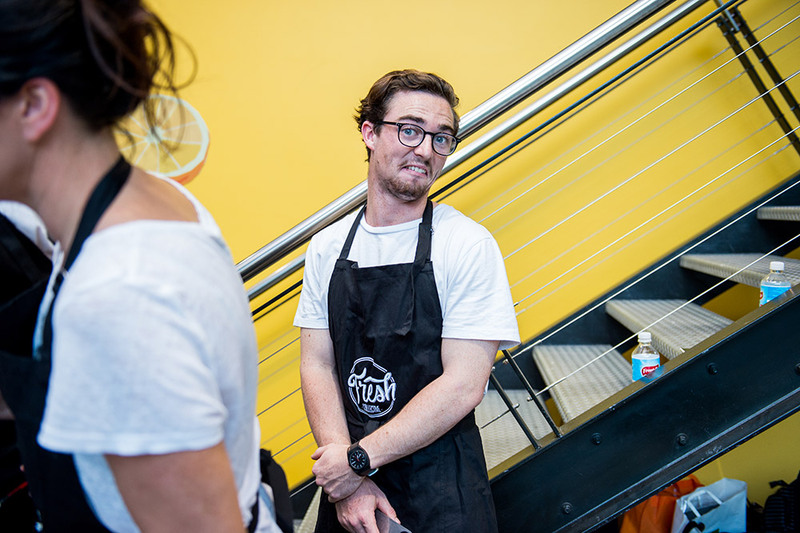 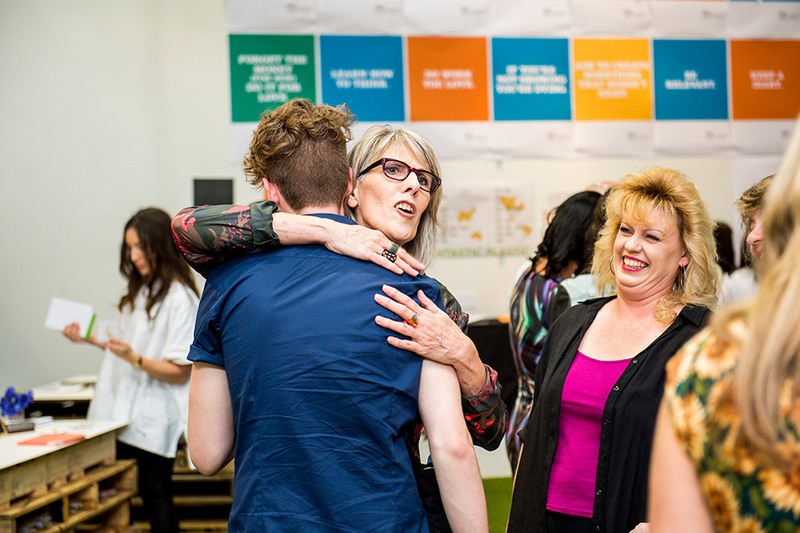 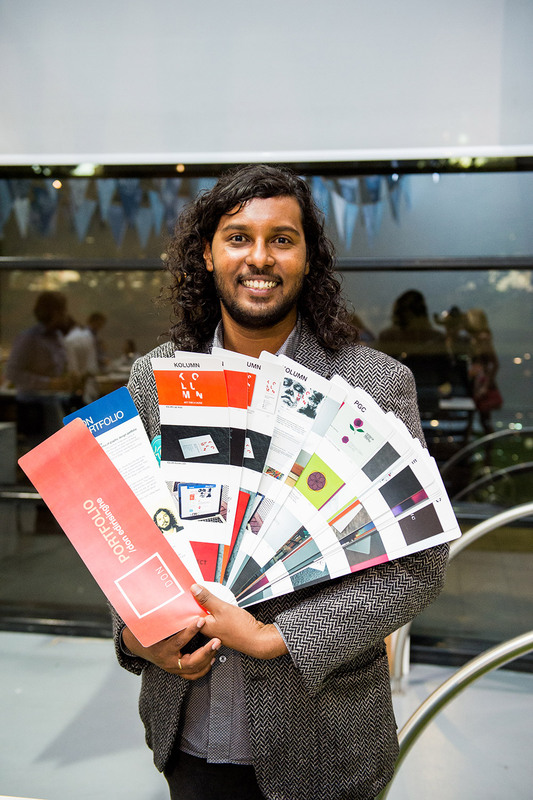 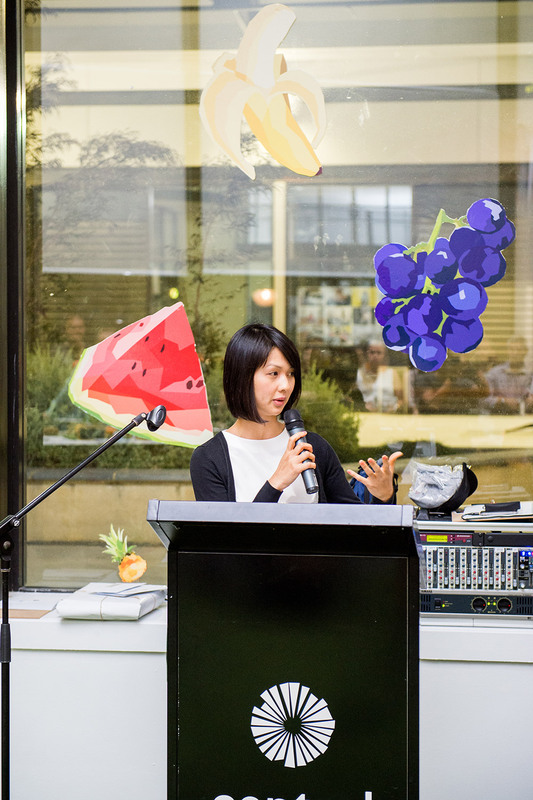 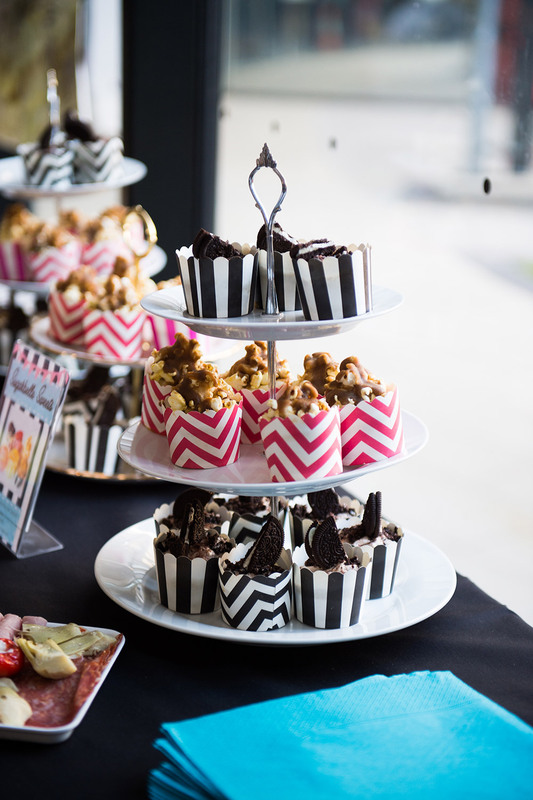 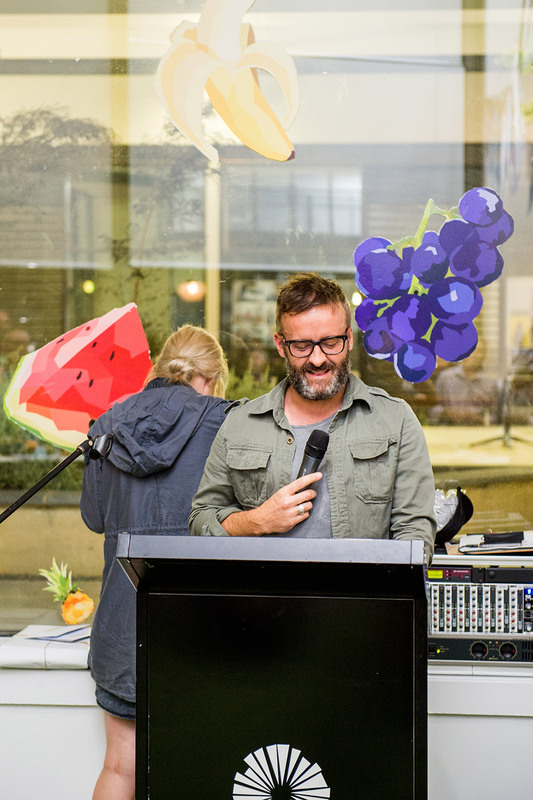 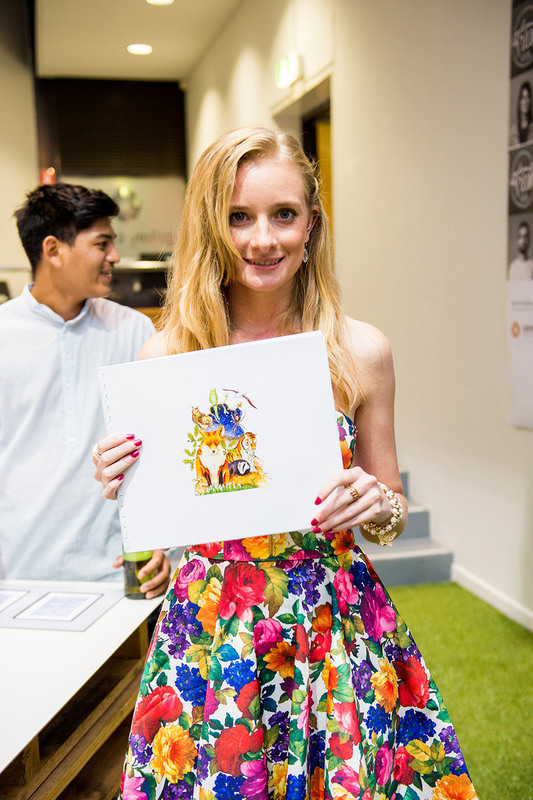 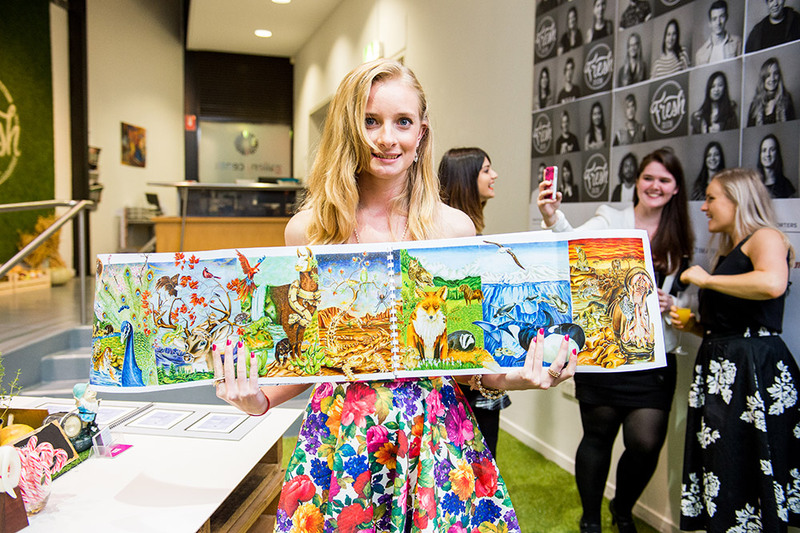 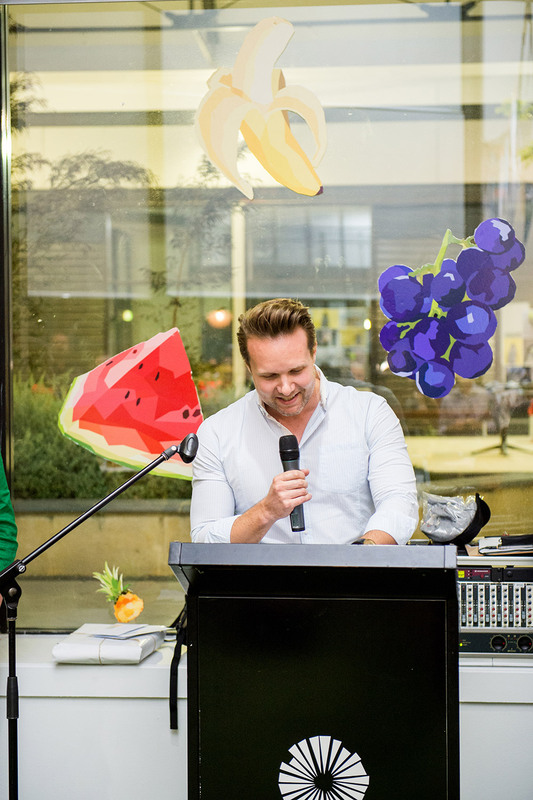 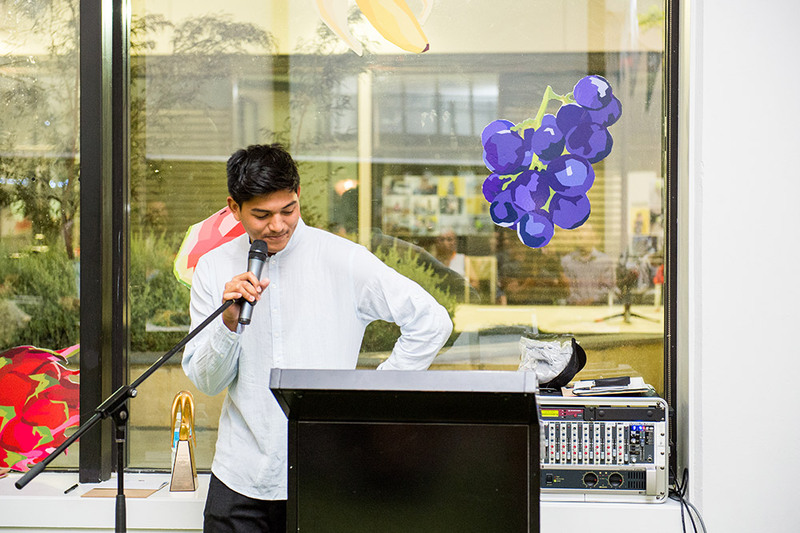 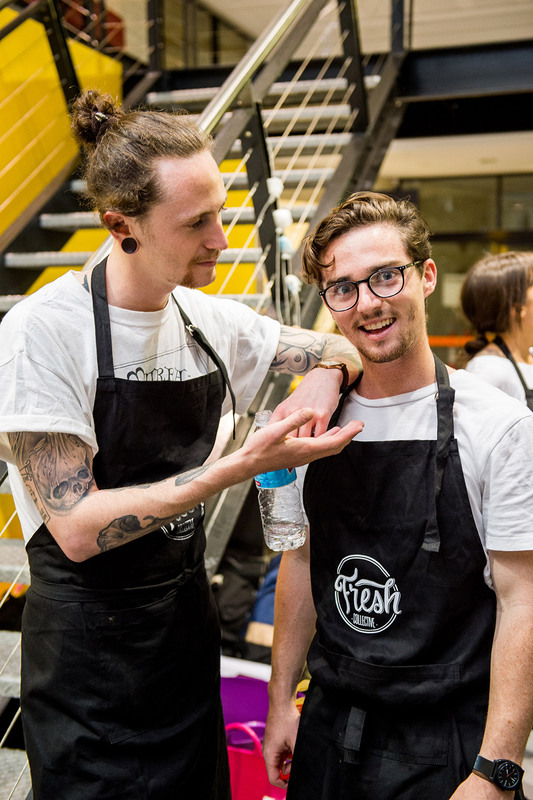 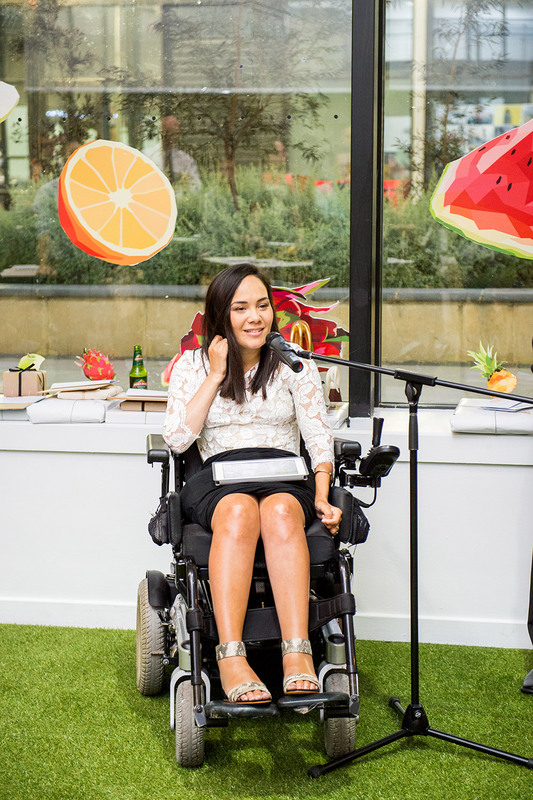 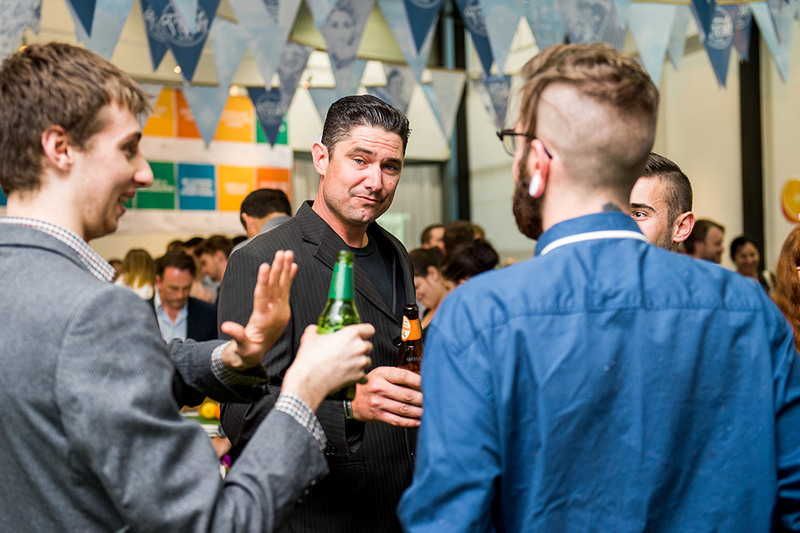 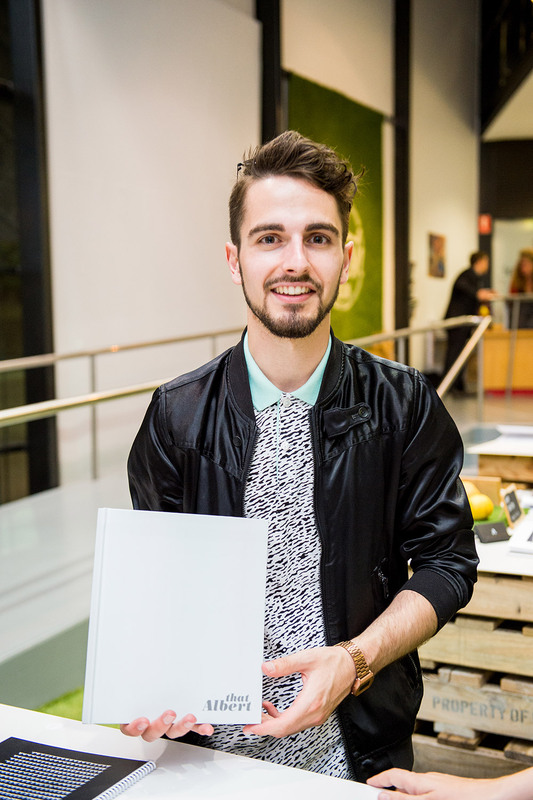 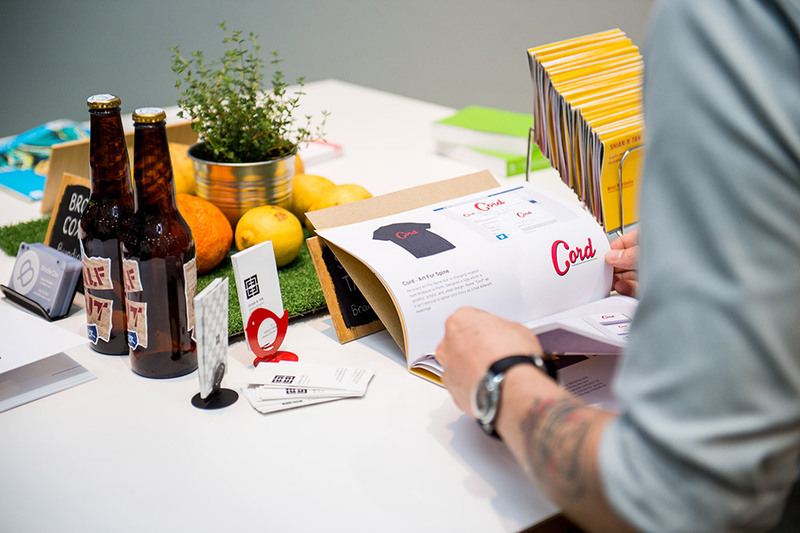 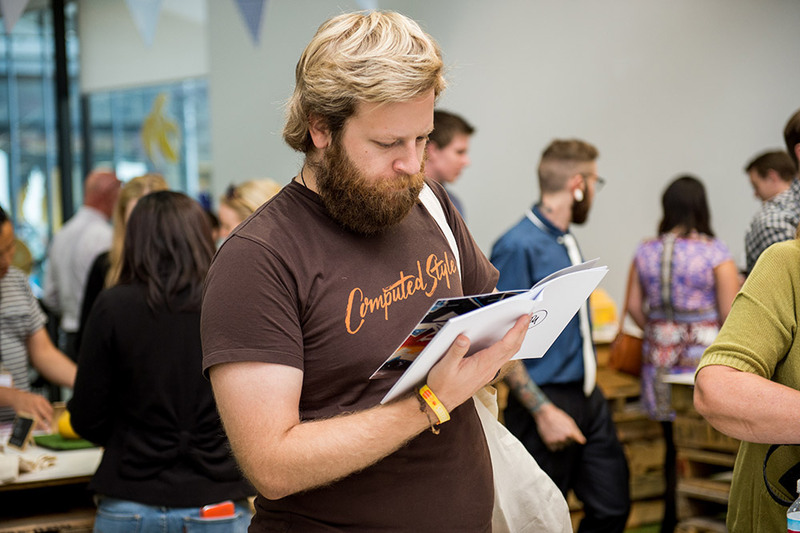 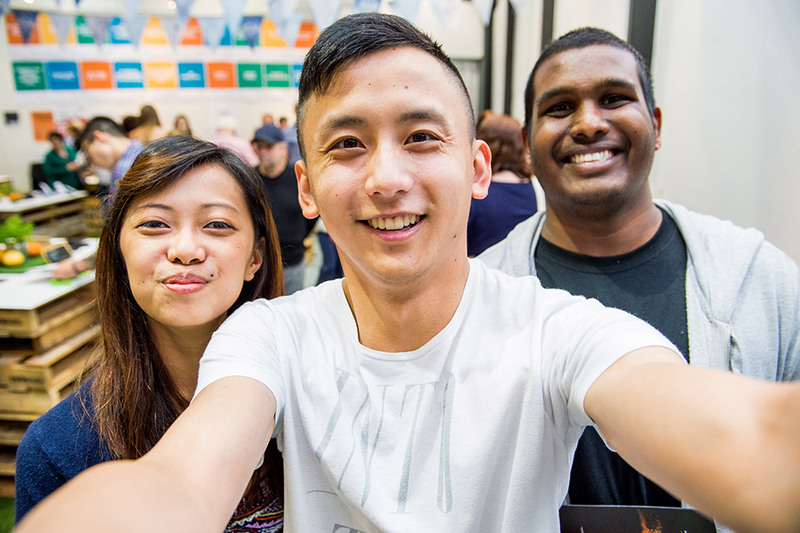 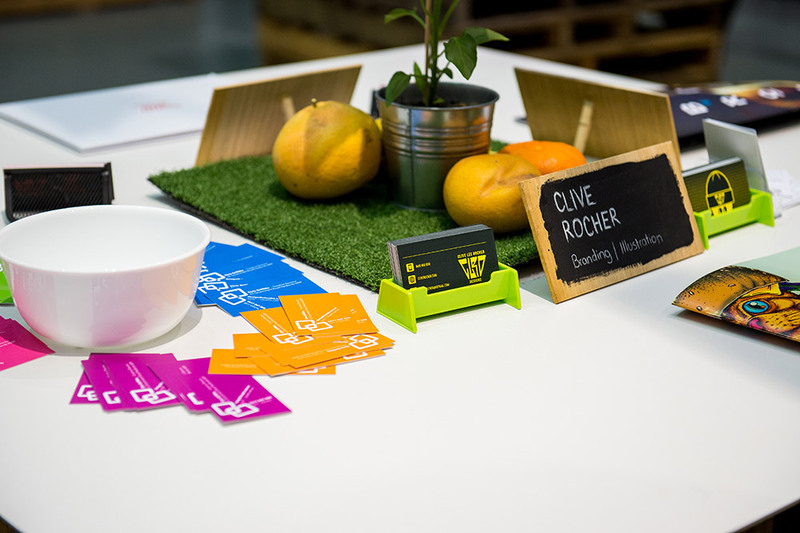 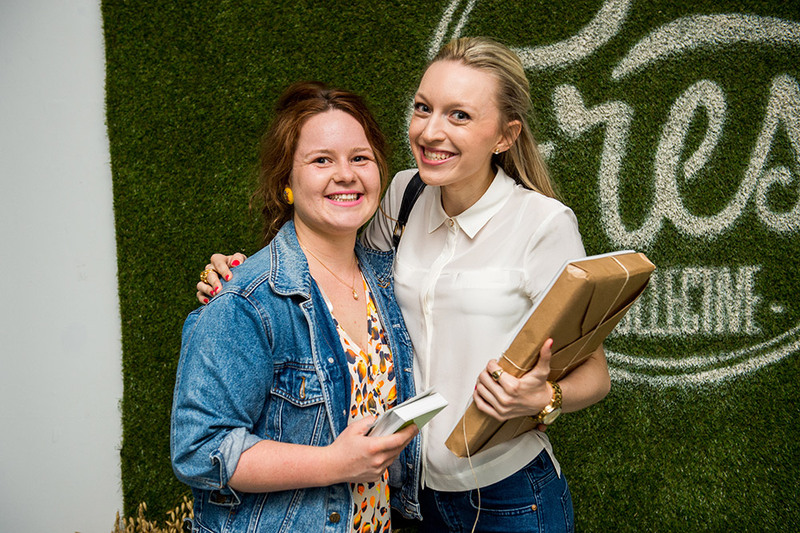 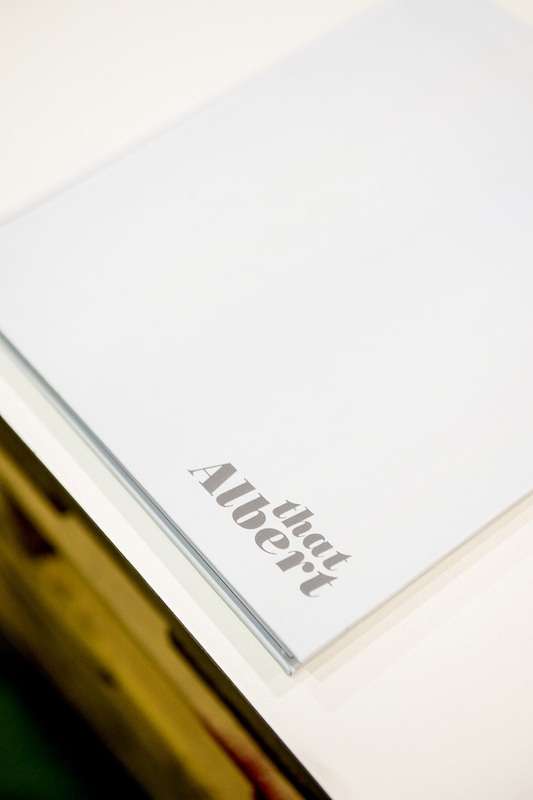 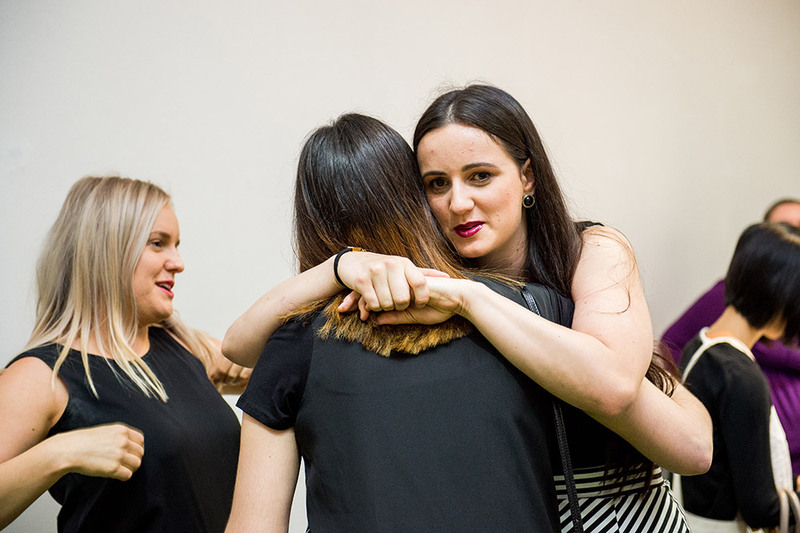 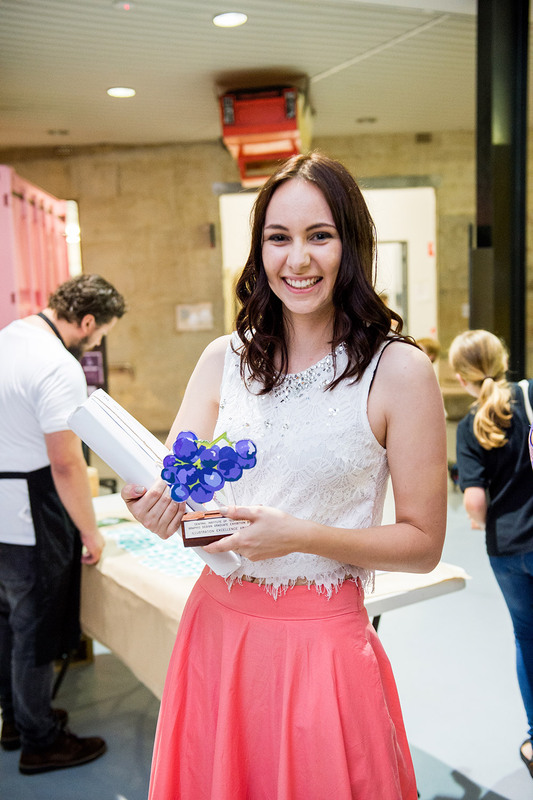 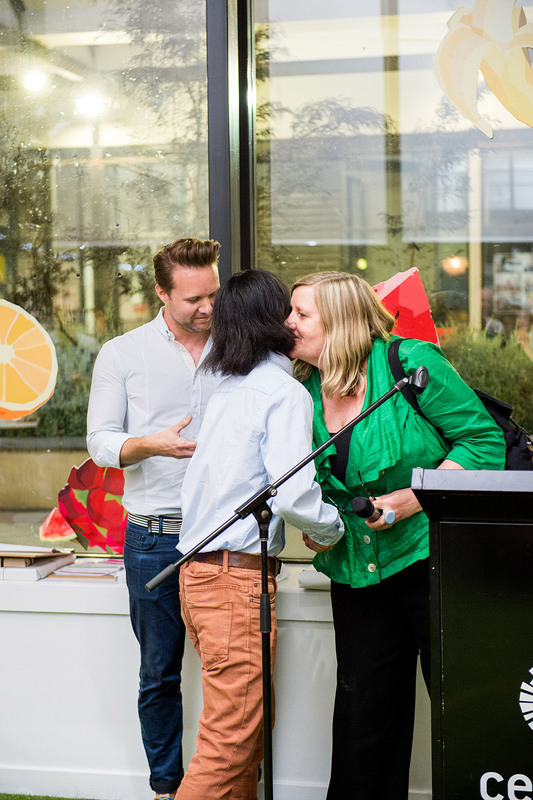 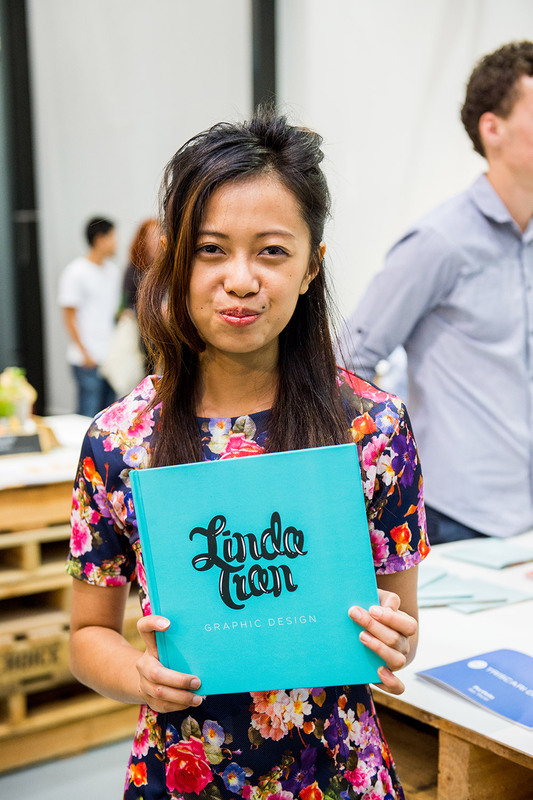 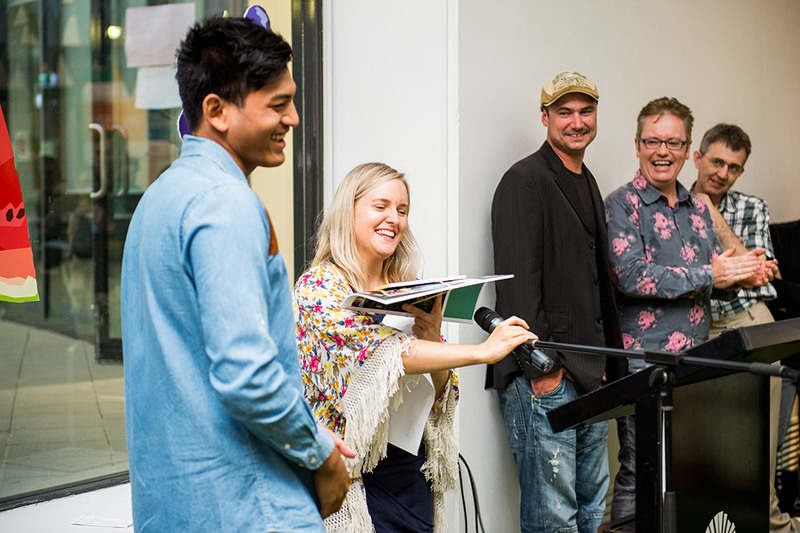 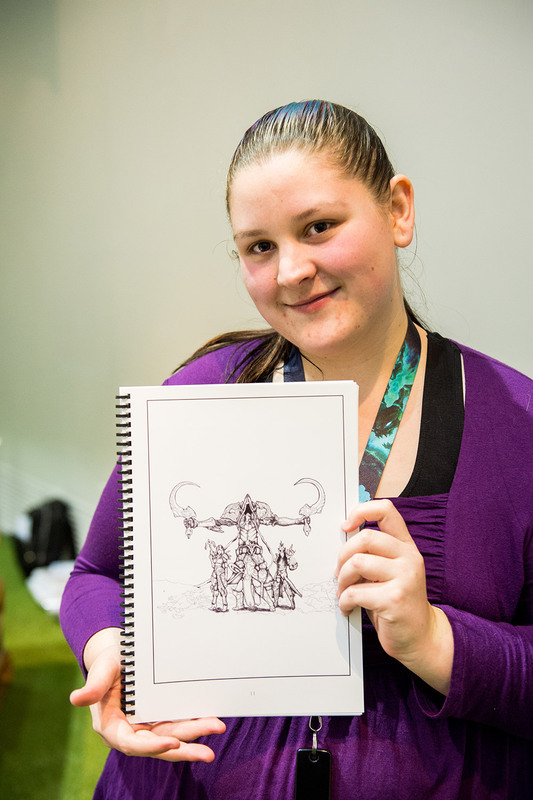 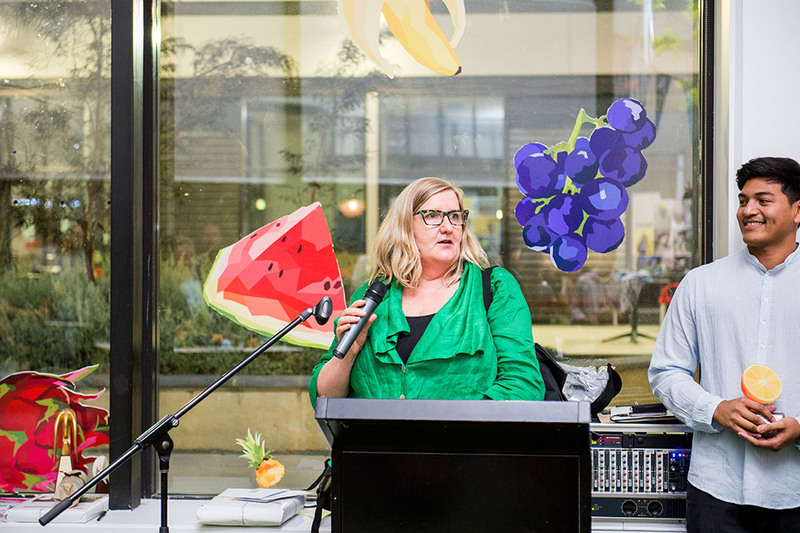 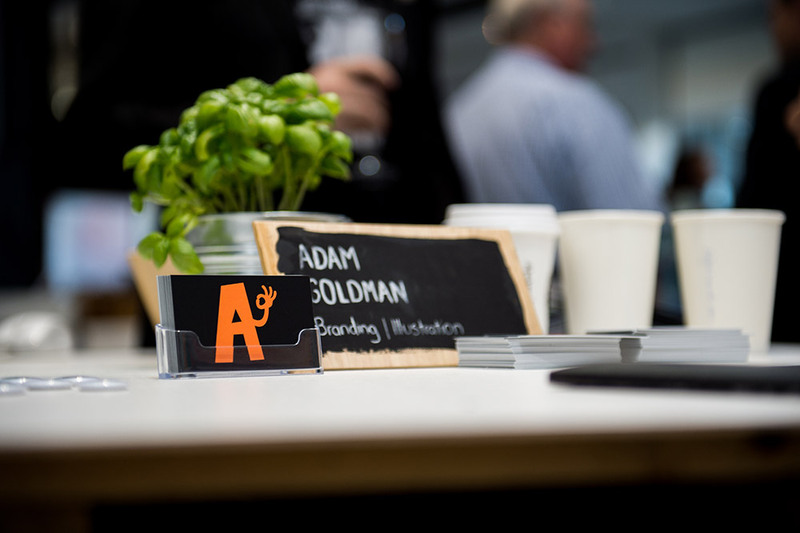 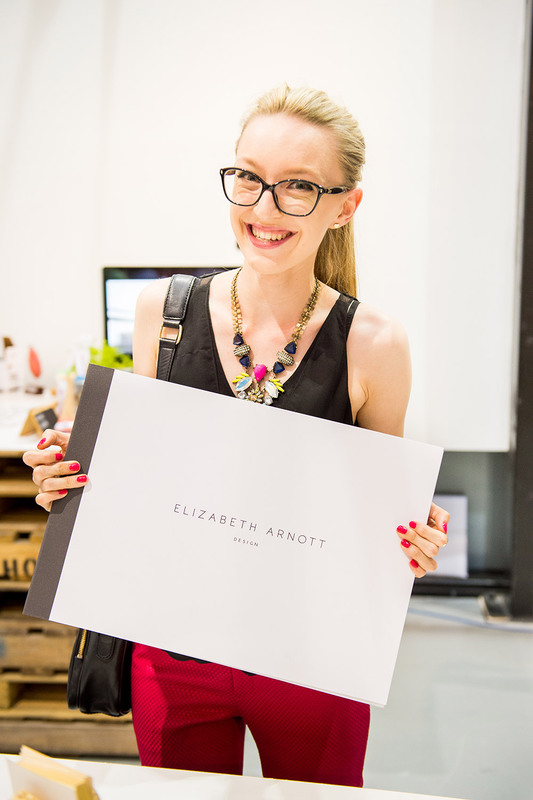 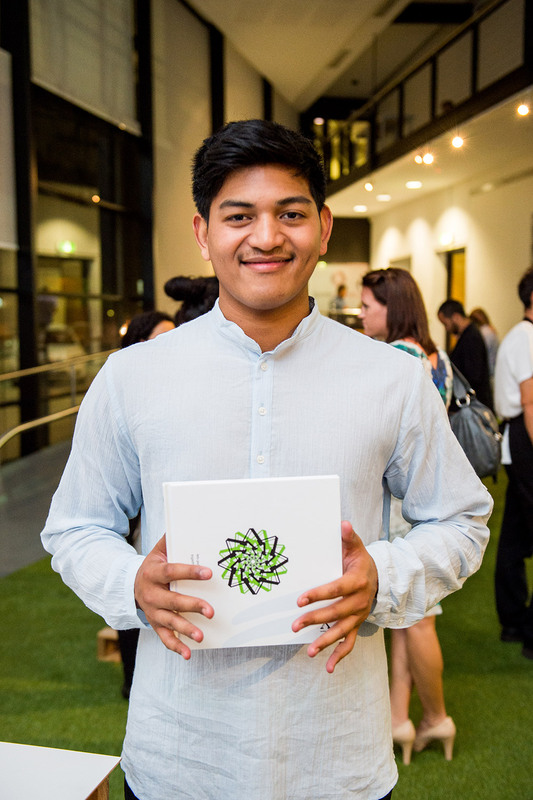 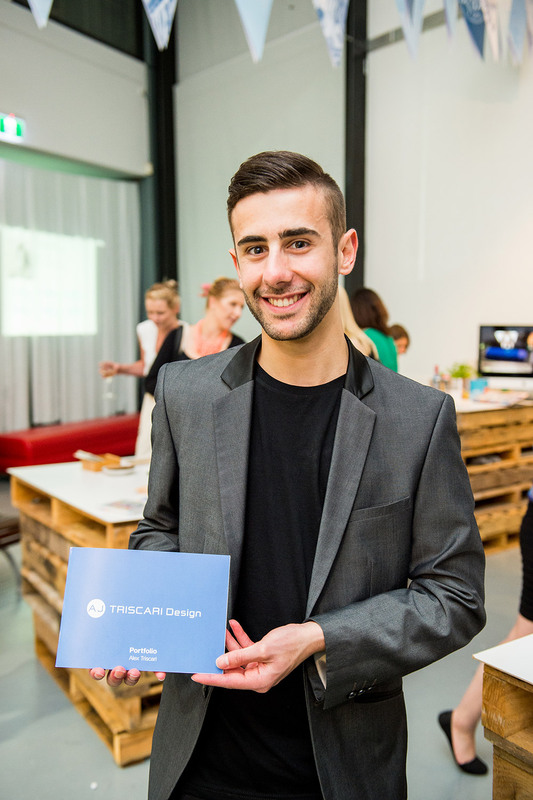 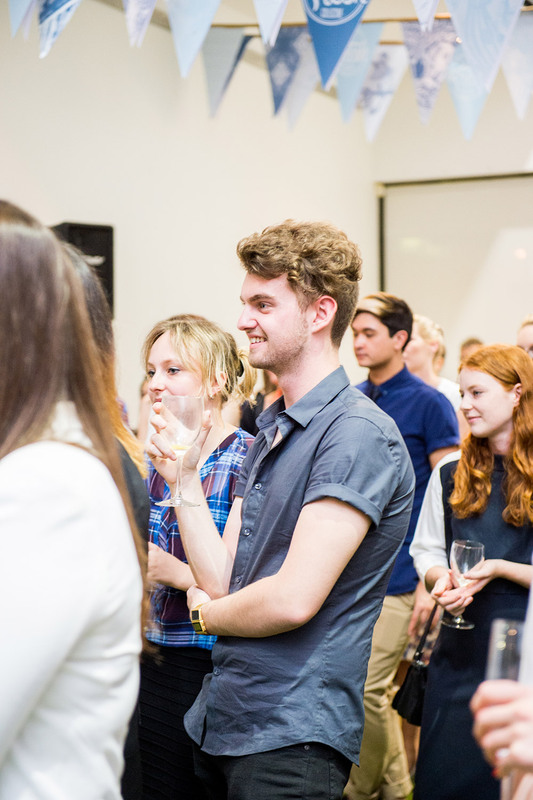 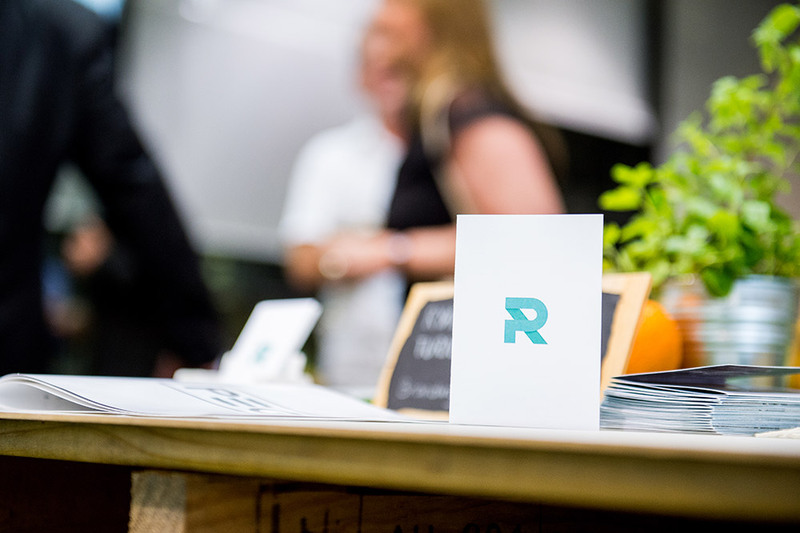 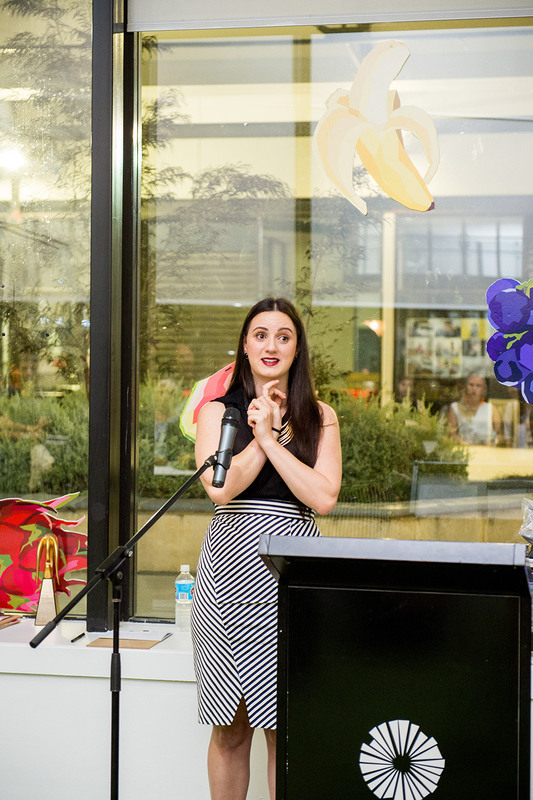 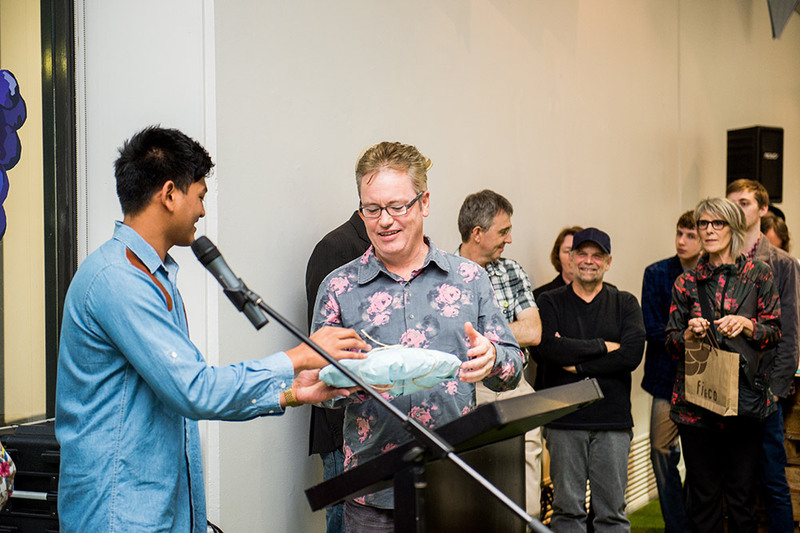 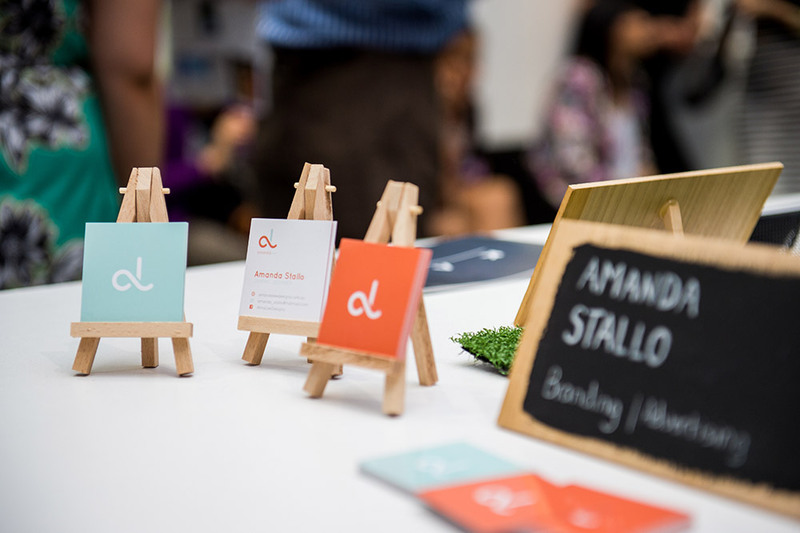 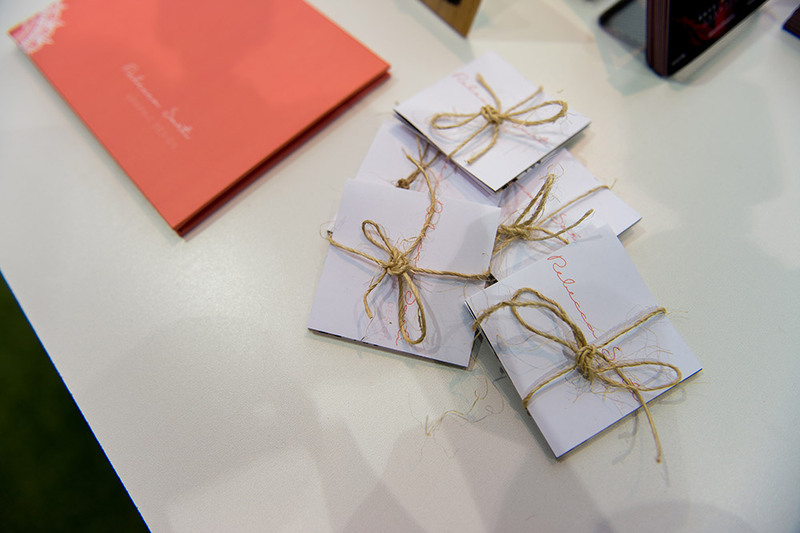 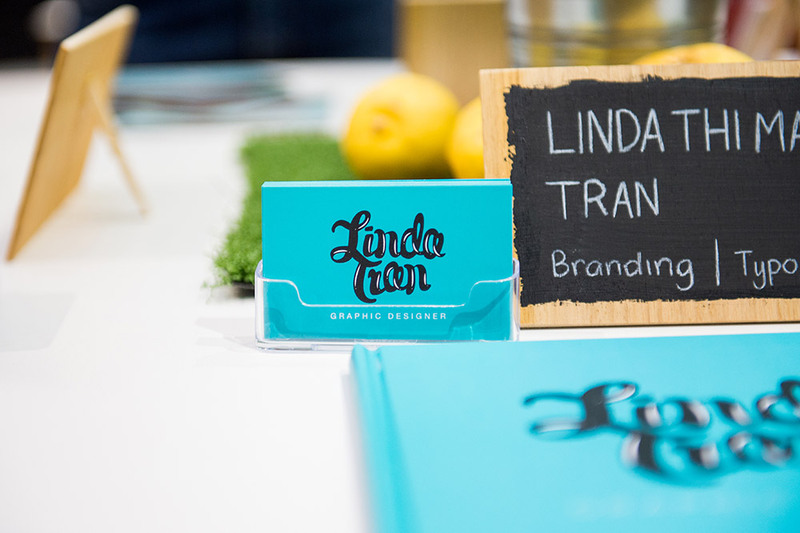 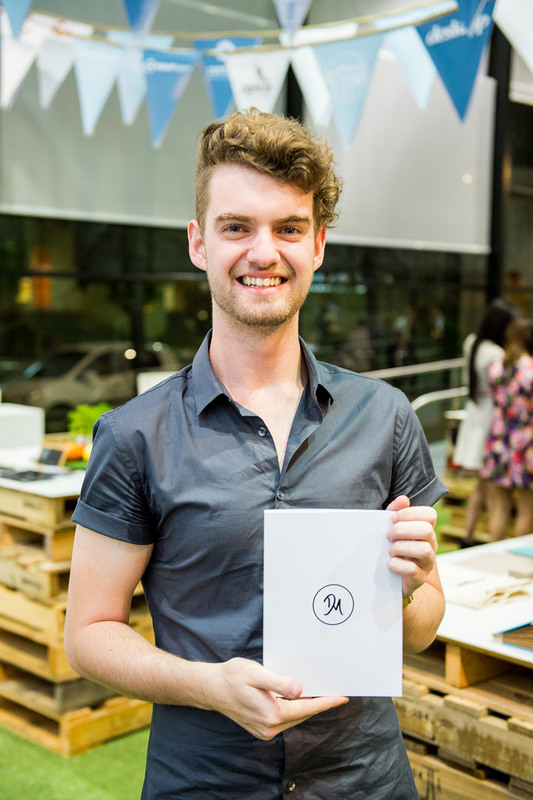 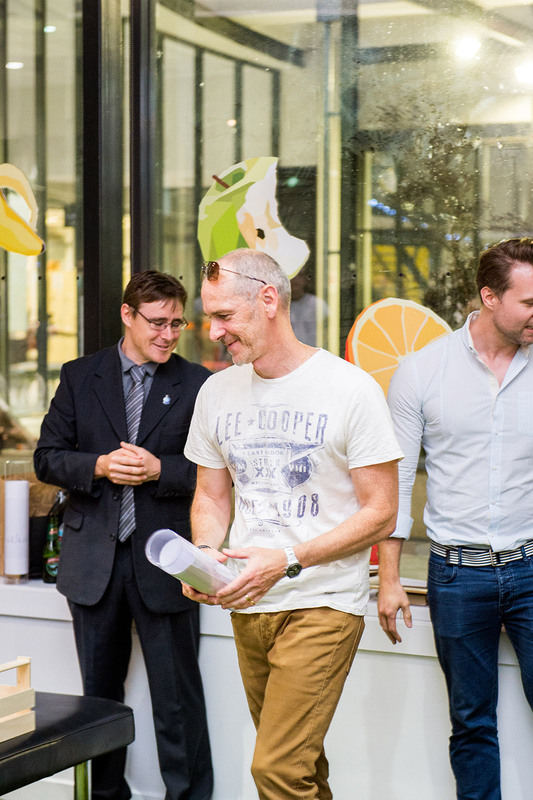 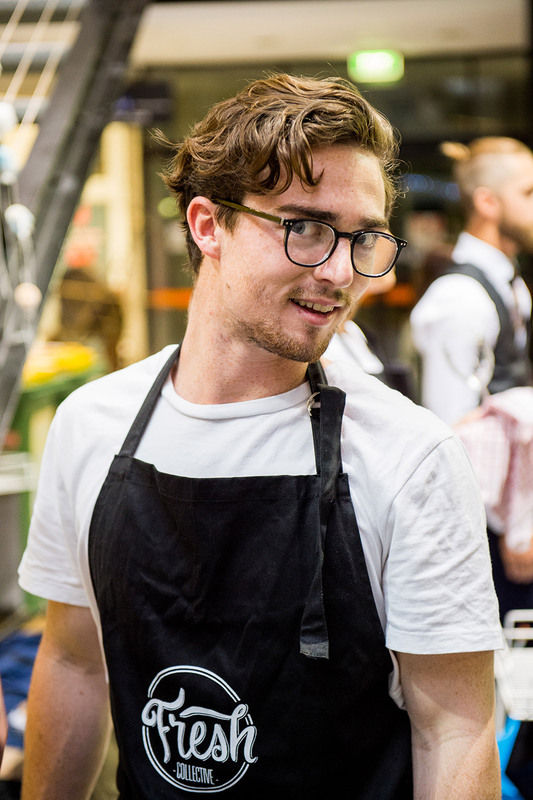 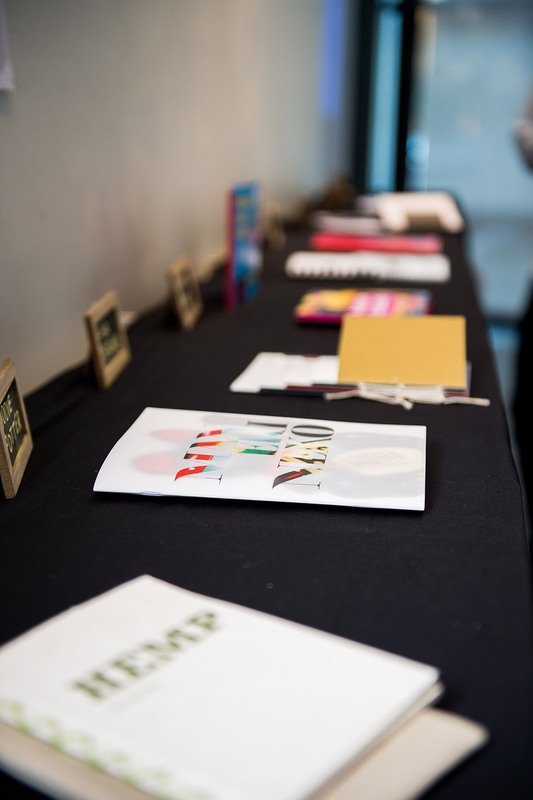 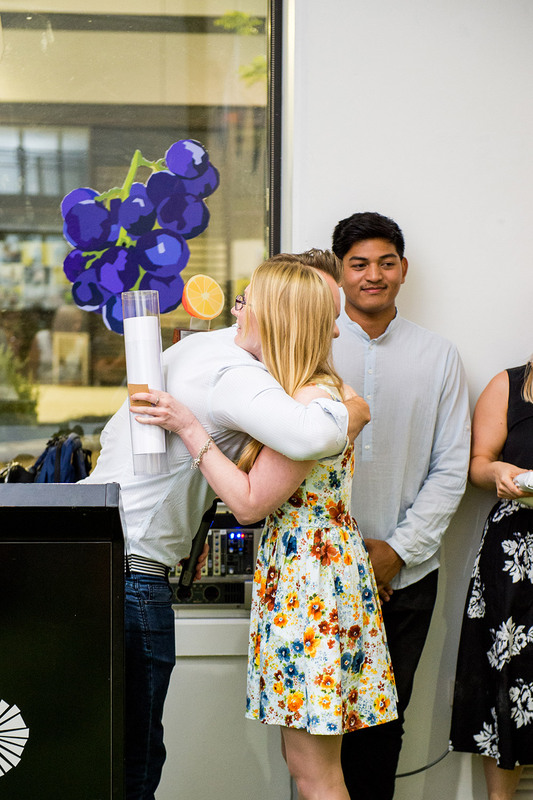 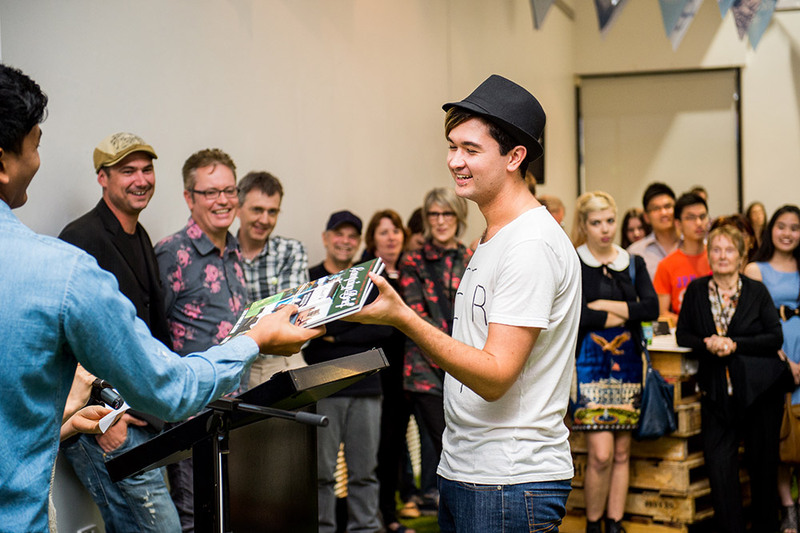 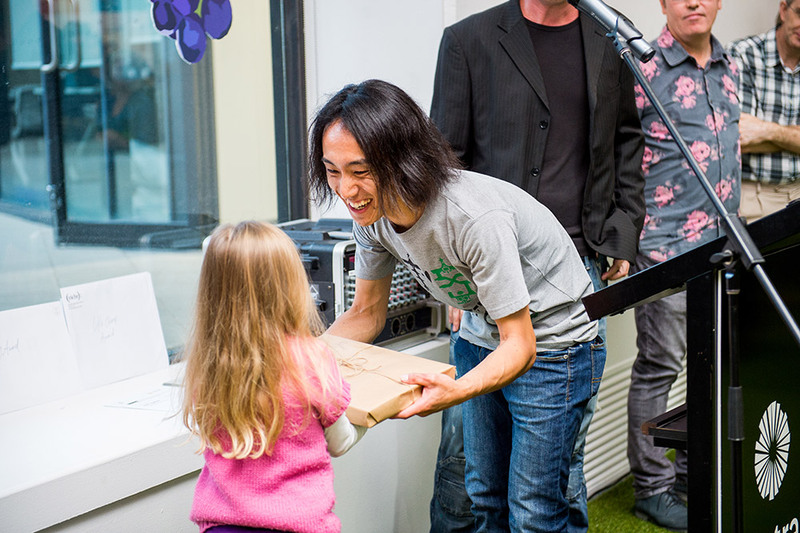 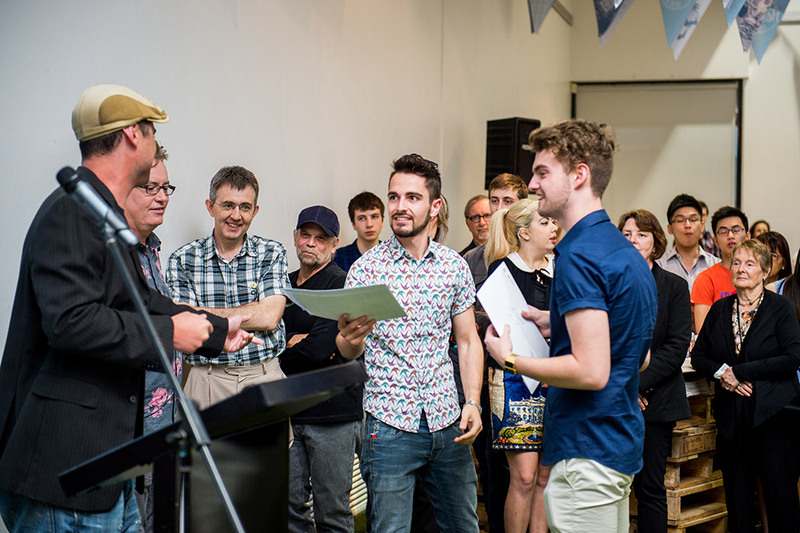 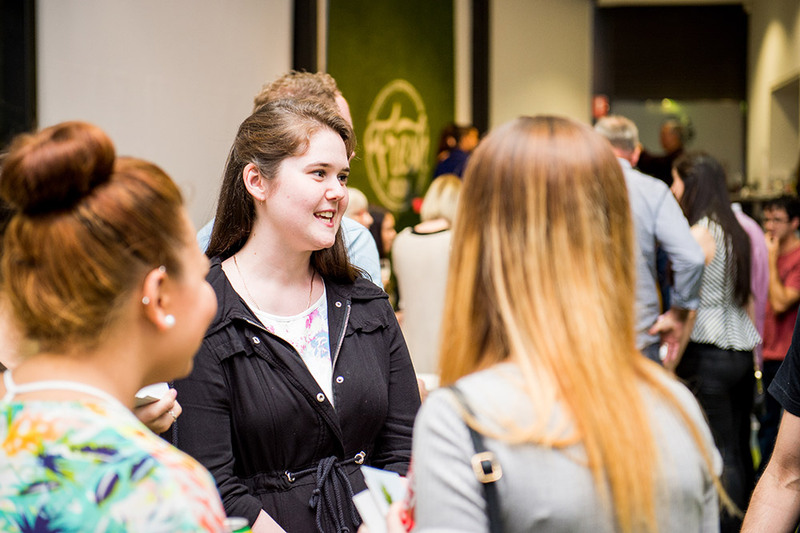 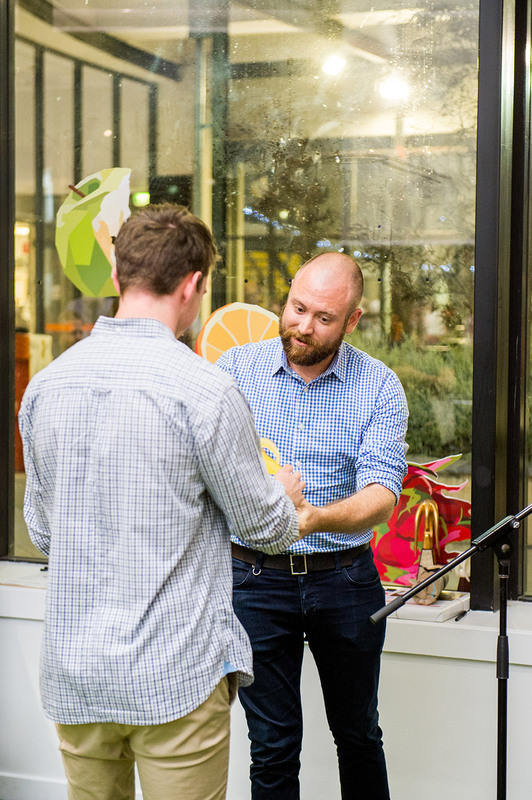 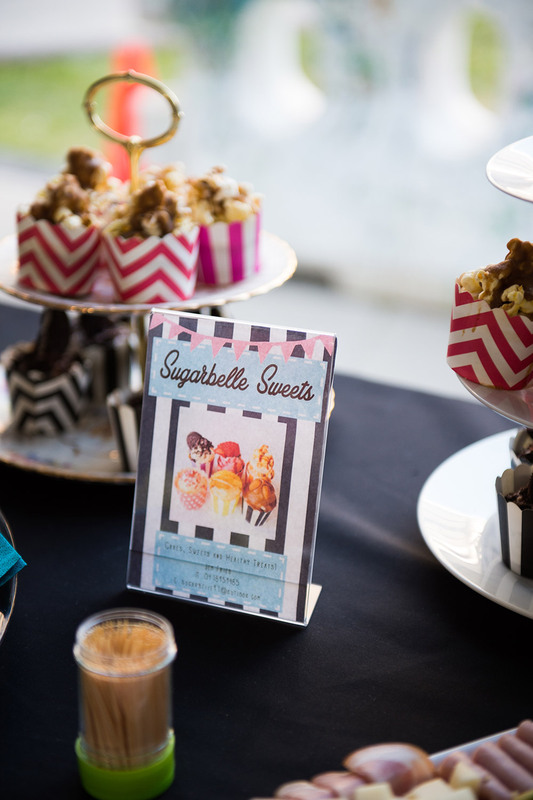 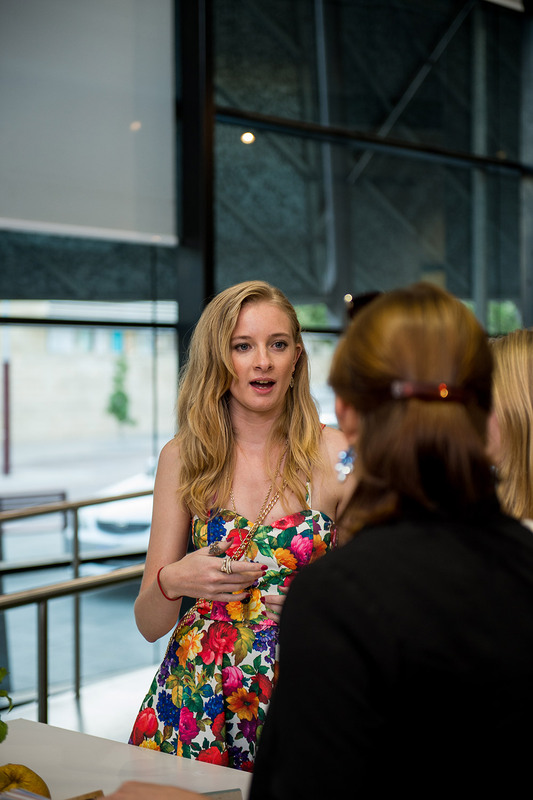 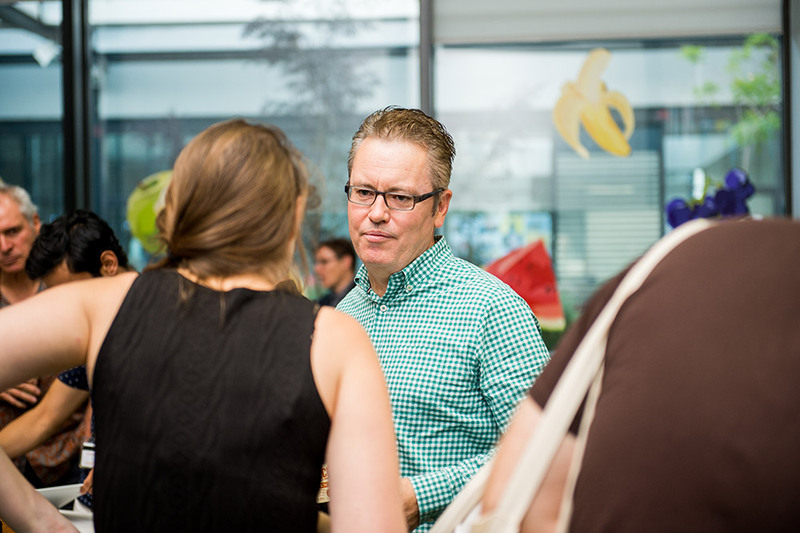 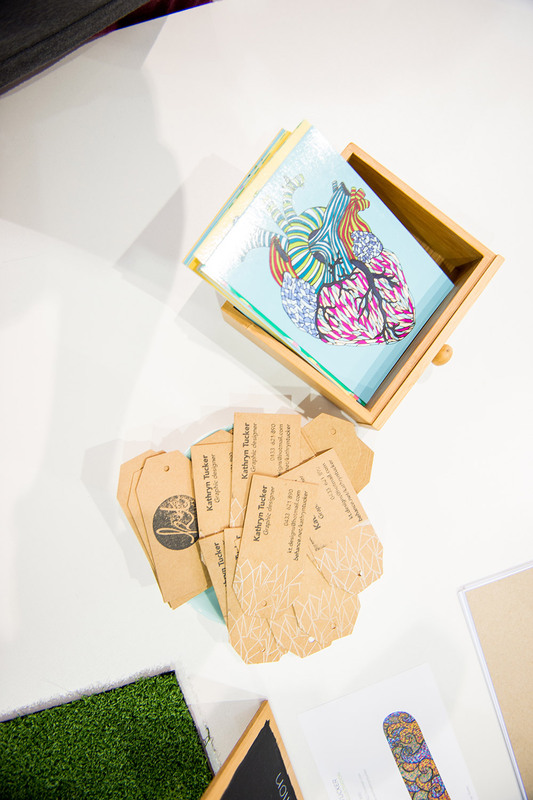 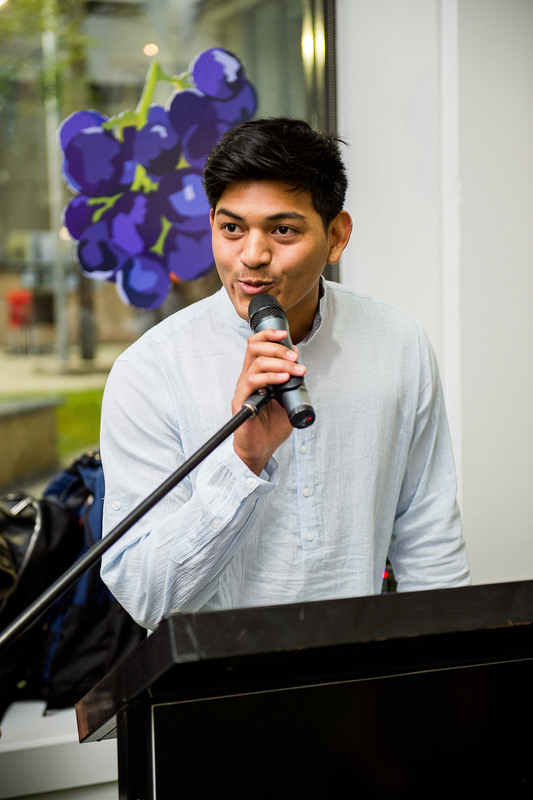 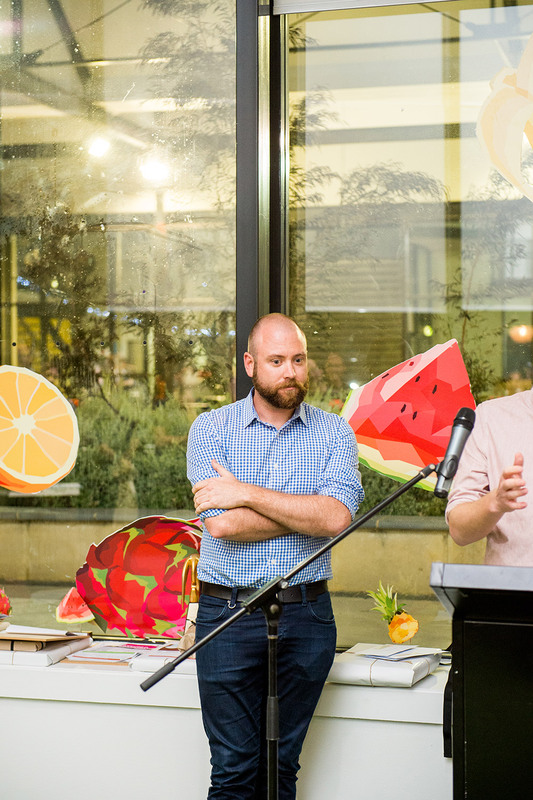 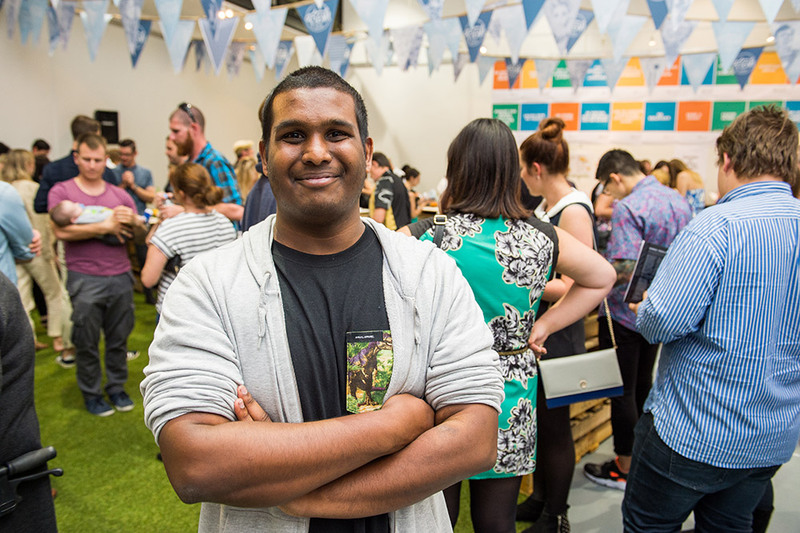 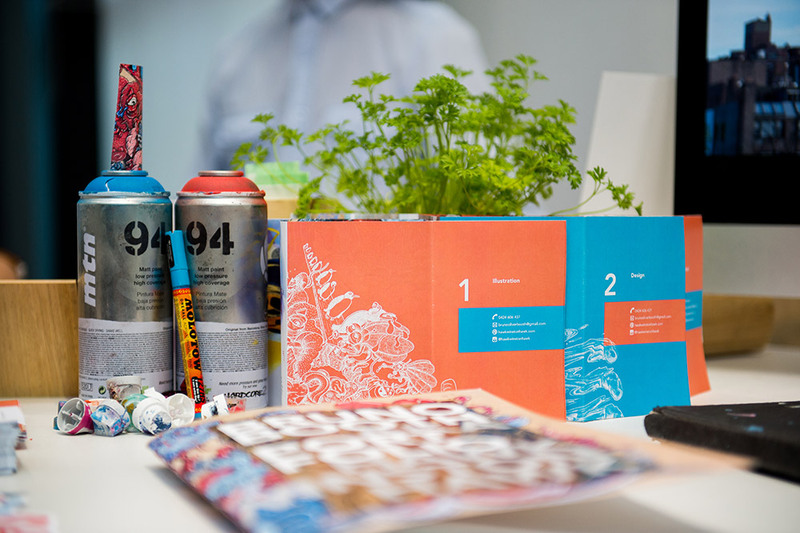 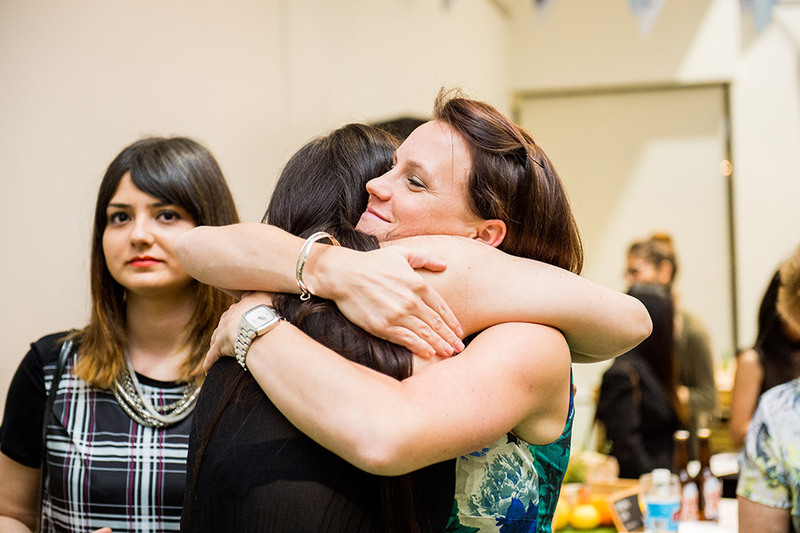 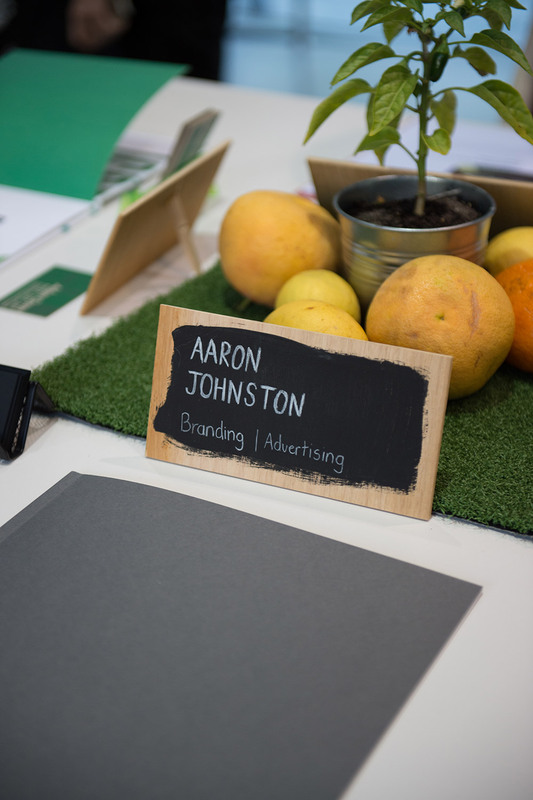 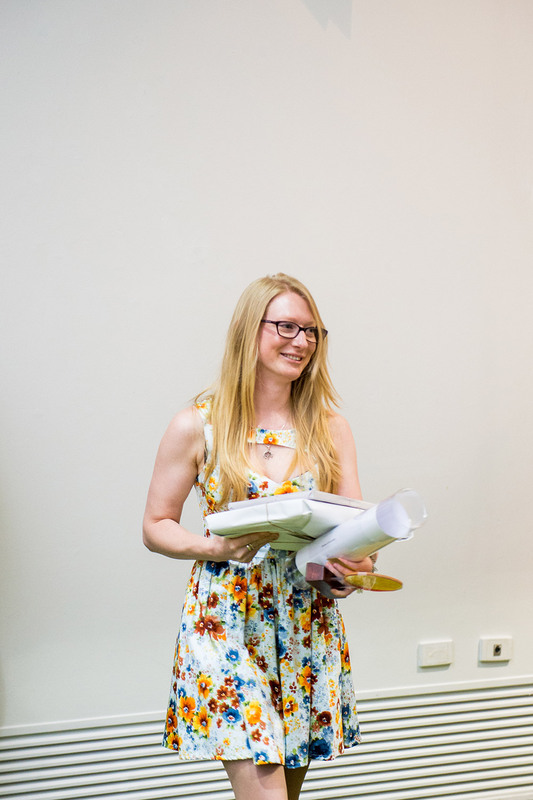 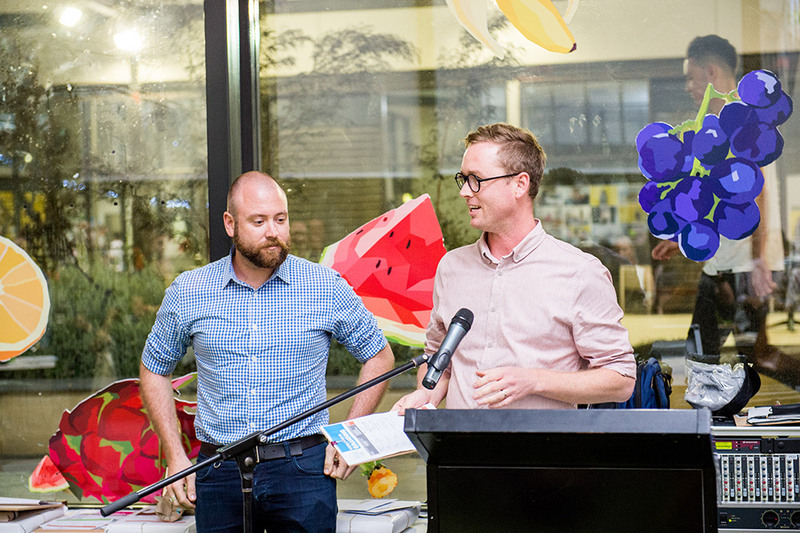 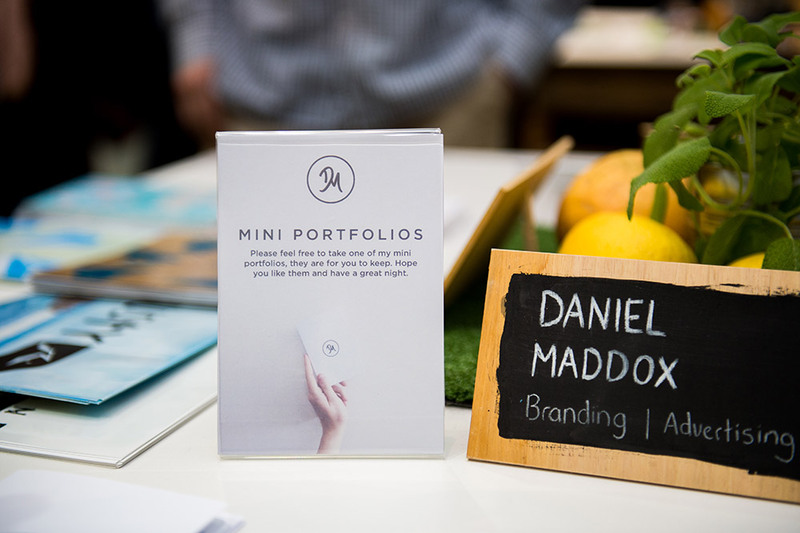 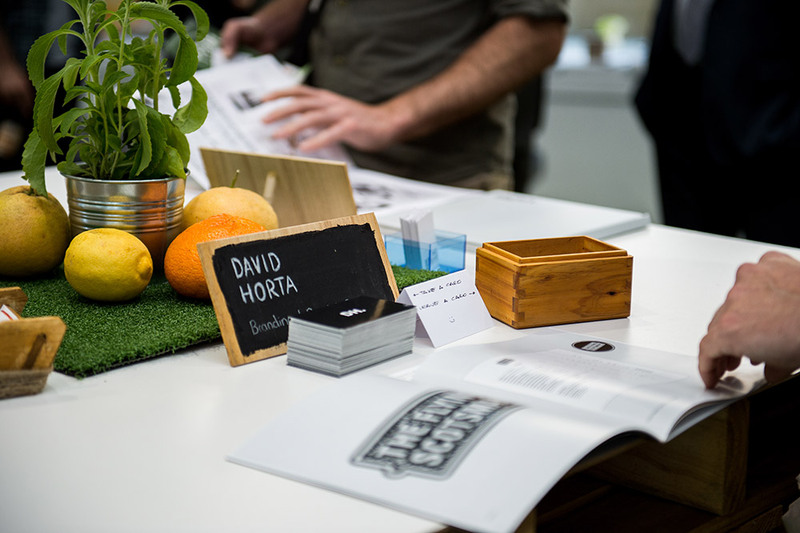 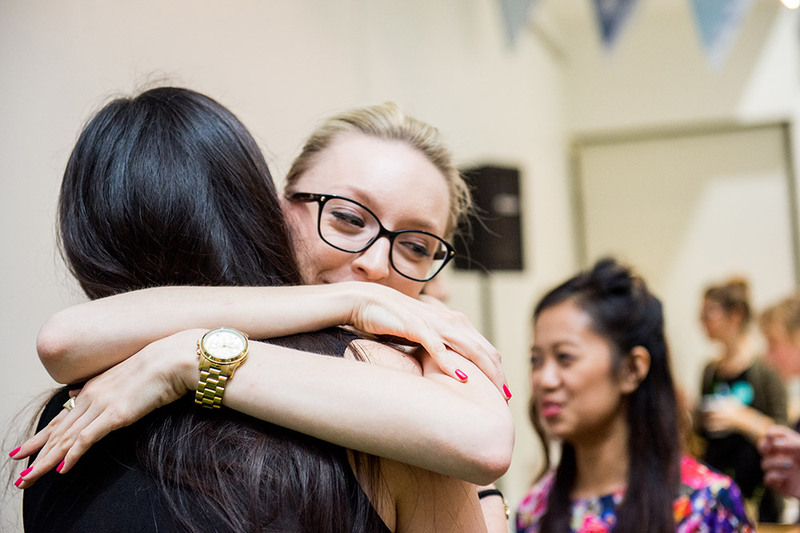 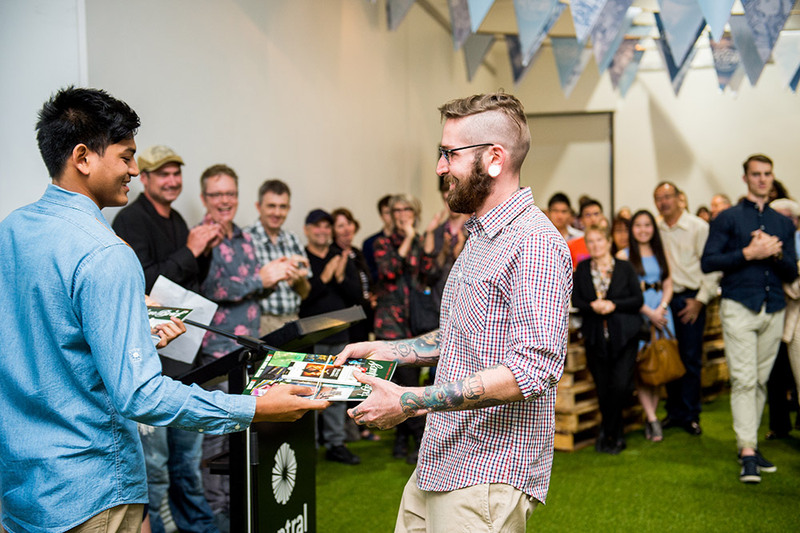 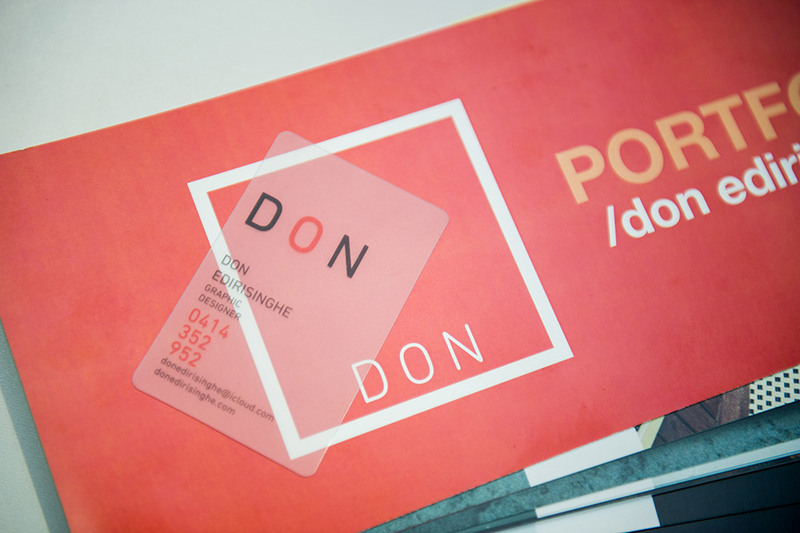 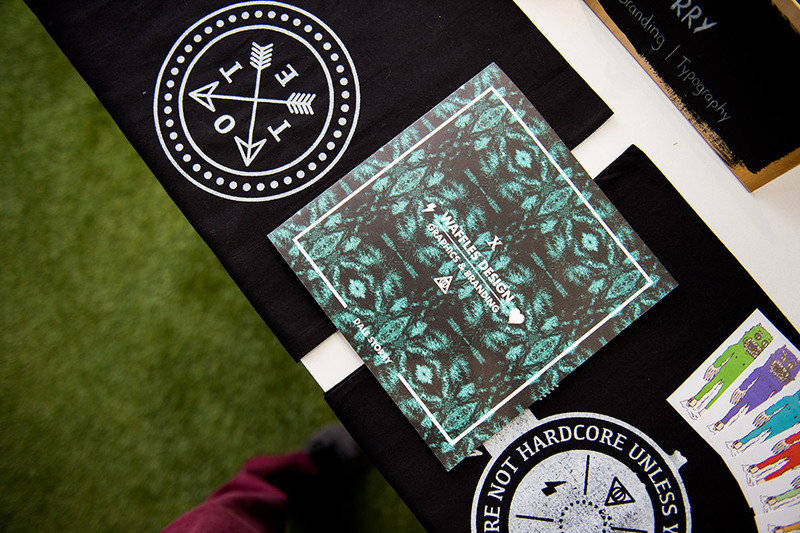 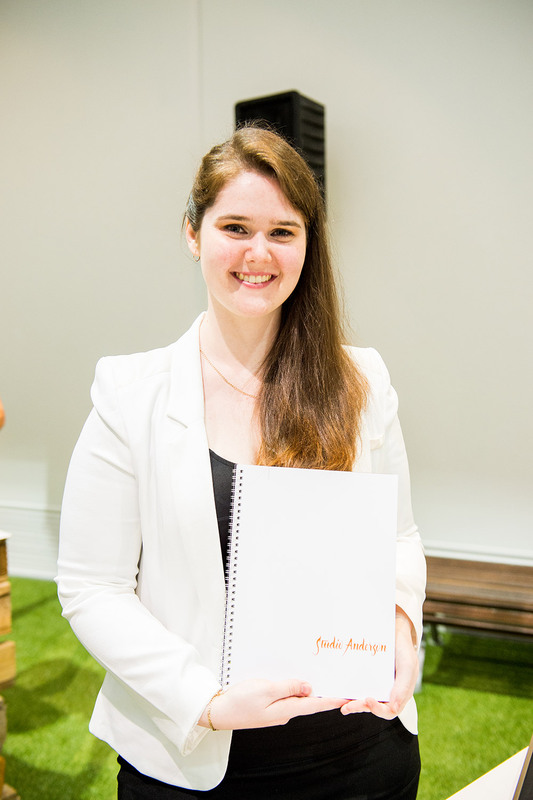 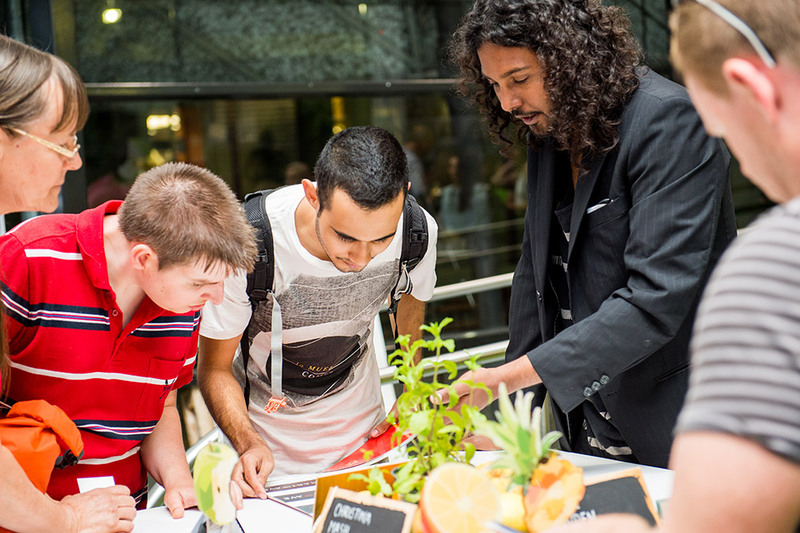 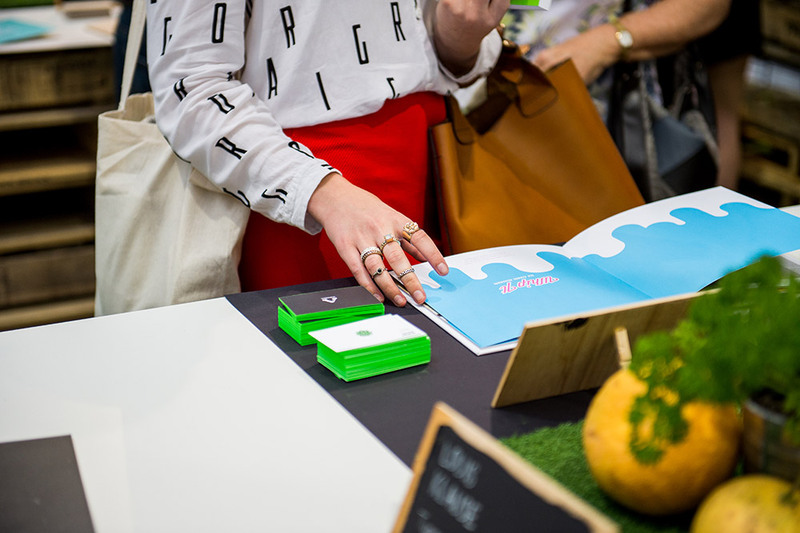 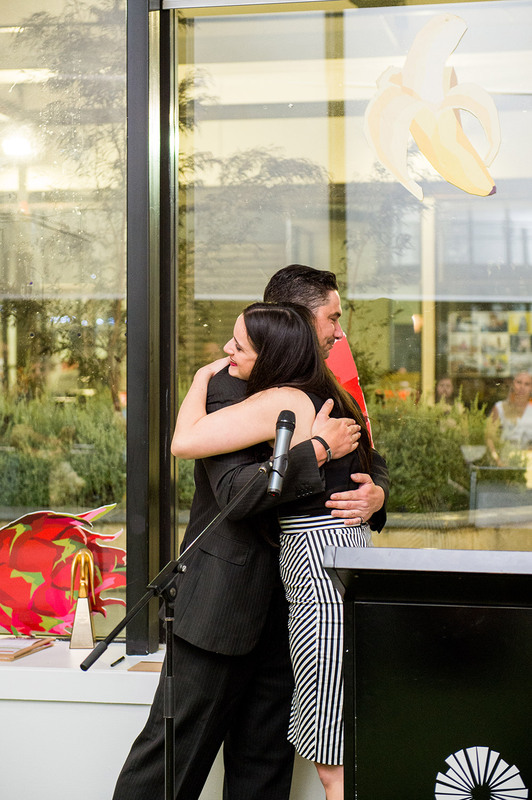 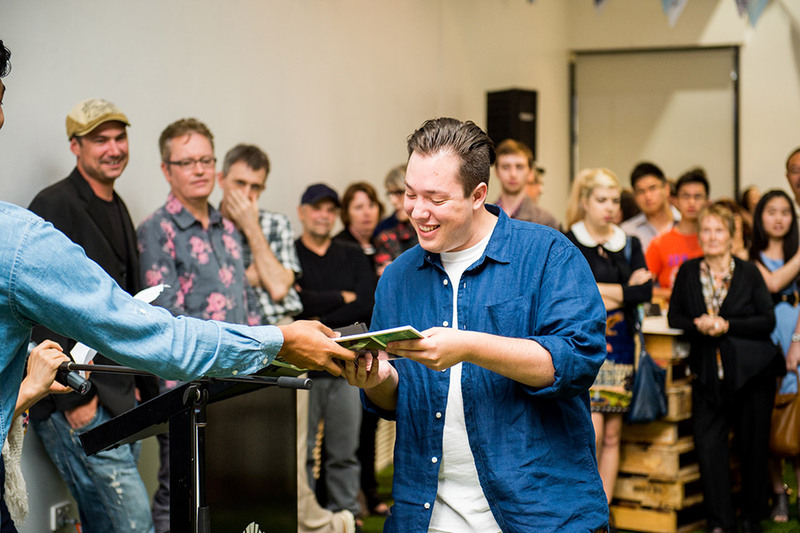 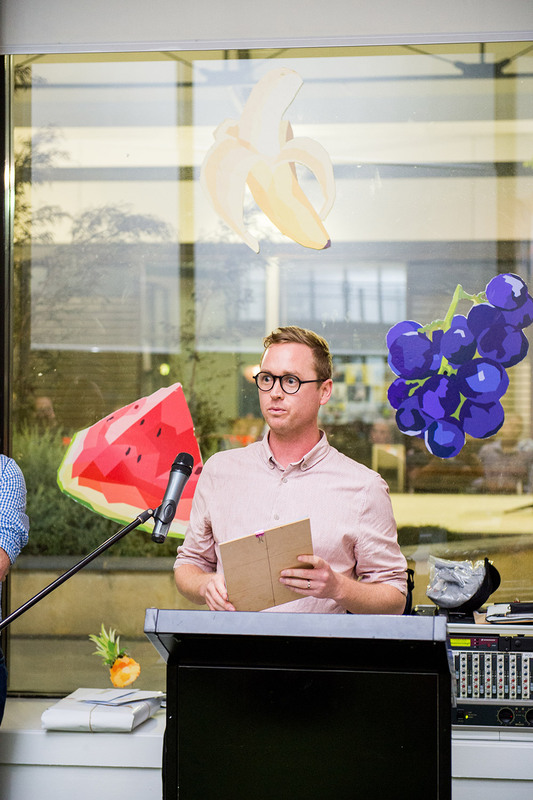 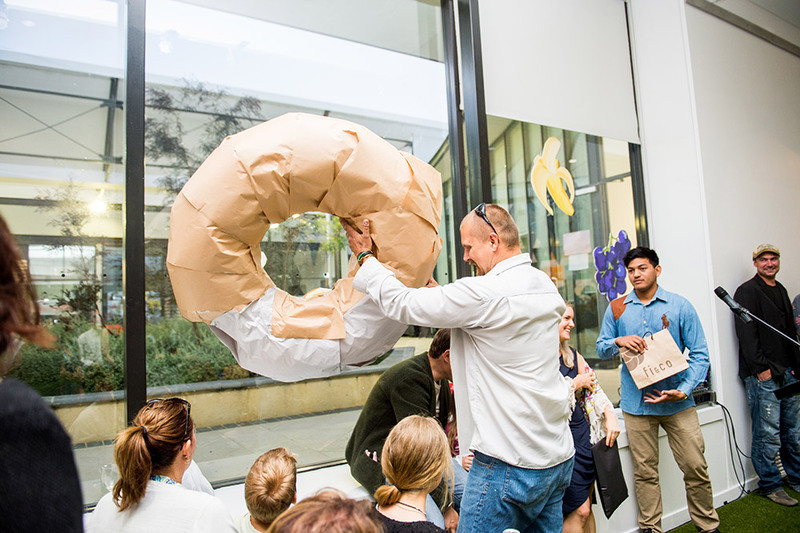 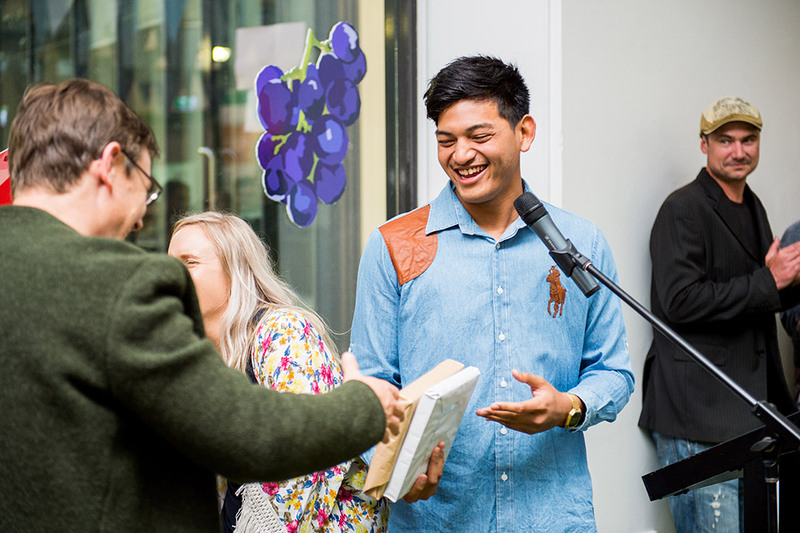 Folios were filled with engaging responses to a range of live briefs from local organisations and crammed full of raw creativity from Perth’s youngest graphic communication talent. 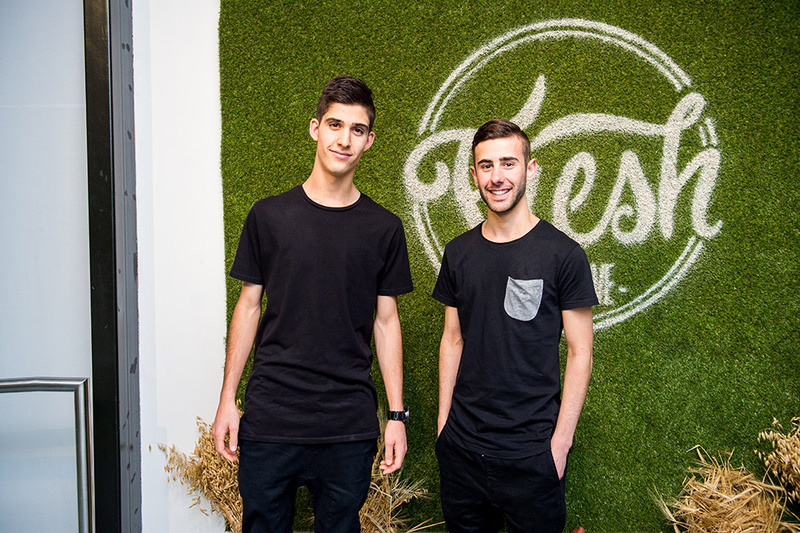 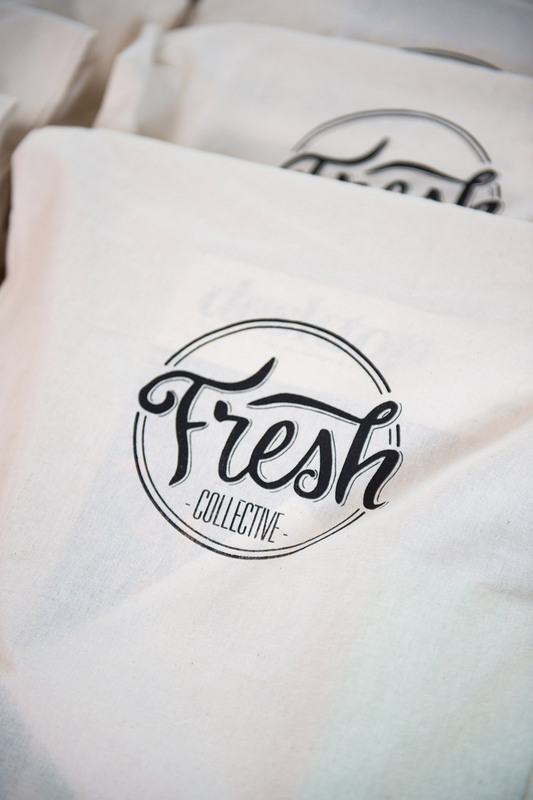 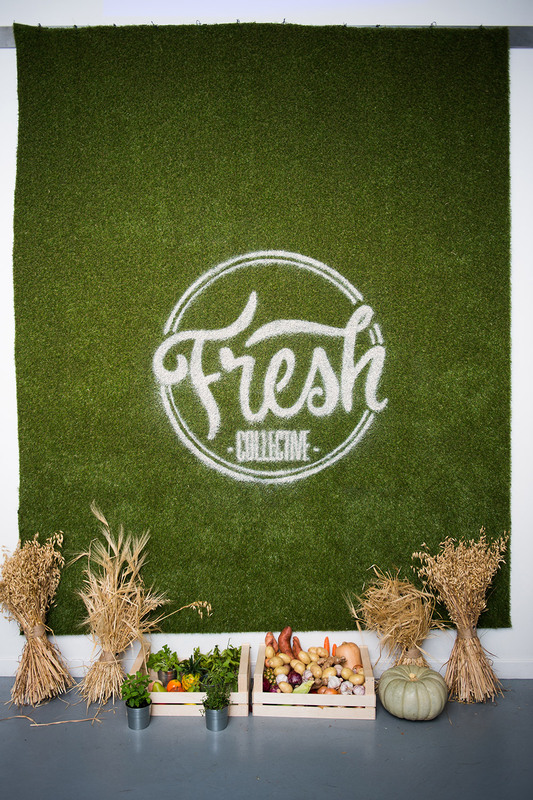 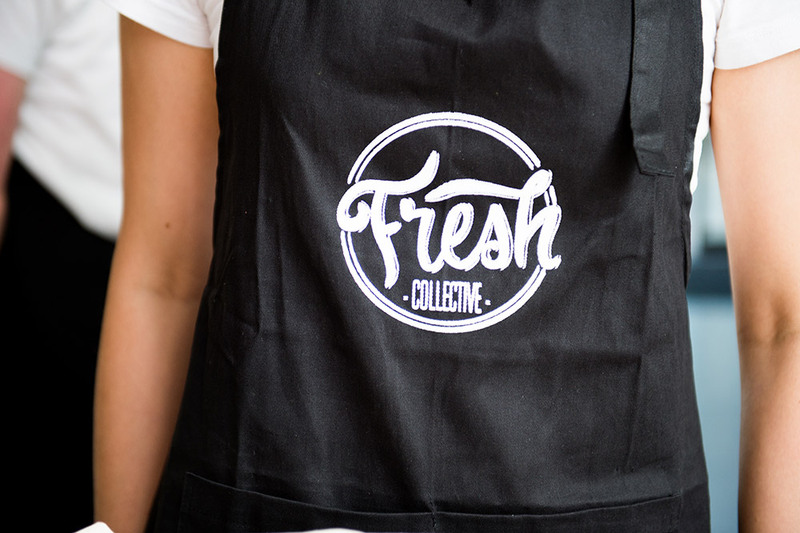 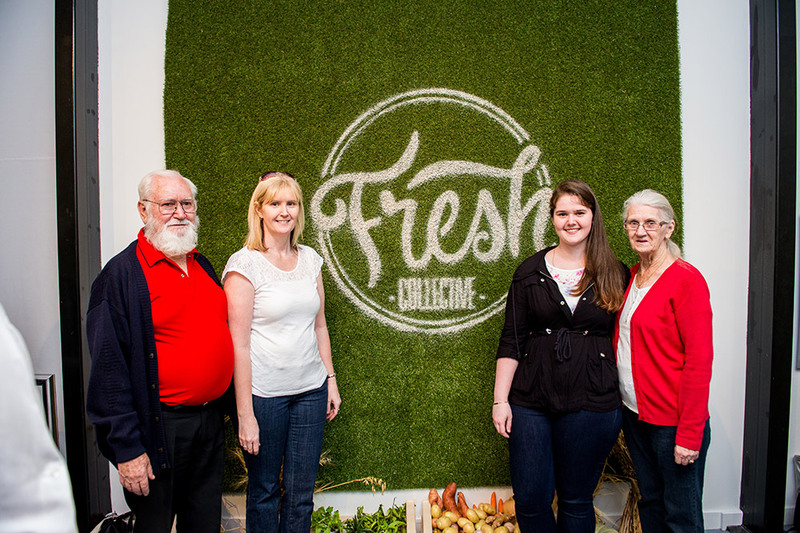 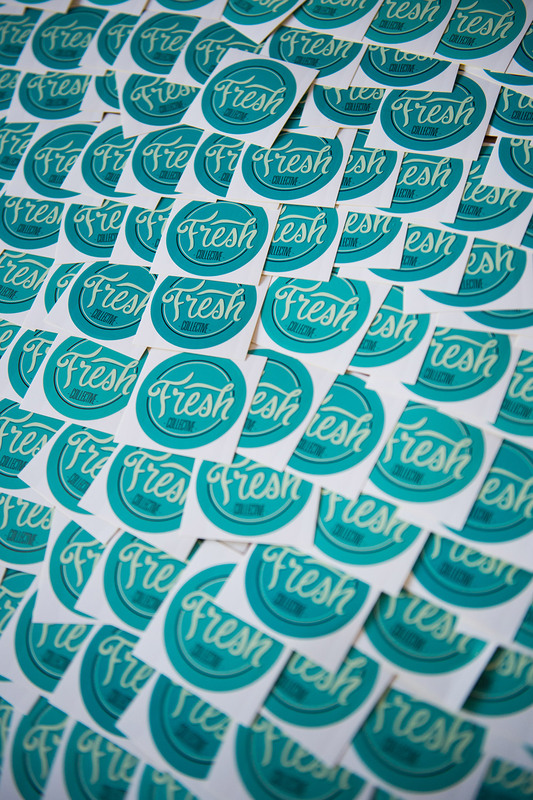 Fresh Collective also has a Facebook page.